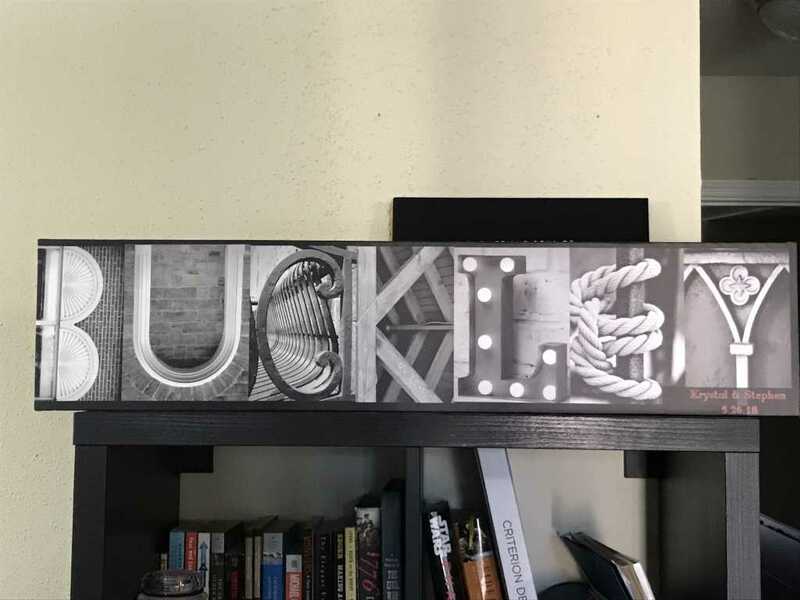 While there are many in the market who claim to deliver perfect photo canvas prints, we believe it isn’t the words which are enough to prove your excellence. CanvasChamp has ensured implementation of commitments since 2012. 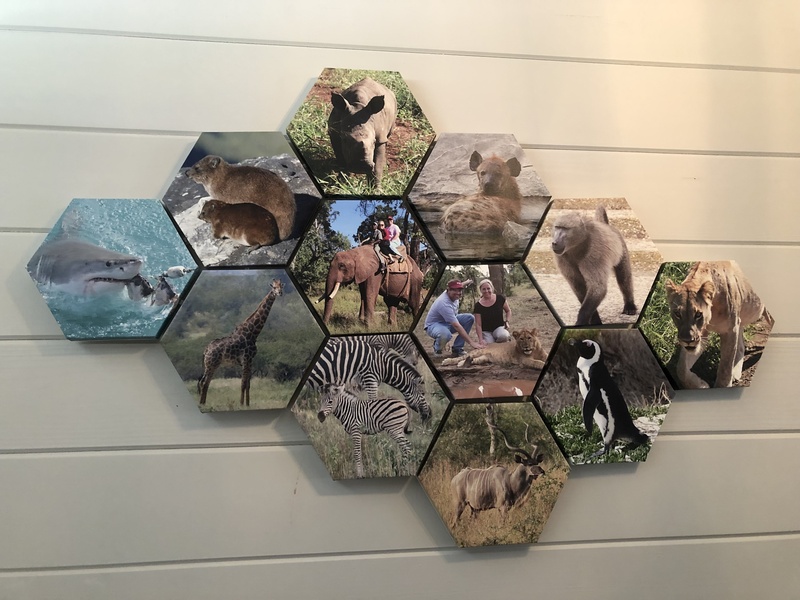 Being more than half-a-decade in canvas printing, our experts have learned the skills to understand user requirements and to deliver the same flawlessly. But wait!! We don’t want you to judge our proficiency either on our words or through the average rating of 4.6 stars given by over 4000 users. Instead, we need you to have a look at the response they gave us in writing. Do have a look at these testimonials. We believe these will help you make your decision. 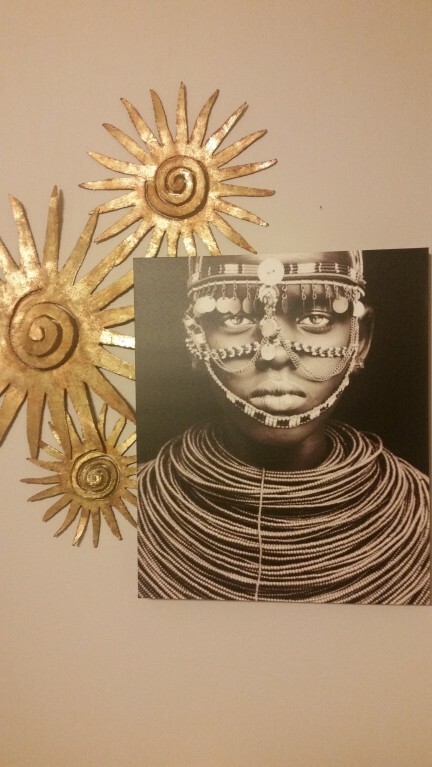 Metal Prints - A Great Choice! 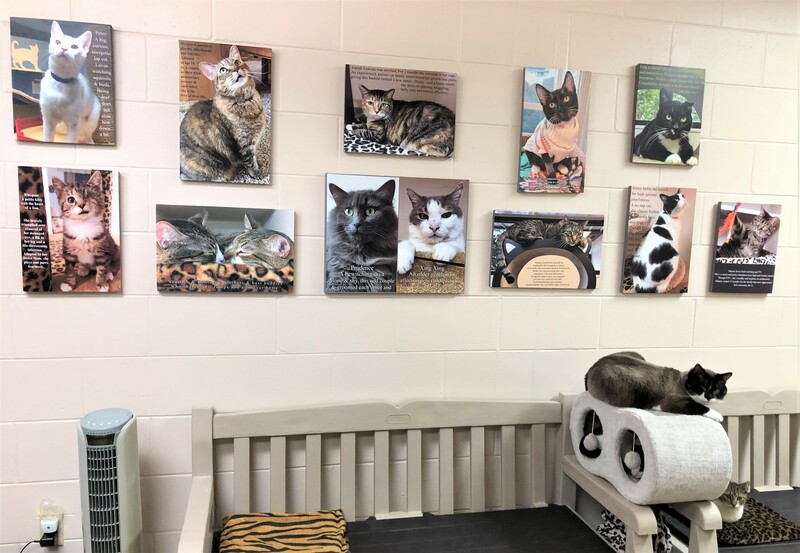 Canvas photos of special cats adopted from SPCA Florida with text telling their stories are displayed in the cattery in our Adoption Center. 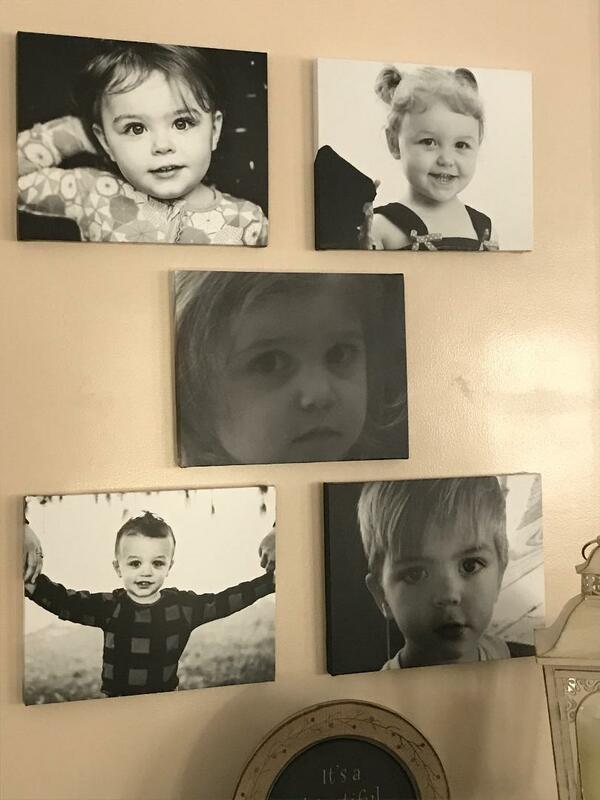 I love these pictures of our beautiful grandchildren. I want to replace the middle photo because it's too dark. 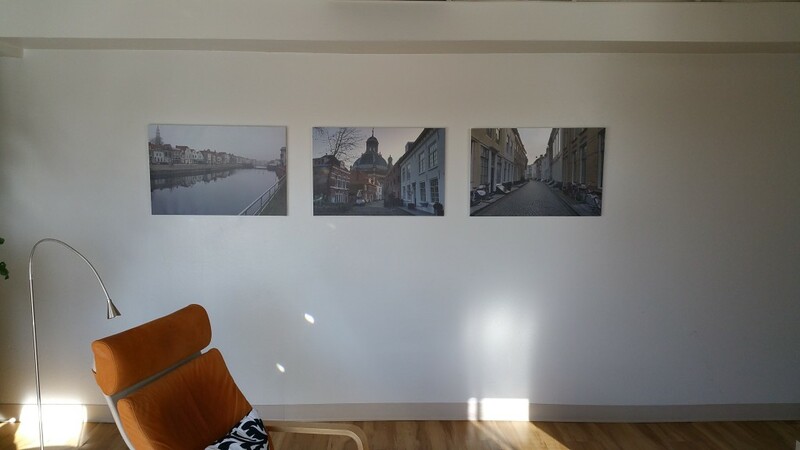 I am totally pleased with CanvasChamp’s quality and service! Fast delivery. They look phenomenal for the price. My prints turned out GREAT! I am so happy with my CC purchase...Thank you! 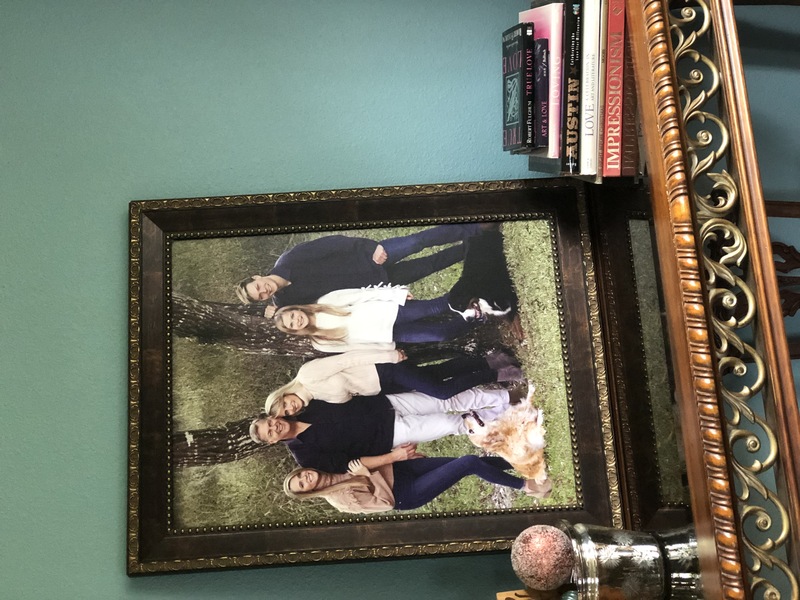 Loved adding this to a large frame and showcasing it in my living room! Great quality! 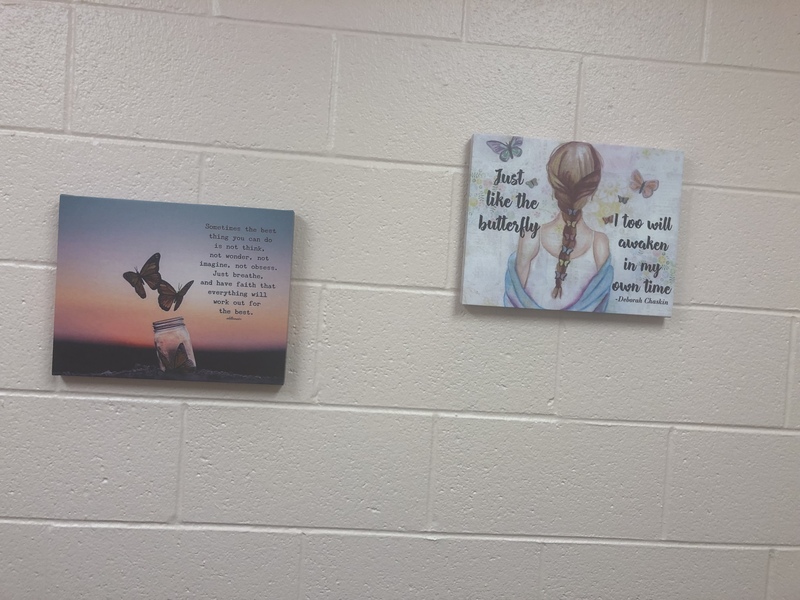 I Love butterflies and I’m an Admissions Counselor at an Alcohol and Drug Rehabilitation Facility. The butterfly symbolizes newness even after much hibernation. 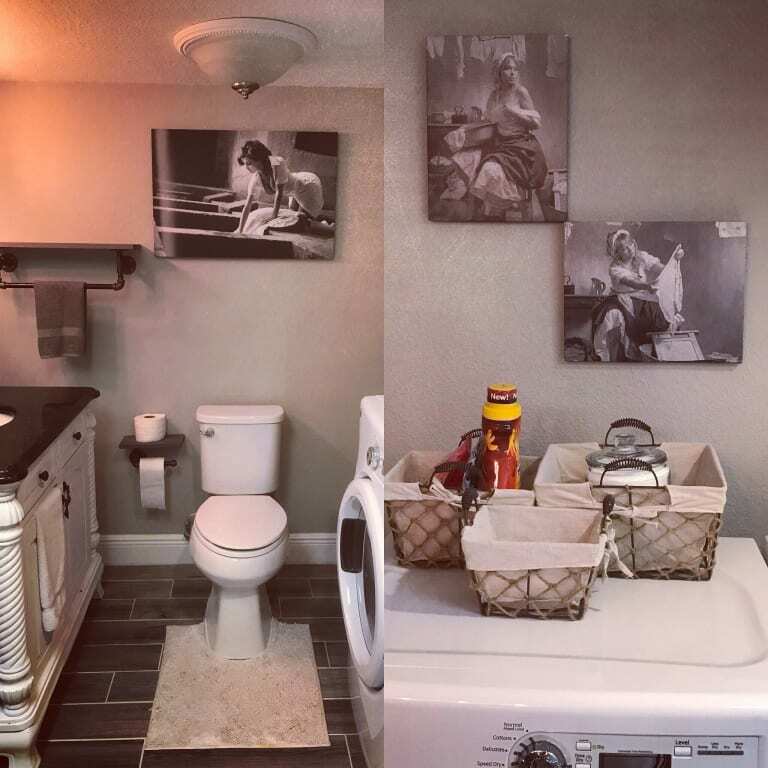 These prints were pictures that I found online of exactly what I want to relay to my clients. 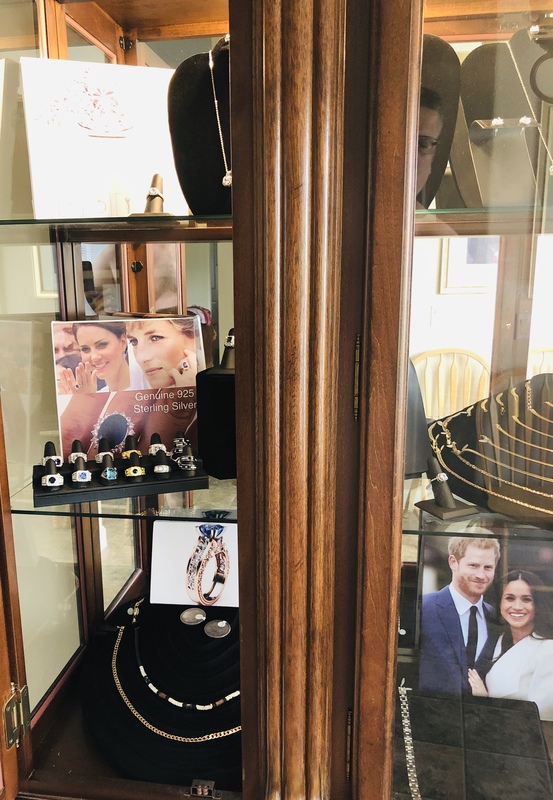 I use the canvas prints to show the jewelry I sell on the people that made the jewelry famous! It helps me to sell the dream! I could NOT wait to get these back. 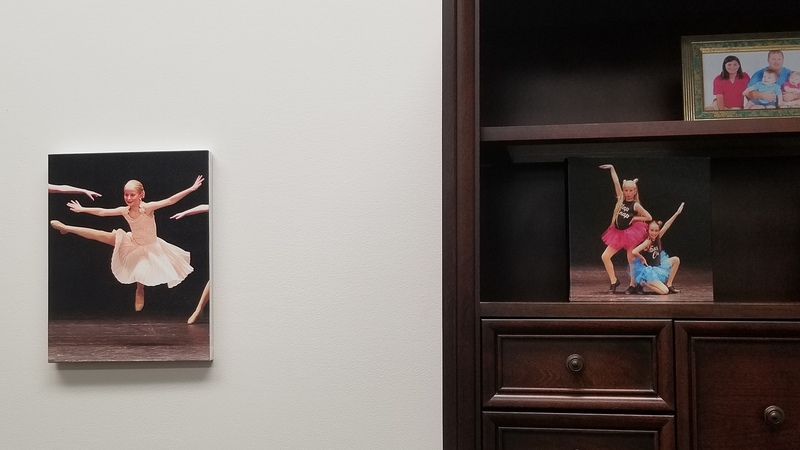 I have been wanting for along time to decorate my office and when I got my pictures of my daughter from her dance competition, I had to use them! 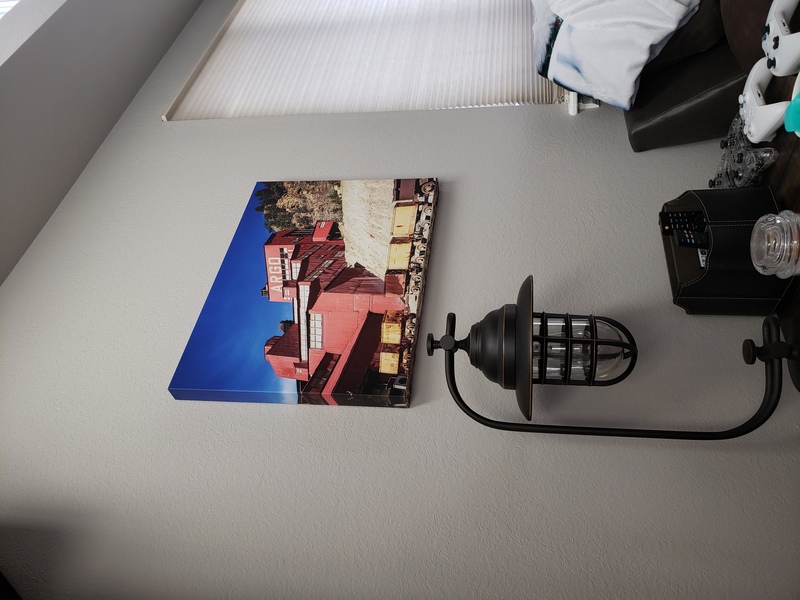 Canvas prints not only worked for my office, but the price and service was exemplary. I have since then ordered more prints. Thank you Canvas Champs! I have ordered MANY canvas prints from canvas champ. I have them all over my home and office. They are great quality at a great price. 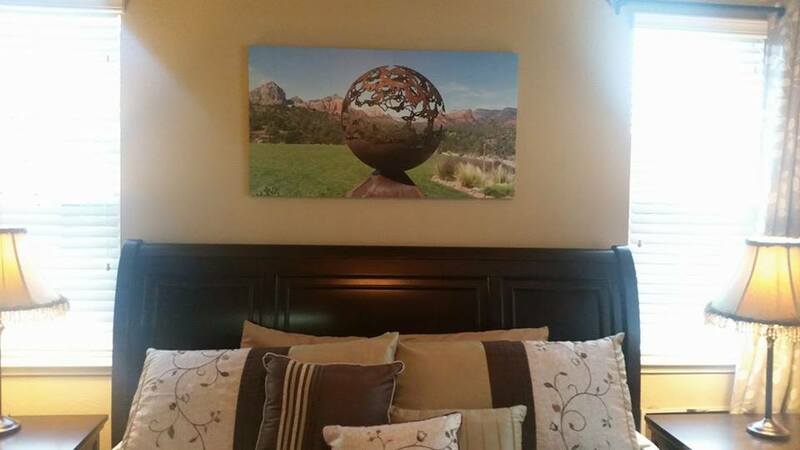 I get many compliments on them and I am am always referring others to the company for their canvas prints as well. Amazing quality, came earlier then was supposed to. I love to show off pictures of my furbabies. 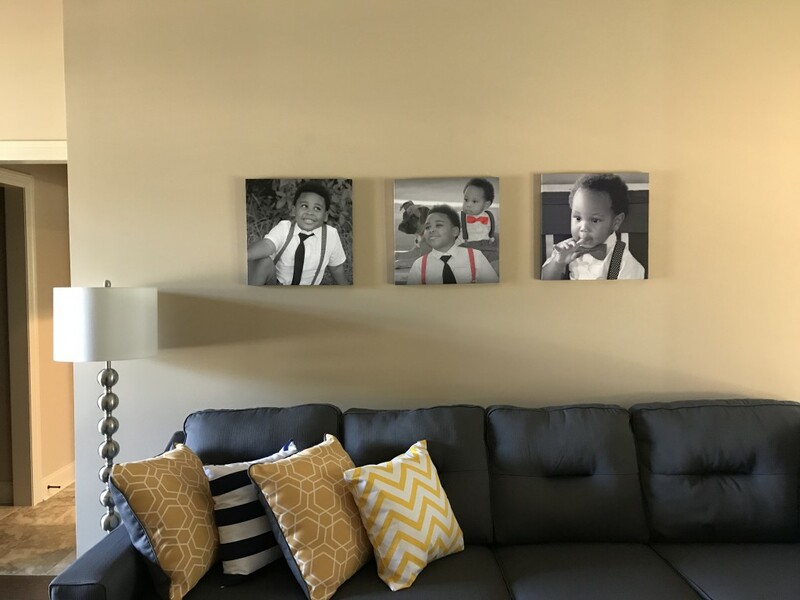 Canvas Champ makes it affordable to show them off in beautiful canvas prints. 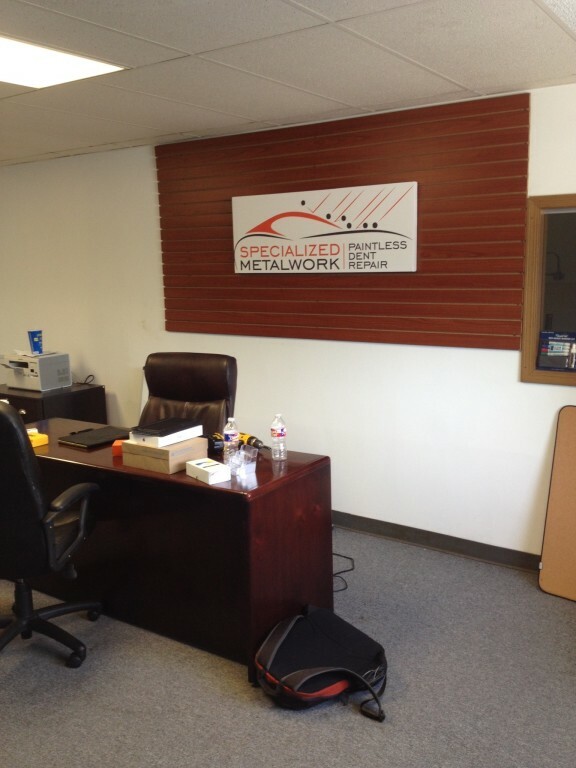 Excellent Customer Service and Quality Products!!! Crux & Stone Marco Island, Fl. 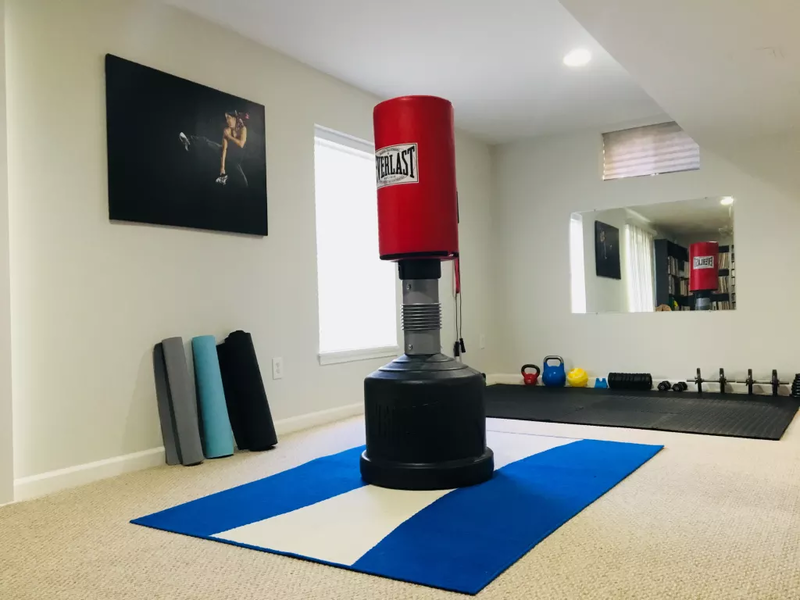 Canvas Champ the BEST for quality and customer service. Here are my two Nephews on the beach. I have ordered many canvas prints and each one I have been very pleased with. I have another order started again. I'll keep on ordering from here and have passed on this company to alot of friends. Very pleased!!! 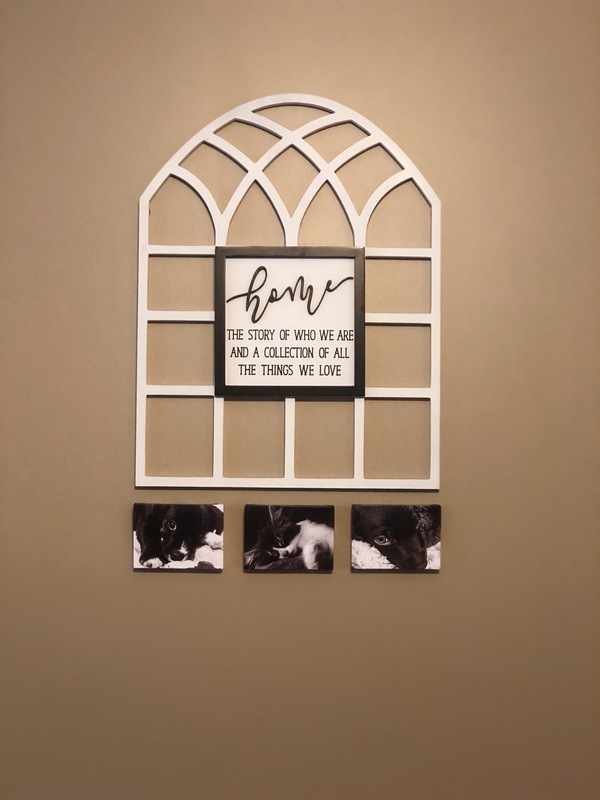 The frames are sturdy and high quality with solid support under the print. I will always buy my prints from here rather than those higher priced sites. 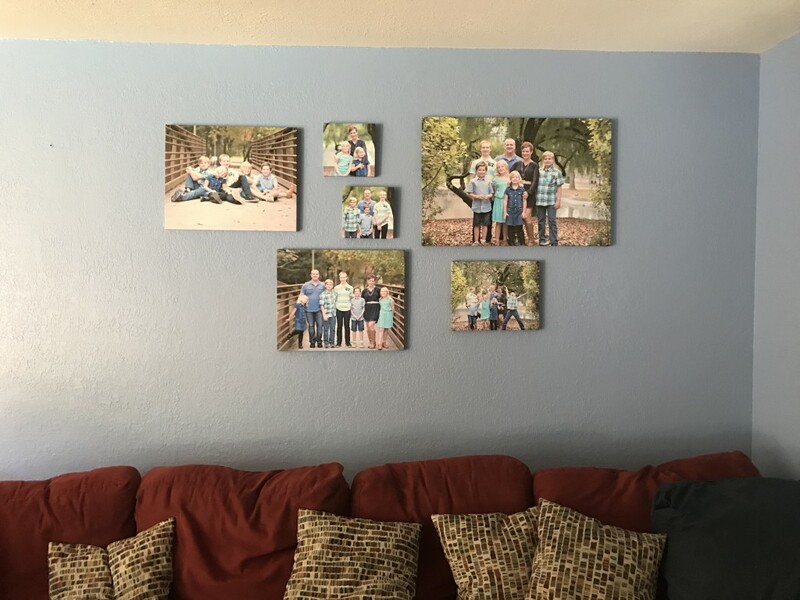 I have tried three different providers for canvas prints and I have now settled on CanvasChamp for any and all of my purchases. 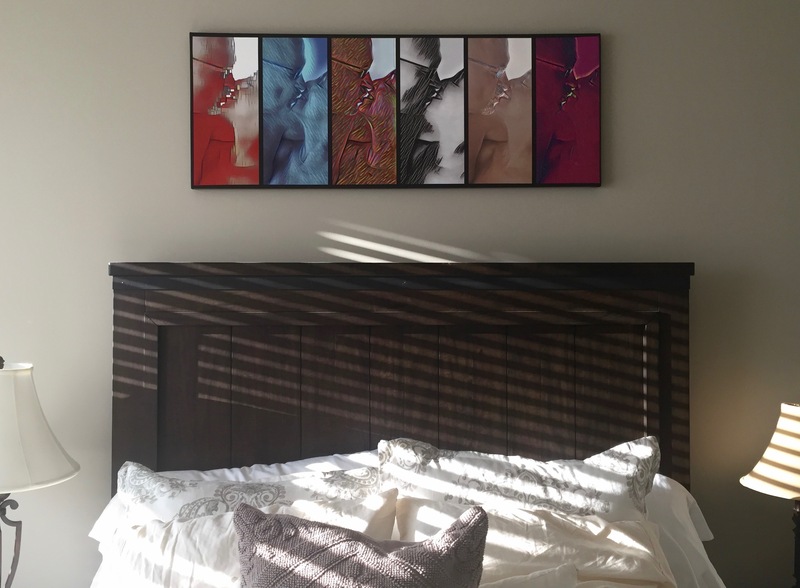 The colors are amazing, the finish is great, and the frames are sturdy and accurately sized. I started by ordering the butterfly pic, which is a real Monarch that we had from a caterpillar. Once it morphed, we placed it on a flower in our garden, took the pic and sent it to CanvasChamp. 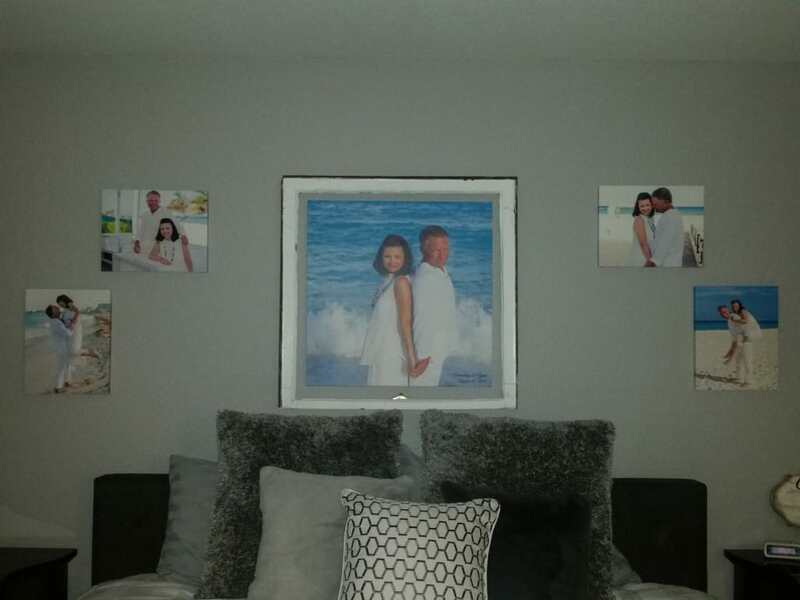 We were elated by how well it turned out, so we sent our family vacation photos to have them put on canvas. Voila!! Beautiful family collage!!! Just LOVE them!! 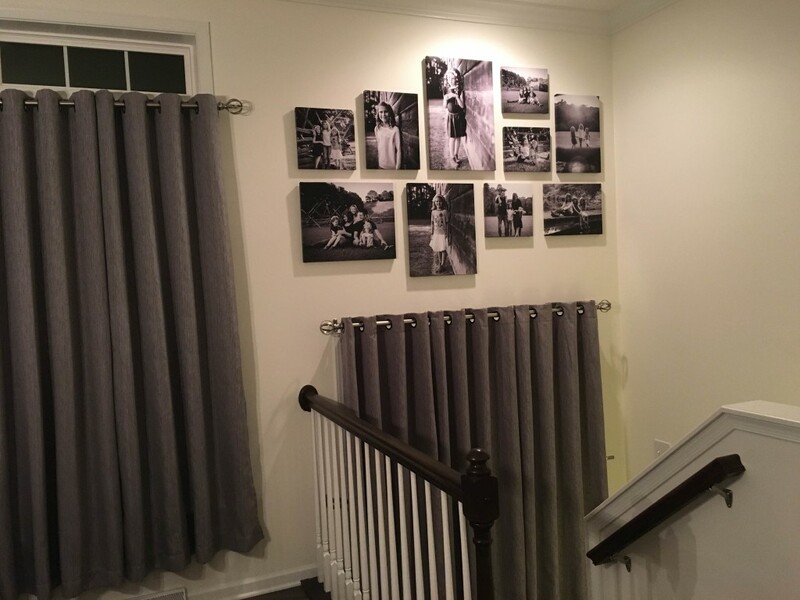 We will be converting photos to canvas from now on! 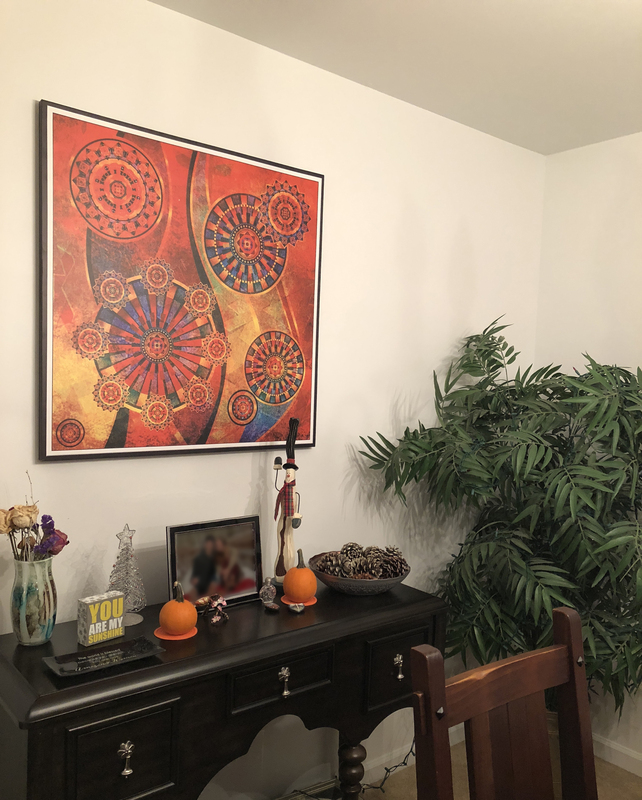 What's more beautiful and unique than decorating your home with art that is personal to YOU!! 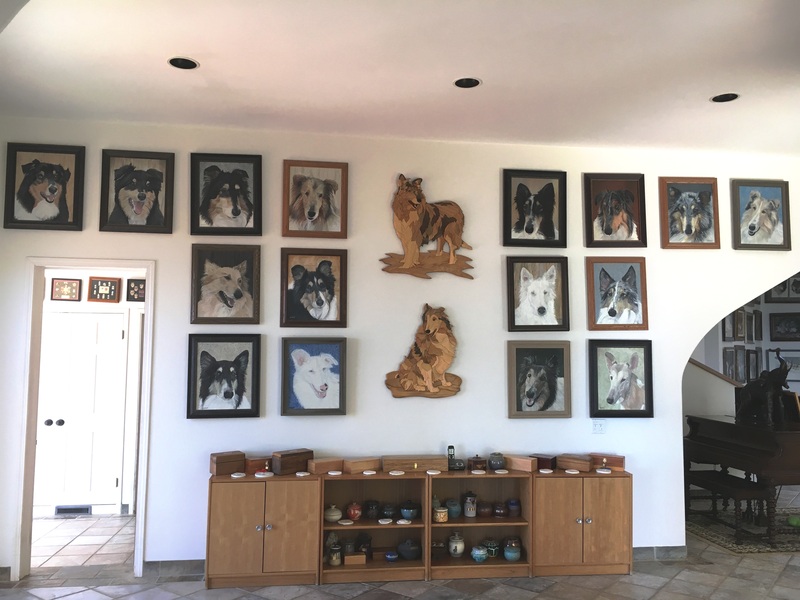 All our dog portraits are mounted on our "dog wall." Canvas champ has the highest quality of any other company and they’re the cheapest so it’s a win-win for everyone. I take a lot of pictures of my Fur babies because Ii am a Pet Fashion Designer. 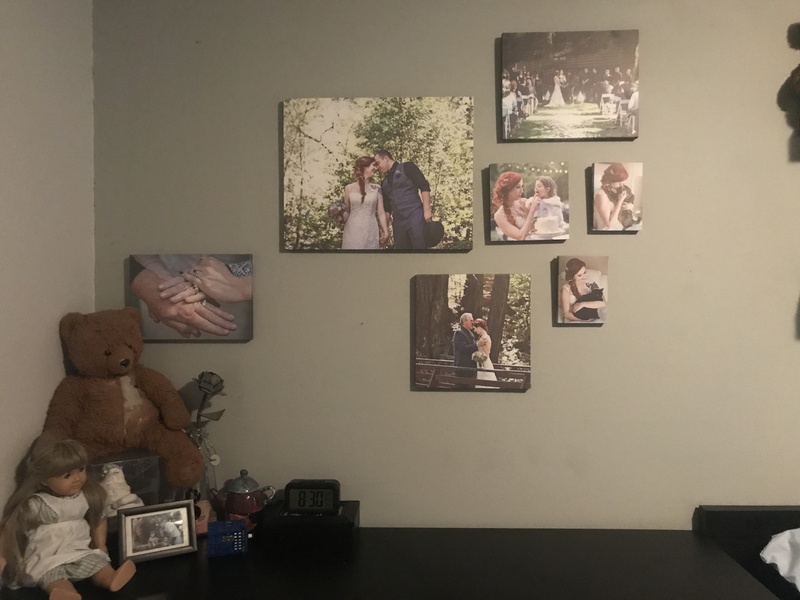 I love Canvas Champ, my prints arrived quickly and were gorgeous! They were very well packaged and nothing was messed up in shipping. Everyone compliments the 8 I got on my first order and I am ready to place my second. You will not be disappointed! I created an awesome collage of candid pics my collage is loved by all who see it! I heard about Canvas Champs from a friend and I'm so happy I went with them. 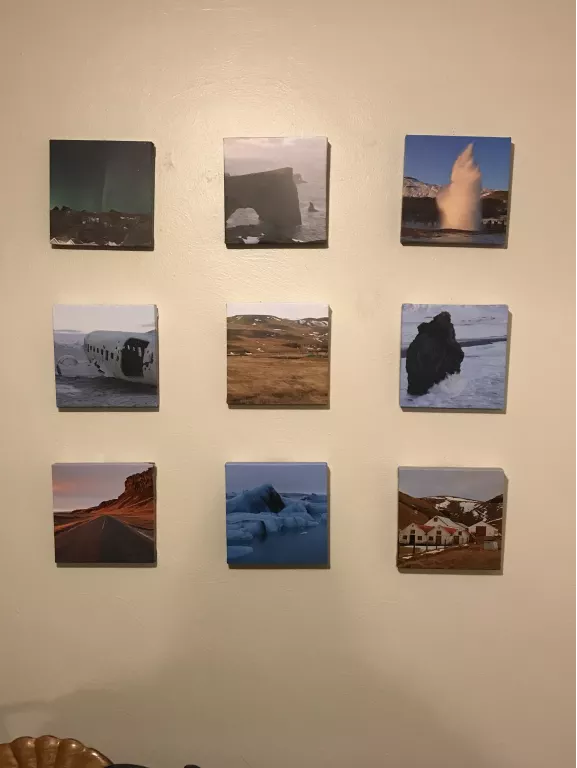 I recently went to Iceland and wanted to give best quality canvas prints to friends and family as souvenirs. I ended up buying a ton of prints so I could give them away and hang them in my apartment. The prices were great, the quality was excellent and I will definitely be back to buy more! I ordered 18 prints so the delivery took a bit longer that I would have liked, but it was 100% worth the wait! They also arrived very well packaged. LOVE CANVAS CHAMP. 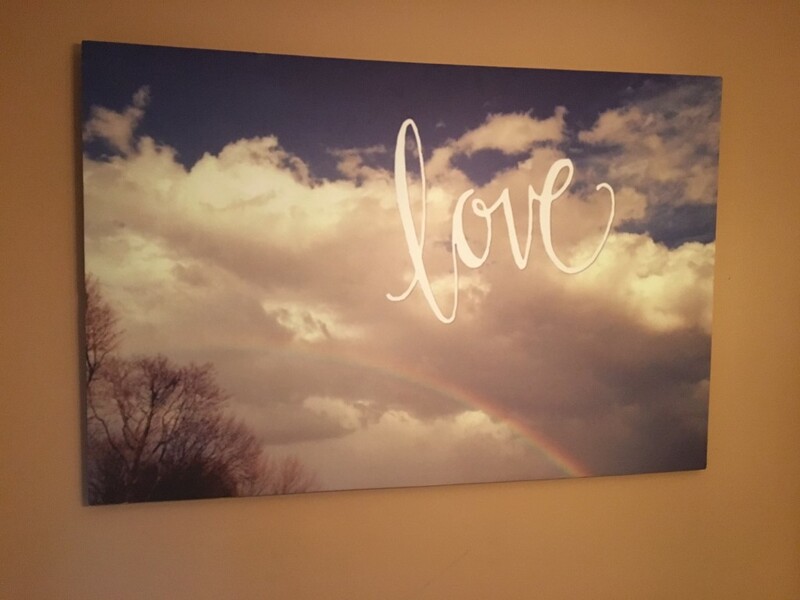 I have ordered from 2 other canvas companys! Hands down the quality of the material also thickness of the canvases in general are way beyond the competitors. They are friendly prompt and amazing quality and prices are spectacular! 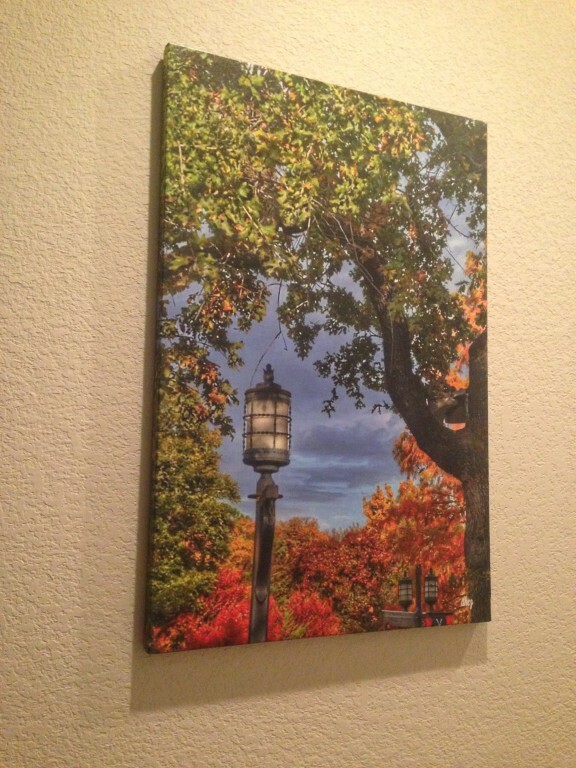 I love ordering custom canvas prints from Canvas Champ! Would purchase again. 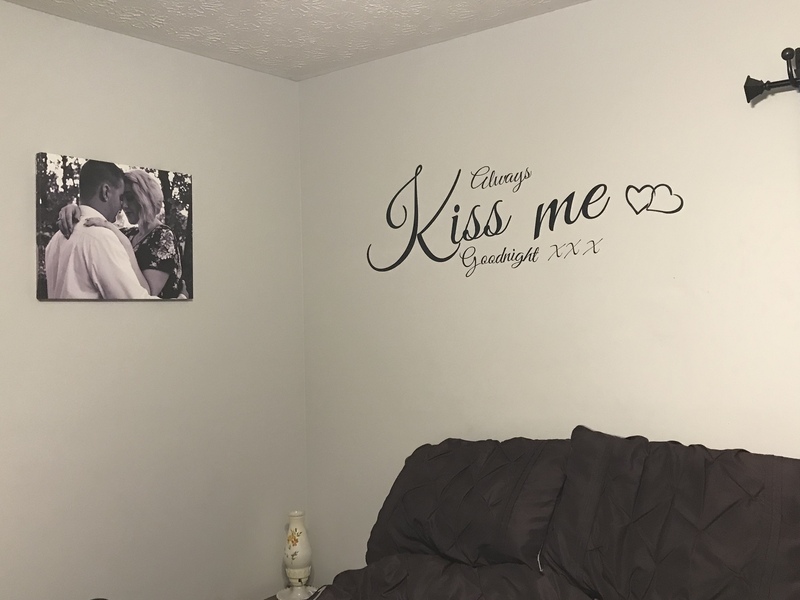 I love my canvas! It was everything I wanted and then some. A minor flaw here or there but nothing that ruins the picture. The canvas backing is well supported, not like the typical canvas that is just the paper and is very fragile. Will definitely order from here again in the future and highly recommend using them! 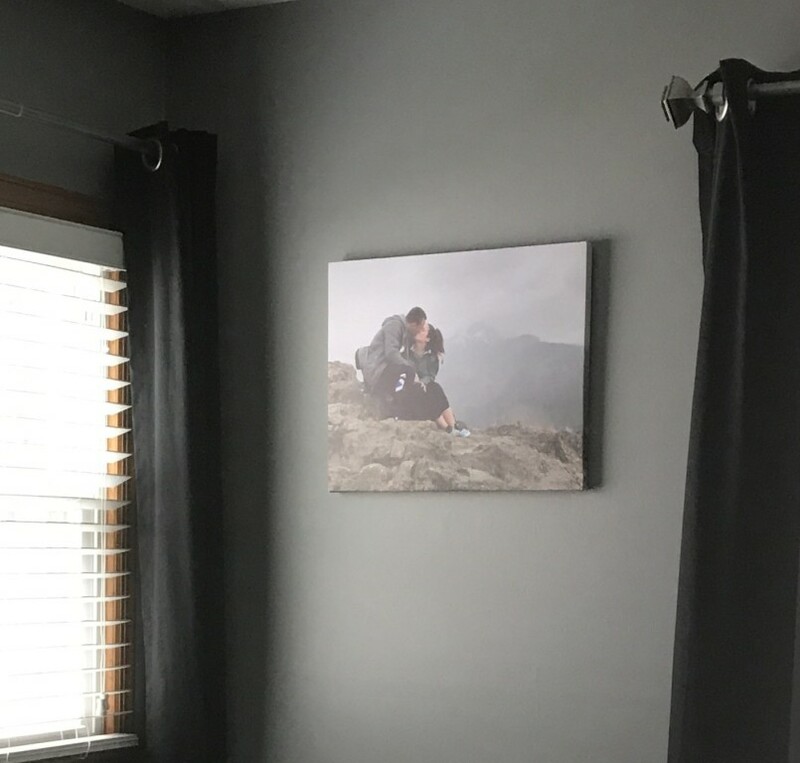 My canvas print product arrived an entire week before expected! I was a little worried with how fast it shipped that it was going to be horrible but I was almost in tears when I opened the box! It came well protected and wrapped. 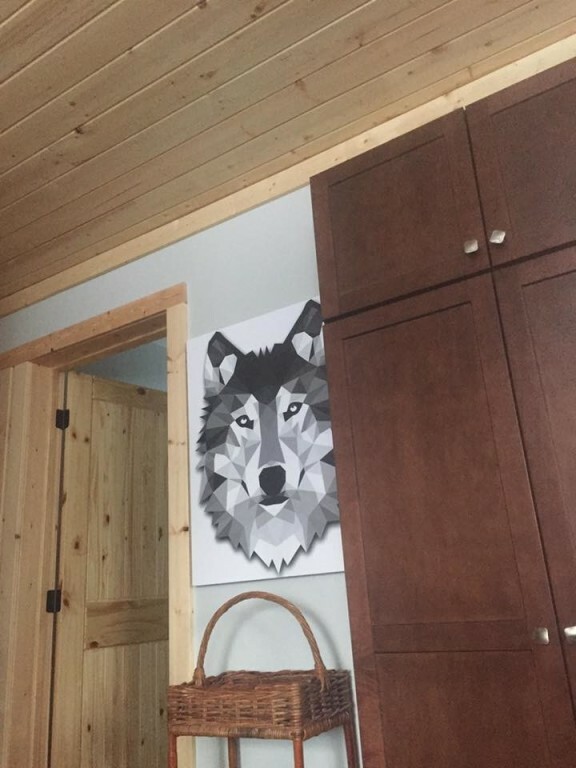 Only thing that bothers me is that the canvas wood frame was cut unevenly. In certain spots up close you can see the edge is either shorter or moves out. Hanging on the wall you can't really tell which is why I left well enough alone! Other than that minor flaw my canvas is perfect and everything I wanted! 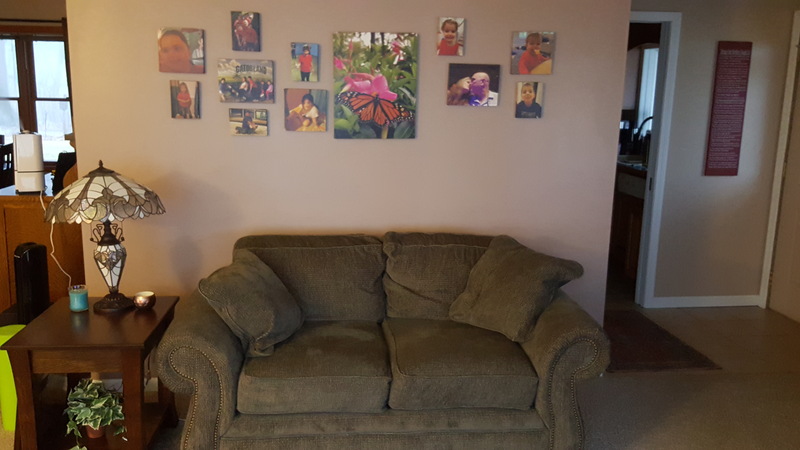 I should start by saying that this was my first experience with canvas prints and I am by no means an expert. 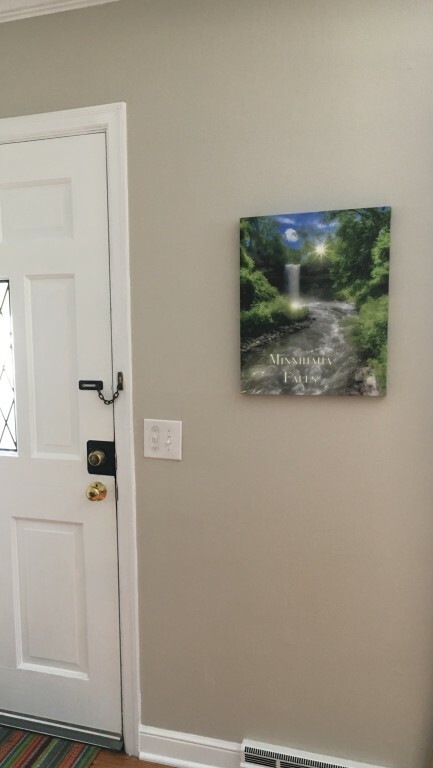 With they said, I was looking for an affordable custom sized canvas print to cover a large breaker box in my hallway because none of the top Google preferred company's offered a size that would work for me. 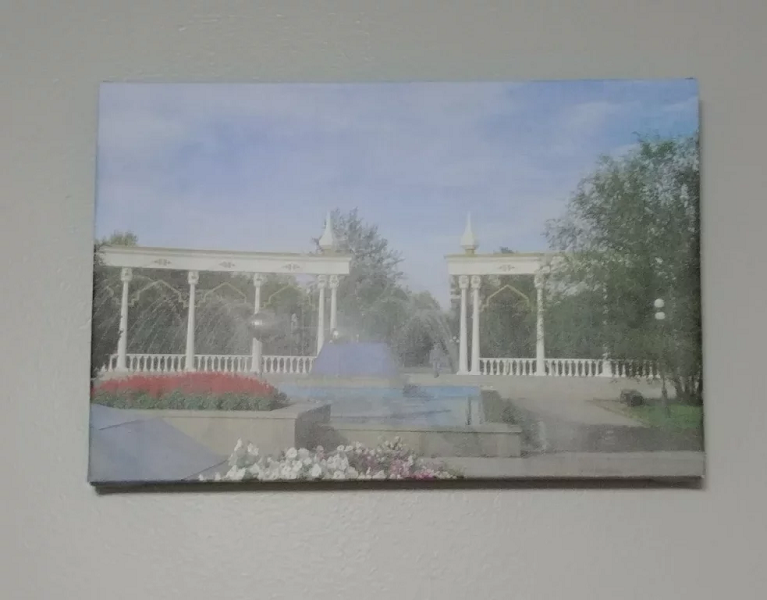 I came across Canvas Champs (CC) and was honestly a little hesitant because the website did not look as "official" as others I had seen and the price for a large custom print was half of the competitors smaller prints. 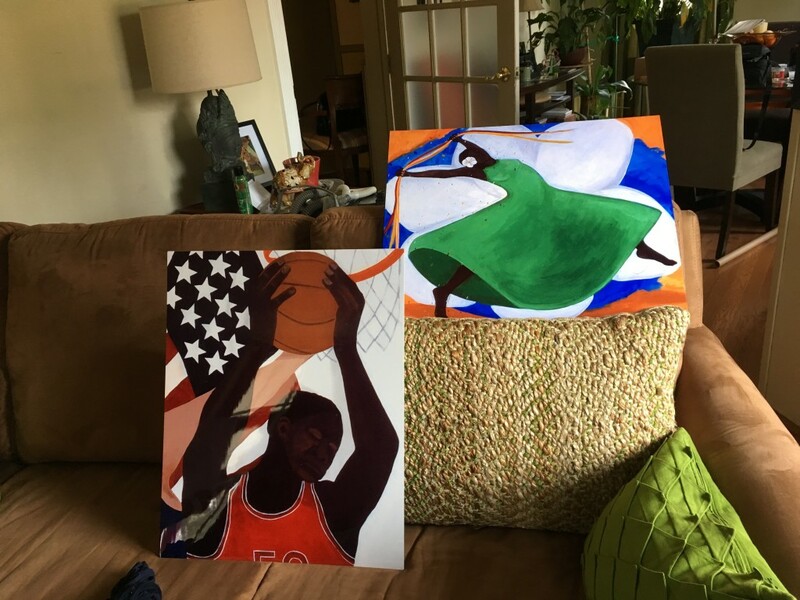 I ordered a large custom print from CC and another smaller print from a competitor and paid literally twice as much for the smaller one. I received an email from CC less than a day after I placed my order and they advised that the quality of my picture was not very good. 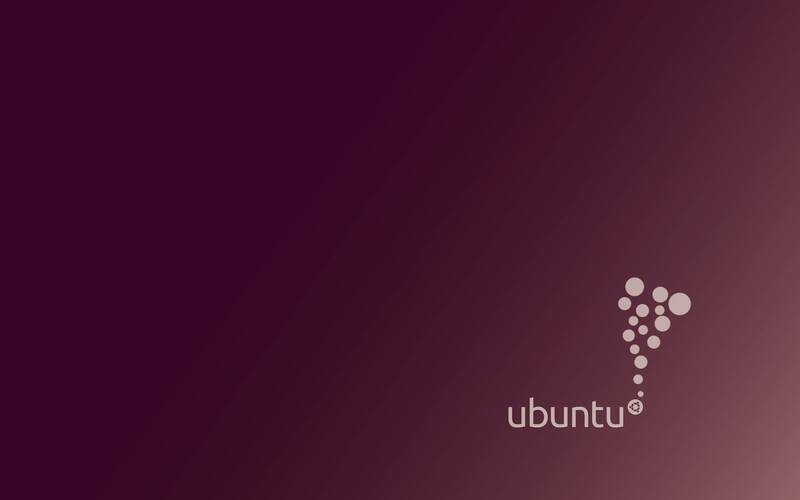 They gave me a few options, one of which was sending a higher quality image - which I did. After a brief email exchange confirming the image quality they sent me a proof and asked for my approval to begin working on it. About a day later I received a tracking number for delivery and in a few days it was at my door. A few days later I received my other print from the other company - the difference in quality was nill, especially considering the price difference. 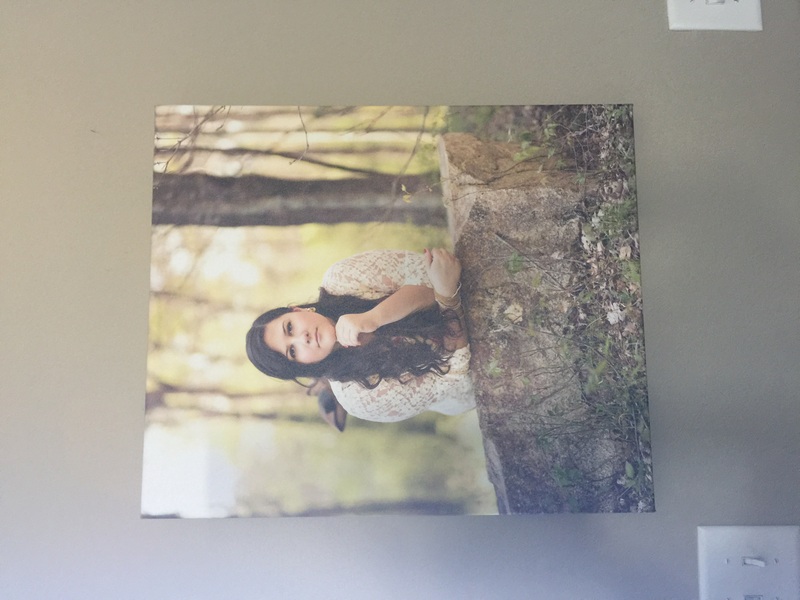 I would highly recommend Canvas Champs to anyone looking for an affordable, fast, and quality canvas print! 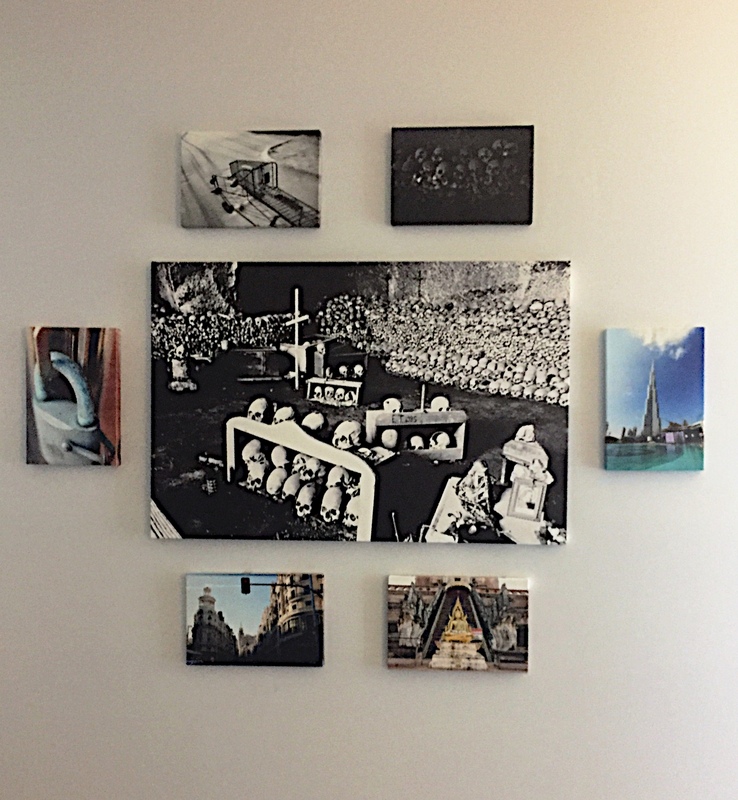 I am a professional photographer and I was looking to put a few canvas prints in my studio. Your website was very easy to navigate, and your prices are awesome! 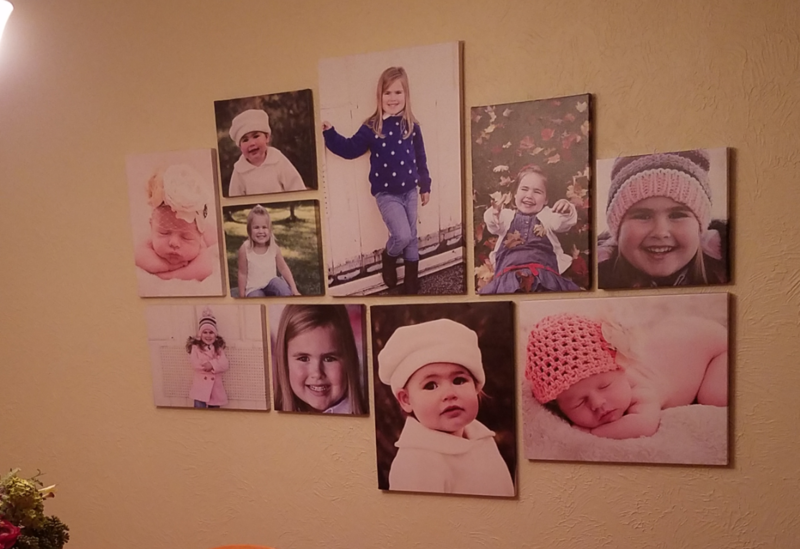 I am so so happy with how the canvases turned out- they are great quality! They were packaged really well and arrived faster than I expected. I'll definitely be a returning costumer! 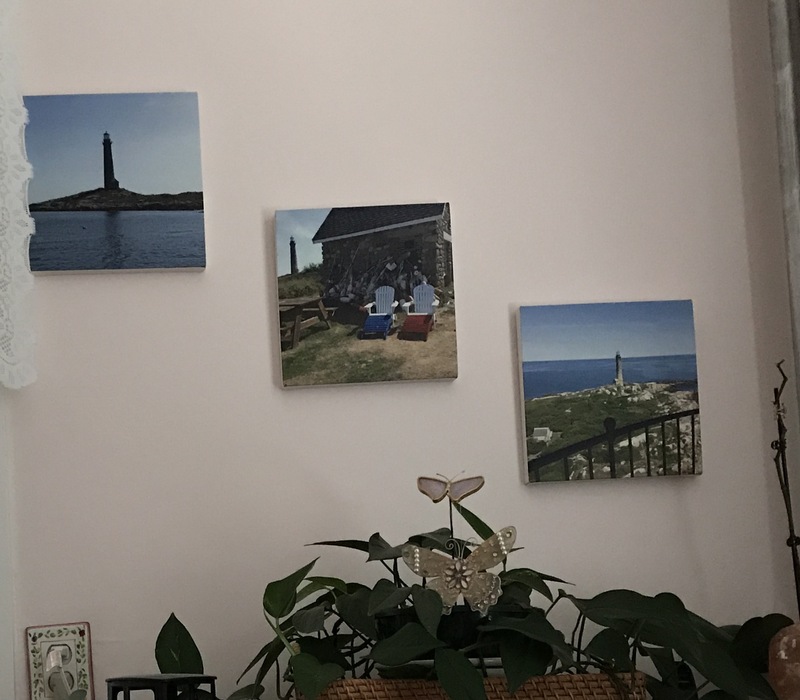 Love my canvas prints! 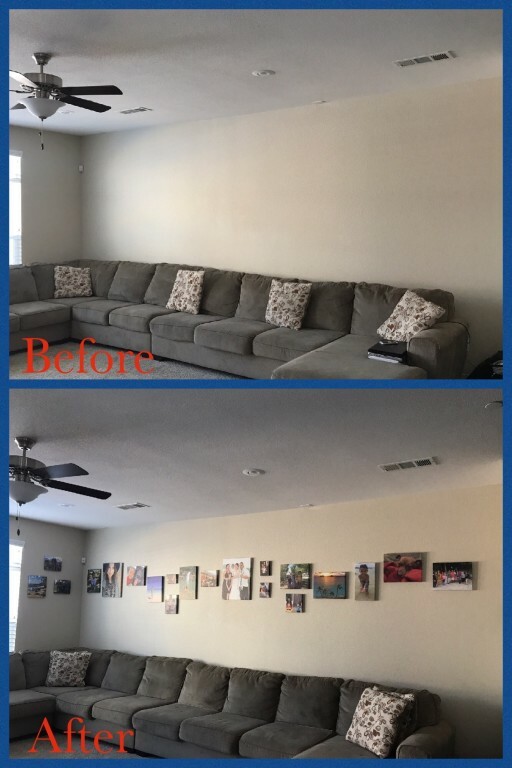 I have a wall that is over 20' long and was at a loss of how to decorate it. I found CanvasChamp and it was within budget. I ordered my first order about a month ago and then my second order a couple weeks ago. I had my order within a week and everything arrived as ordered. I made the mistake and ordered two rolled up canvases not realizing my mistake and have no idea what to do with them. Totally bummed but I'll live. The website is easy to function and the order was what I requested so I'll be back. I had family over this past weekend and every single family member had something positive to say. 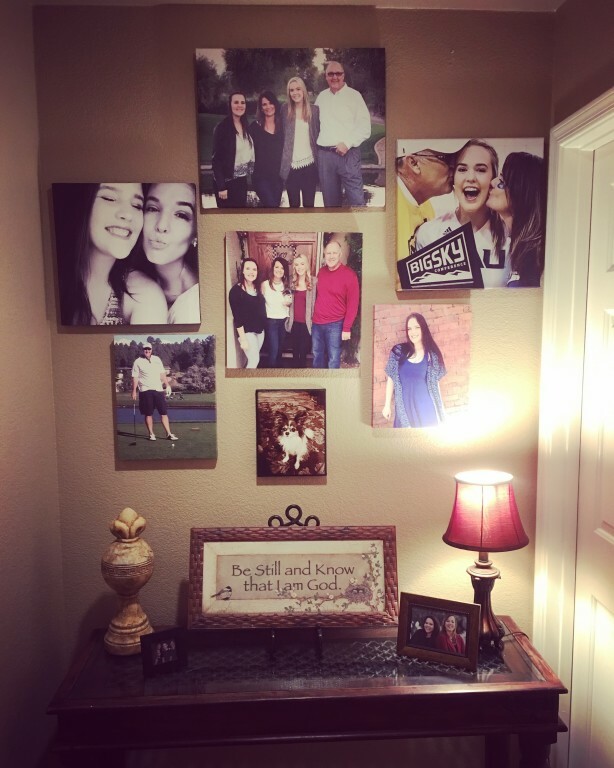 They loved how I did my collage of all our family photos. So glad they loved it. Packaging was very secure but I'm not a fan of the white styrofoam as it just got everywhere when I was unwinding all the tape. No biggie but the 1st package was packed much better. Delivery was great, one week this time vs. two. Incredible Quality!!! 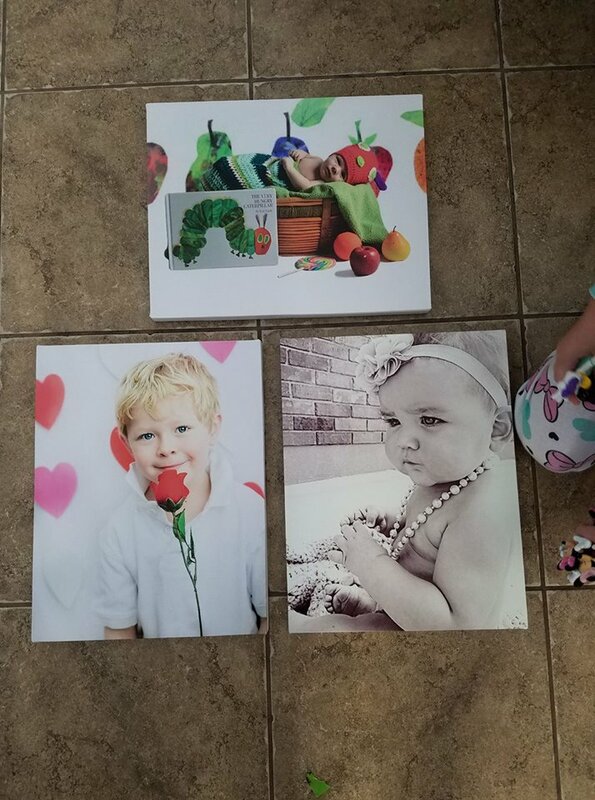 The cheapest prints I have seen, with the best quality! I was stunned at how clear the images turned out. 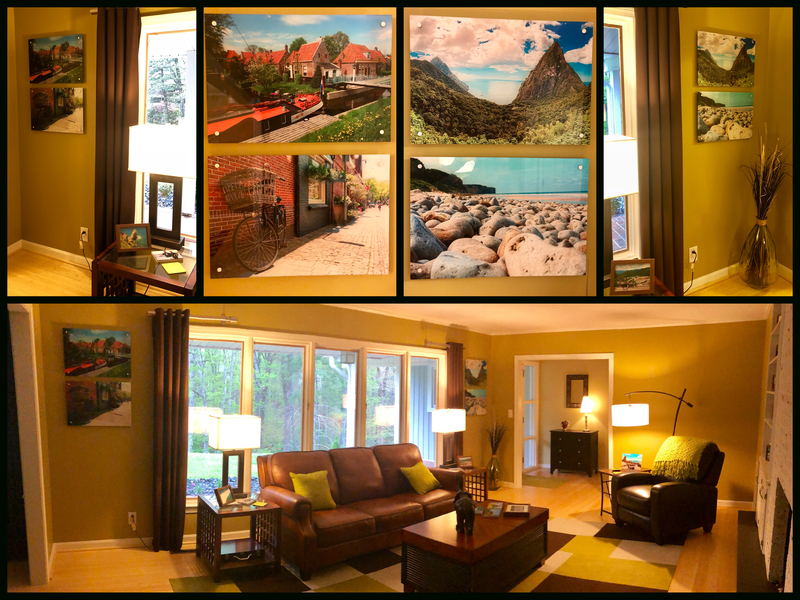 Most of the canvases were pictures from my iPhone (not professional ones), but they still turned out amazing on canvas! 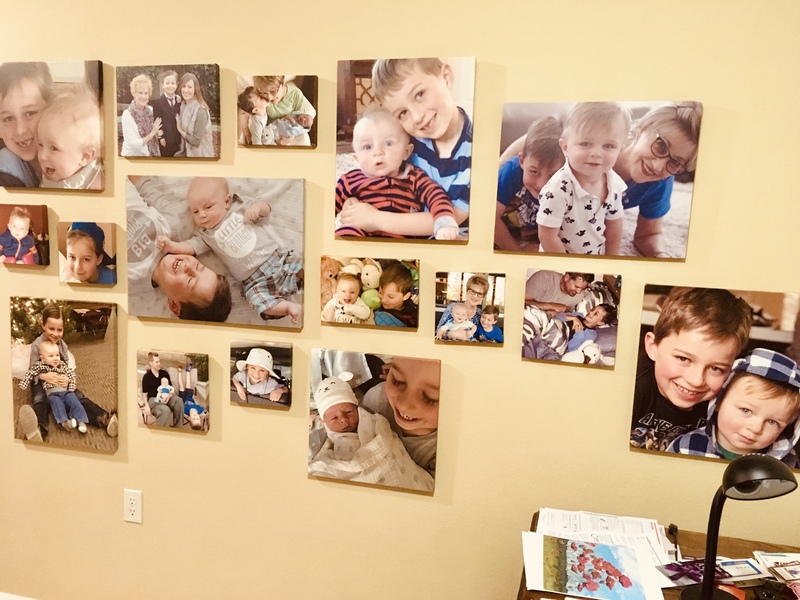 CanvasChamp also offers the ability to customize your canvas prints in SO many different sizes, which is something that many companies DO NOT offer. 5 Stars from me! 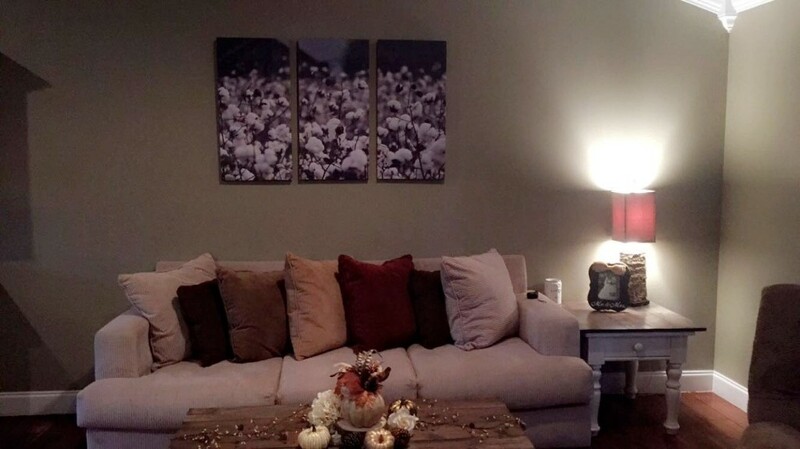 We will have these canvases as our main home decor for a LONG time to come. 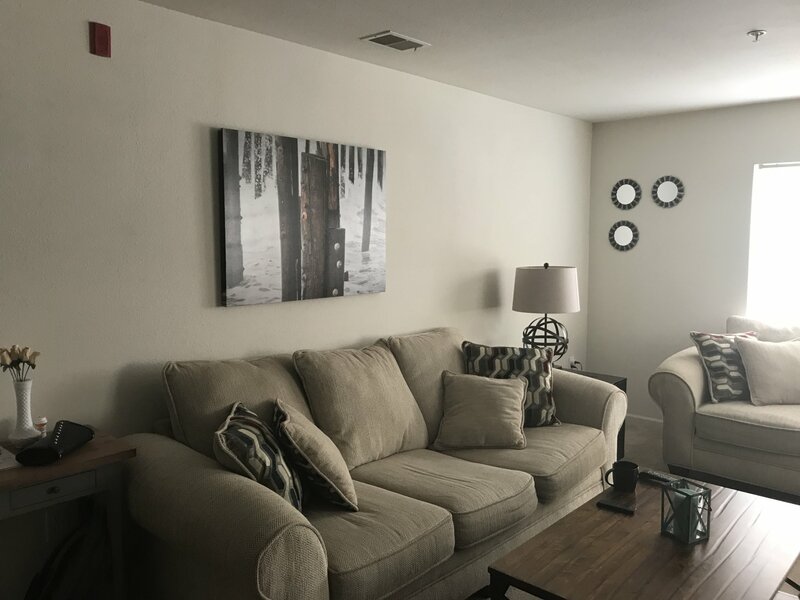 Thank you CanvasChamp for helping to make our home beautiful! 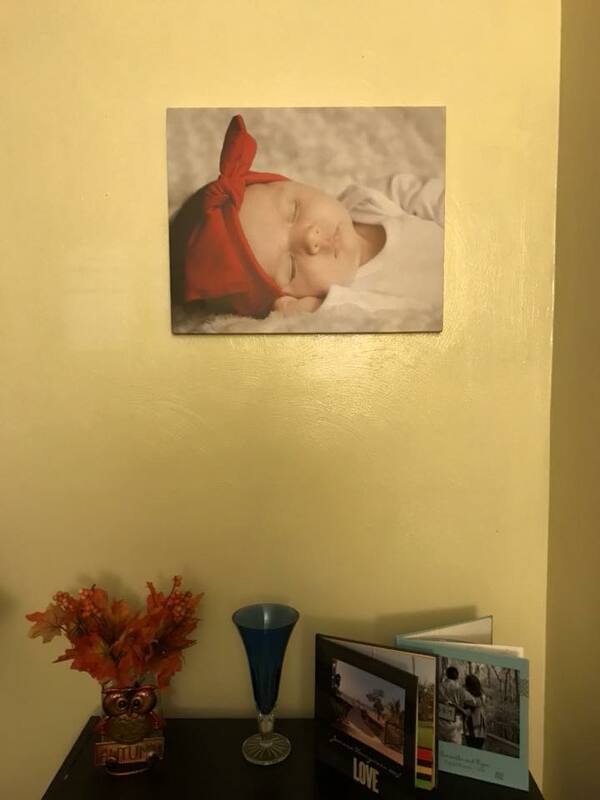 I had pictures taken of my two month old daughter, and when i saw this picture i knew i had to get it on a canvas. I googled canvas places and this site came up. I was nervous since it was such an amazing price. I decided to give it a try and I AM AMAZED. It only took a week for this amazing 16 x 20 canvas to come in. And it was so well packaged and amazing quality. 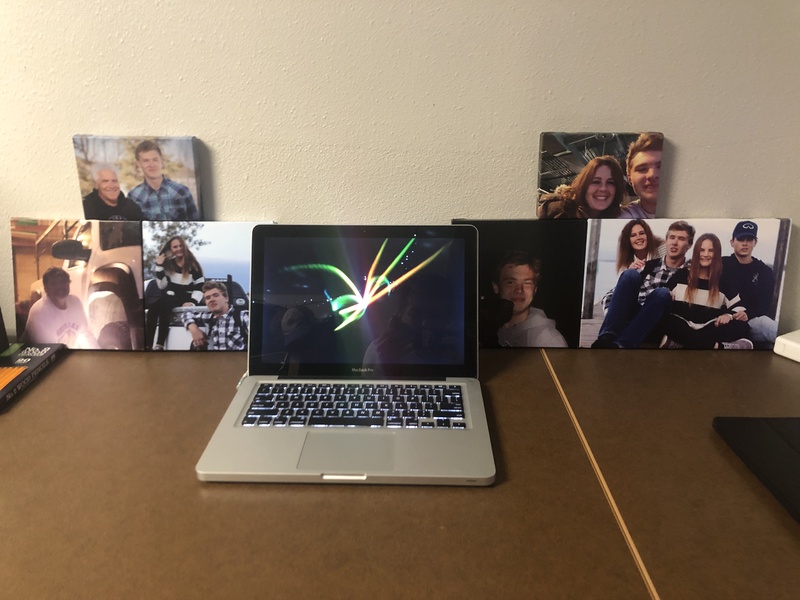 I will be ordering canvases for my family as Christmas gifts this year! We finally got our family together for pics!! the wind was blowing; the temps were cold and everyone had somewhere else to go afterward! We did it!! 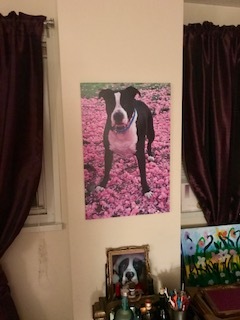 I’m thrilled to have some pics on canvas. Canvas Champs help make the process easier with their user friendly website. The customer service was friendly and responded quickly to questions, I was extremely pleased with the quality of the finished product. I would definitely recommend this company to my friends and family. Thanks, Canvas Champs! 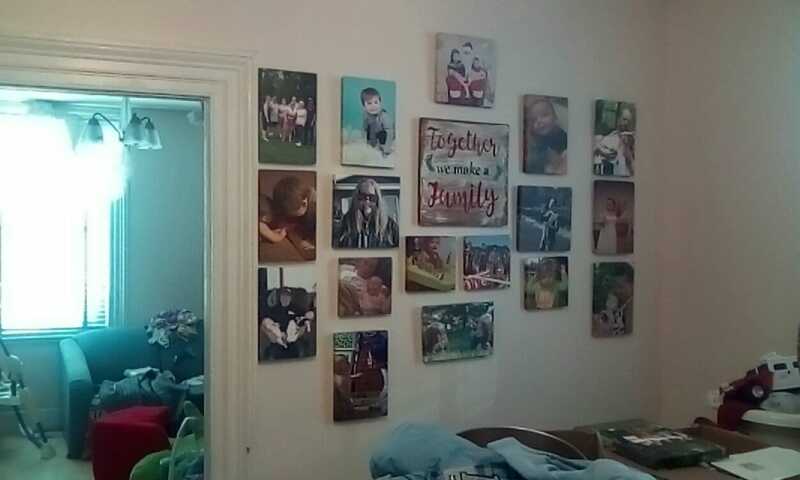 My wall is complete! 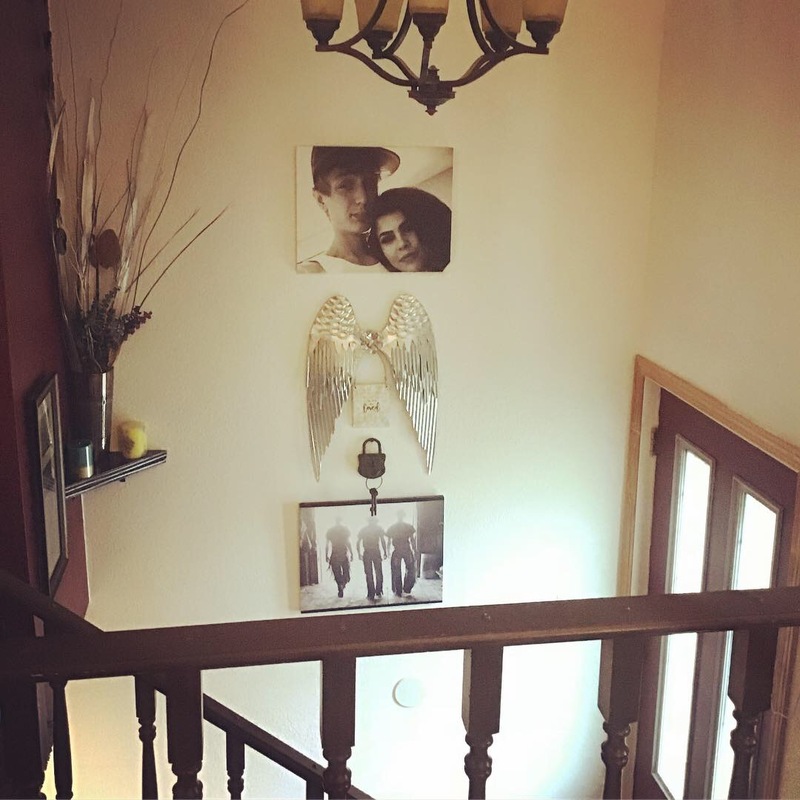 I use the canvas print product on my stair case. 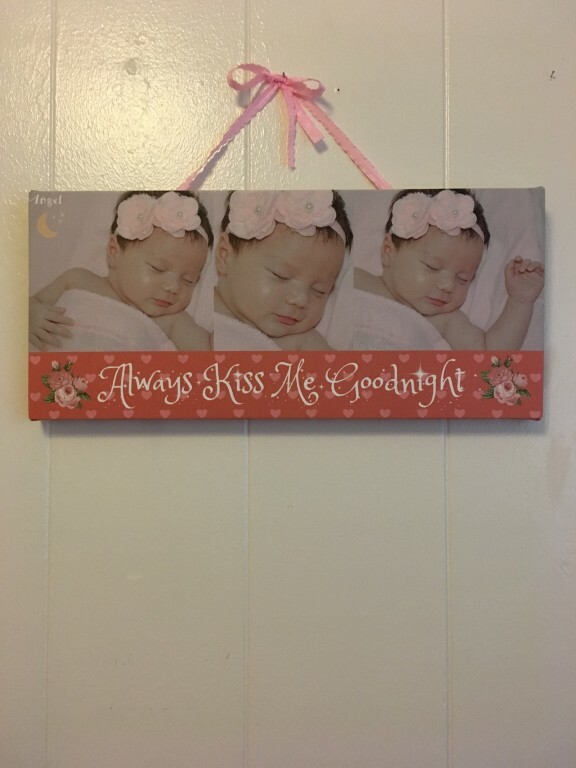 This item is a great purchase of you want to add a creative, nice touch or accent to your wall.Honestly there in not anything bad about this product because I love it so much. It did have a delayed delivery, but arrived in perfect condition. Just the way I expected it to be. Was a wonderful experience. Quick, easy and worth it for the wonderful memories! 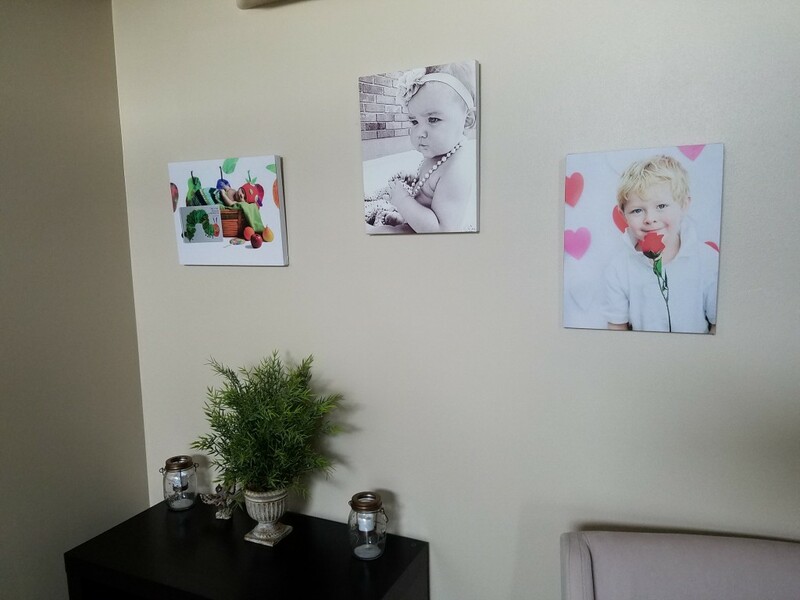 Quality photos on canvas and great customer service make me the best selection for my photo canvas print! 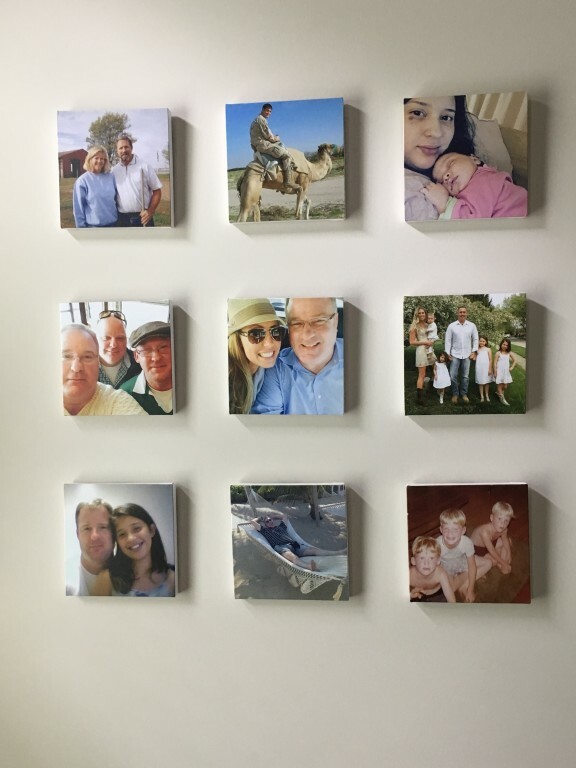 You can blown up pictures on canvas to huge sizes upto 54"x54" and have it framed. CanvasChamp is now the company that I'll be going to for all my prints that I want done on canvas! 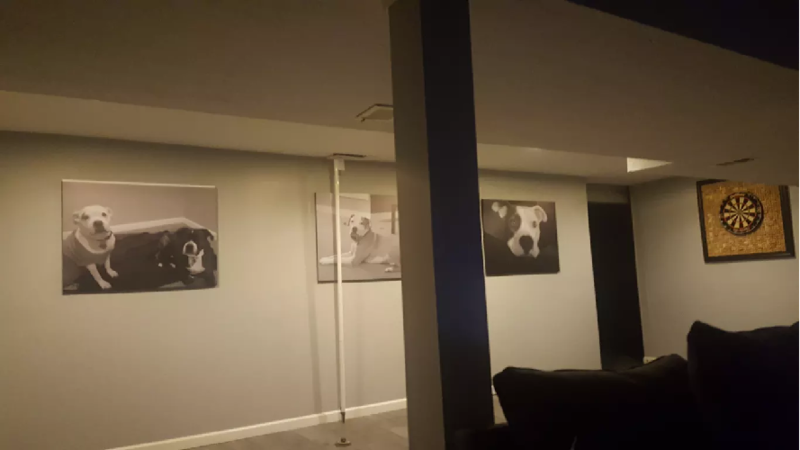 Once upon a time, if you wanted to hang your picture, you had to rely on someone in a dark room working to get the enlargement on a large piece of photo paper. Your choices besides dimensions were glossy or matte, if even that. Jump ahead a few years and nearly all photography is digital. You don't even need a dedicated camera to do the job, relying more on your smartphone for picture and video taking. No more do you have to wait for the film to develop and eventually get printed from the generated negative. 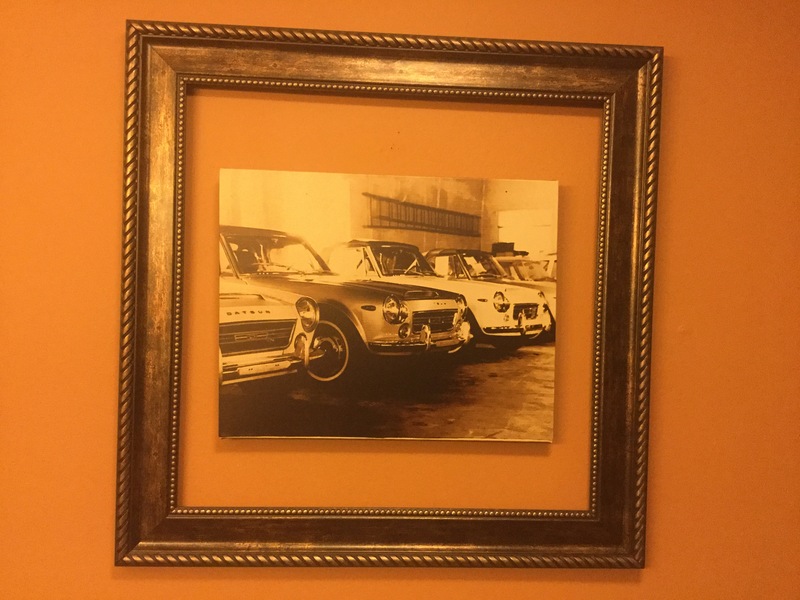 You do, however, typically put the picture in a frame if you want to hang it. 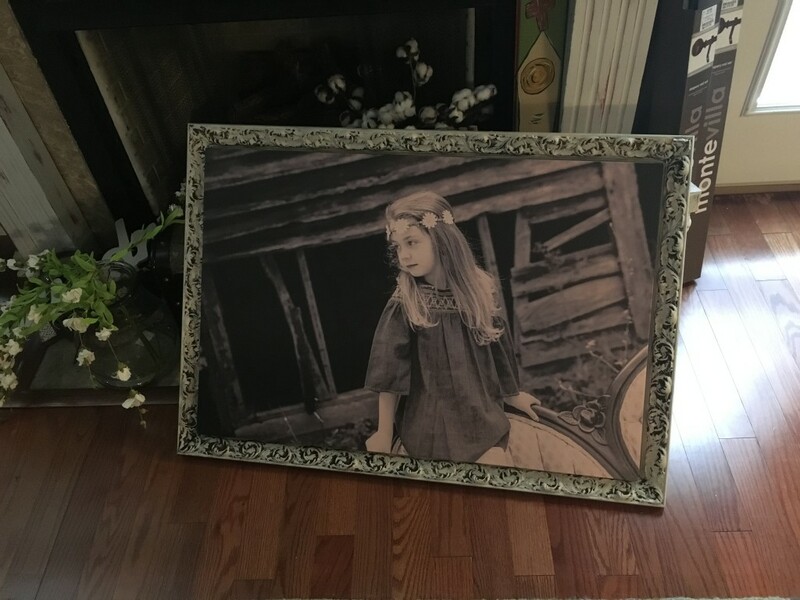 CanvasChamp is offering the latest alternative to photographs on large photo paper. 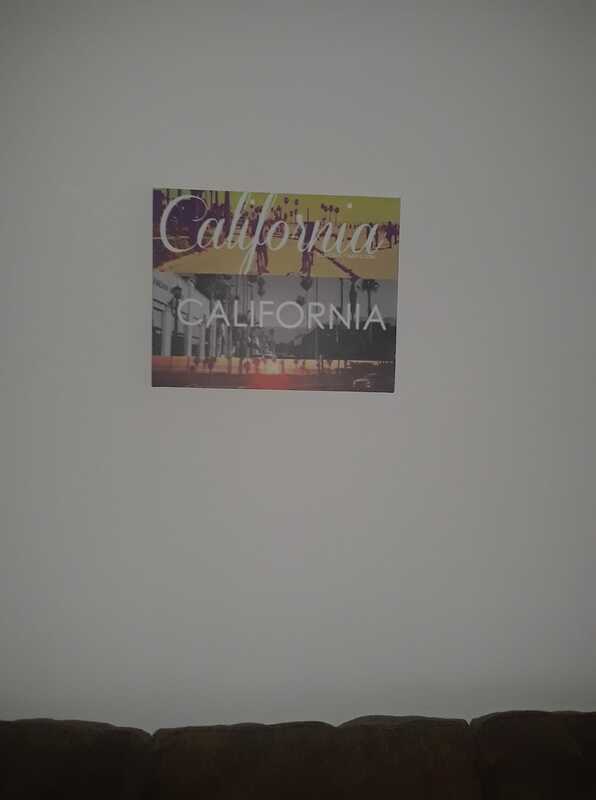 Instead, CanvasChamp prints photos on canvas. They then wrap the canvas around a wooden frame. I recently had the chance to try them out with an 8" by 12" photo from when I visited Kazakhstan. 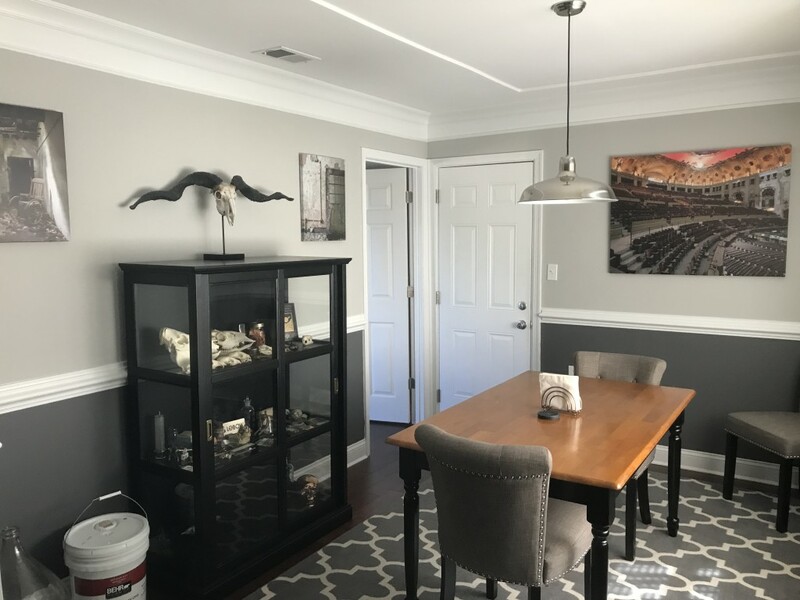 We recently repainted our family room blue and wanted a picture with a mostly blue color. Ordering from the CanvasChamp website is easy, but before ordering, make sure you pick out the picture first. It is best to do that before visiting... 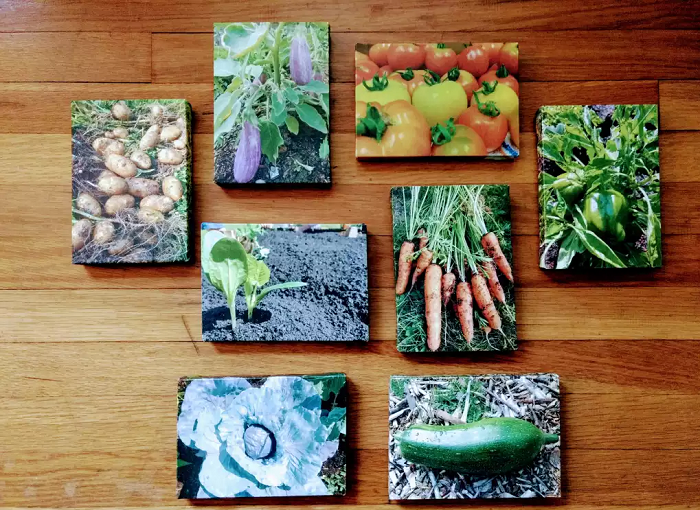 When you visit their site, they prompt you for an email address so they can send you a coupon for a free 8"x8" canvas with your first order. That's a $5.95 cent coupon as that is the price of an 8"x8" canvas. The site claims this is a 91% discount off the regular price of $66.10, but I have never seen that being the actual price. Nothing really bad about that given the low price, just an observation. 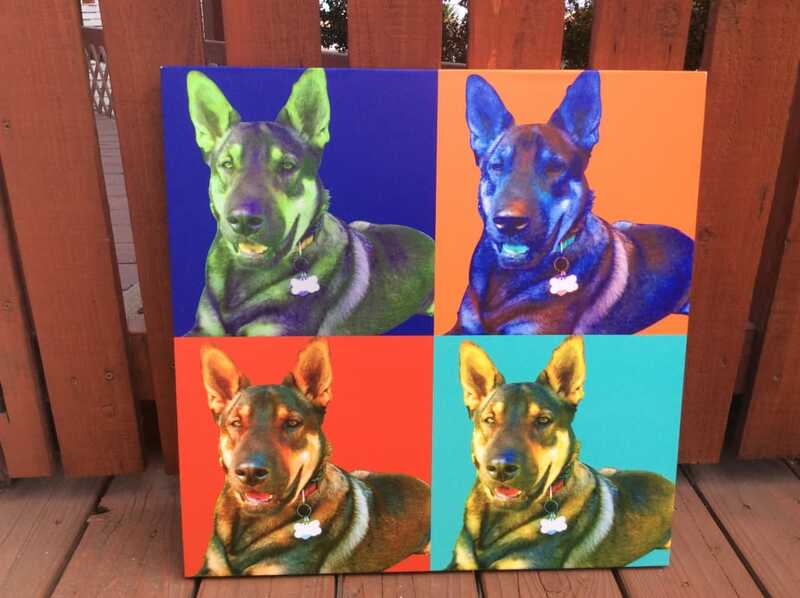 In addition to uploading your picture for the canvas, you have several other options to choose for your canvas. 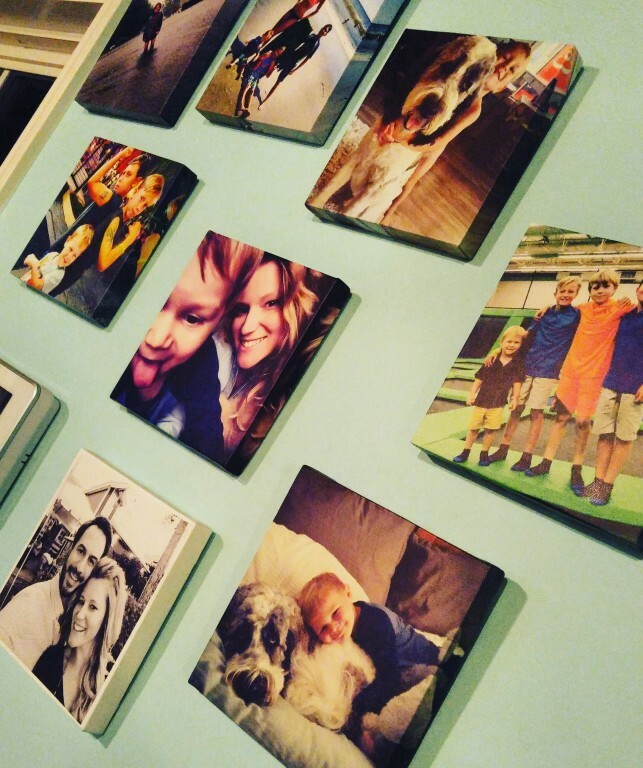 This includes choosing a photo mosaic, photo collage, or wood prints. 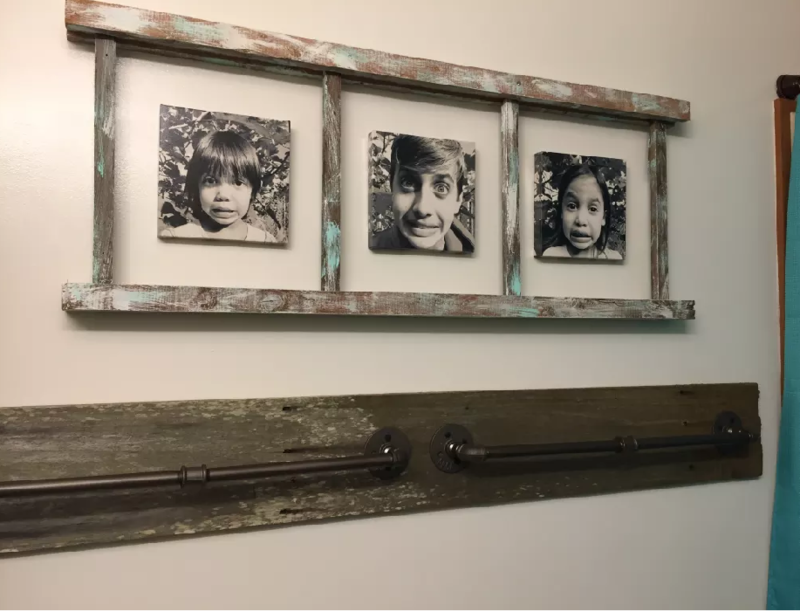 You can also choose a frame if you want and some other hardware options like an easel. You can even ask for some minor photo where they send you a design proof before printing. 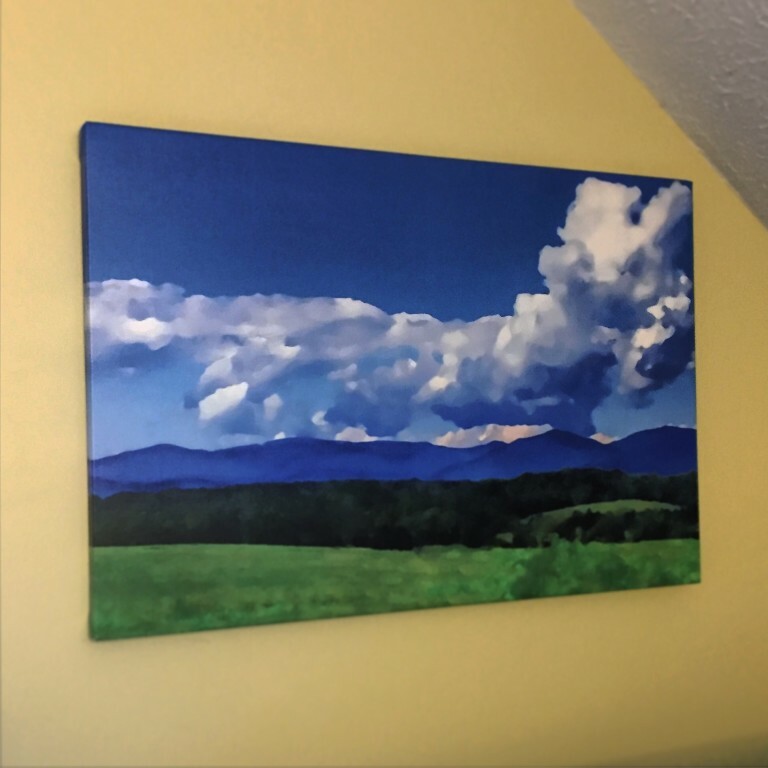 We then hung the canvas on the wall with the included hooks for hanging. 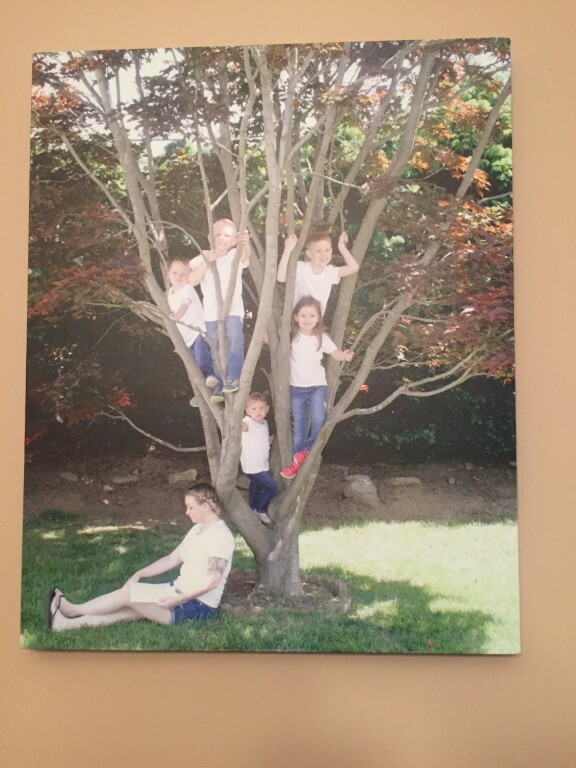 Total cost for our 8"x12" canvas was $14.19. Service and delivery comments: They send you the canvas wrapped like crazy to help prevent any damage during transit. The canvas itself is wrapped, too. While the box was difficult to open, I'm glad it was in a way as it helped protect the canvas. 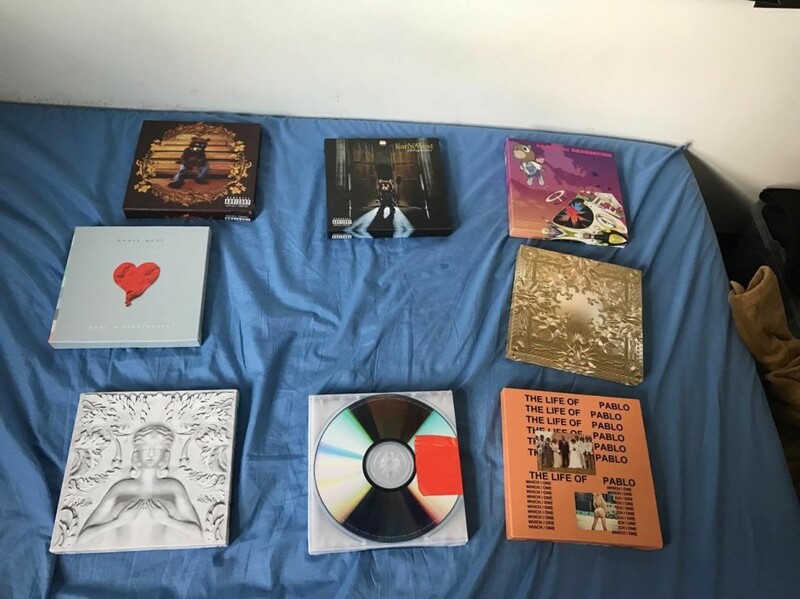 I am very satisfied with my order I placed. I gave it a 4 star instead of 5 because there are 2 very small marks on 2 of my photo canvases that I ordered. They are small and I will notice them forever but unless pointed out, no one will see. 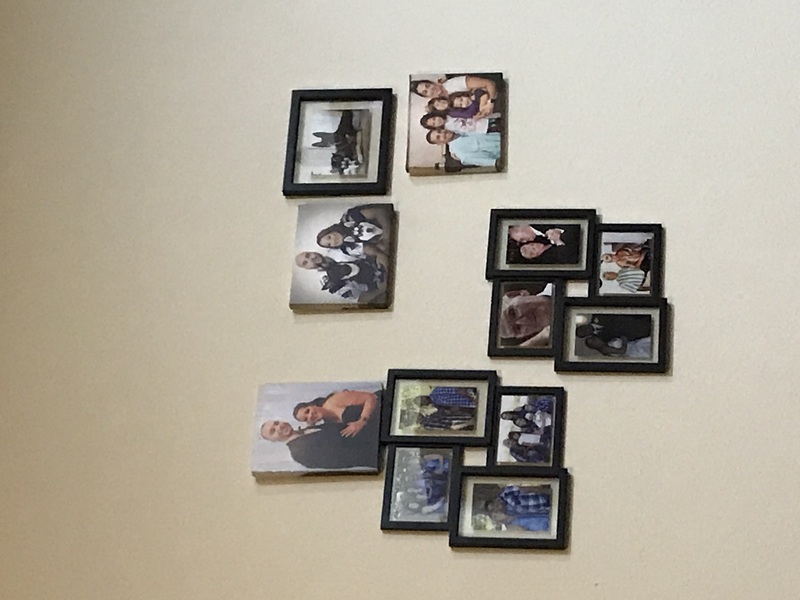 It made a great feature wall for our home! Service and delivery was impeccable. So fast! Overall I am very happy with the printed quality of the canvas prints and would order from Canvas champ again. I ordered this as a gift for my mother and she is beyond happy with it. Very reasonably priced, shipped quick, and arrived perfectly packaged and on time. I will order from them again! Great quality and it shipped way before the due date. Have purchased twice now! 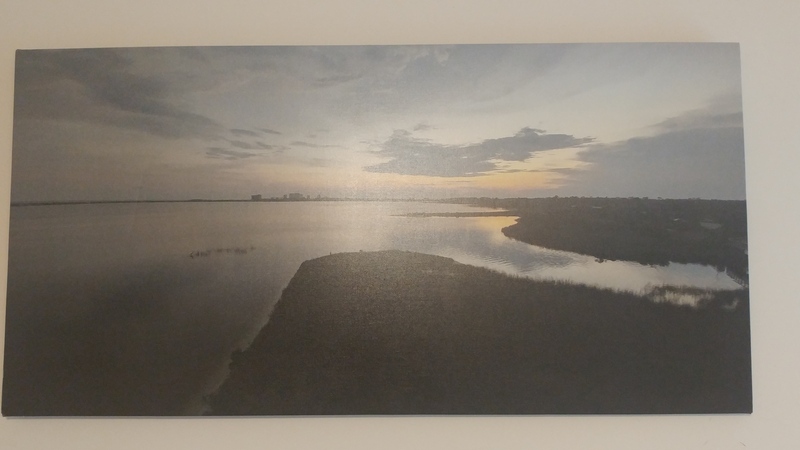 I ordered a custom canvas size 10x30 and it came out really nice and exactly the way I hoped it would. Quality was nice too. Arrived right on time no hassles. 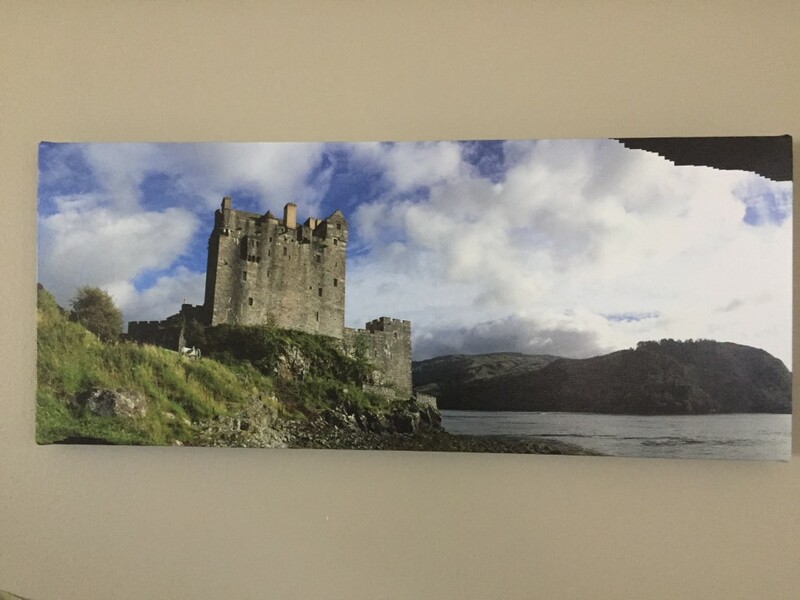 Very good quality canvas and well made. I will sure order it again! If you're on the fence about placing an order - don't be afraid to hit that submit button. 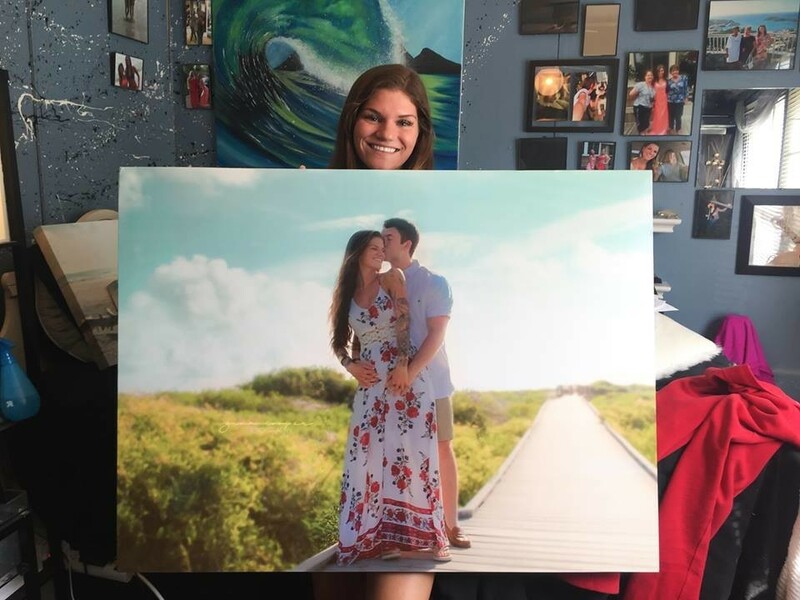 I ordered a huge custom size canvas print - it is crystal clear, and beautiful. 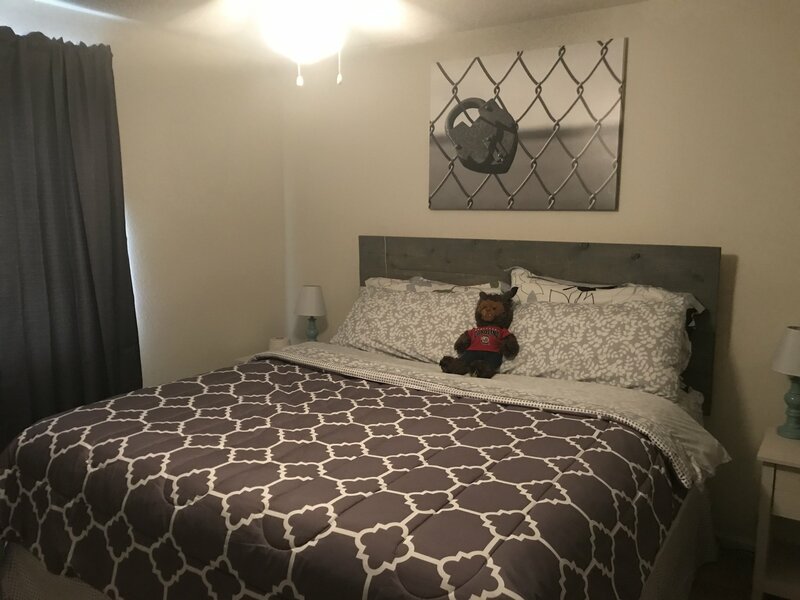 Canvas Champ definitely has the best prices around. 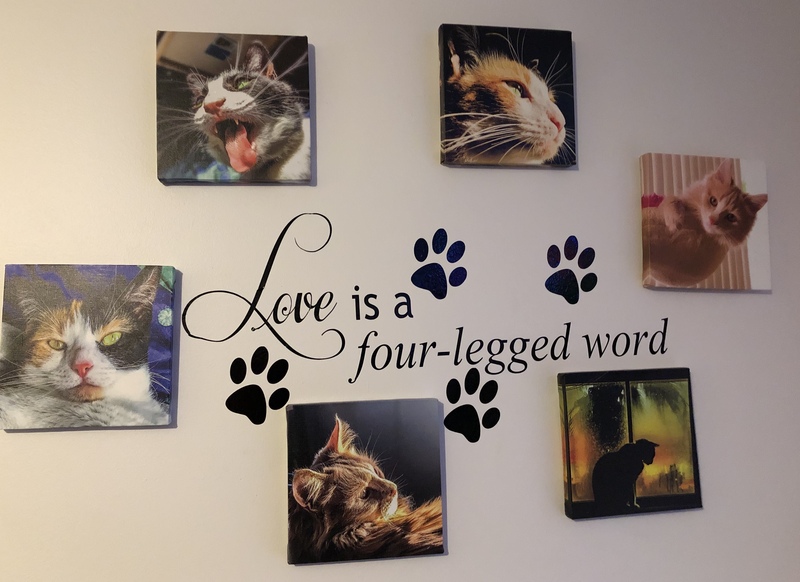 I purchased Canvas art of our fur babies when they were little for the beginning of our collage wall. I was worried that the quality wouldn’t be that great since they were so cheap, but the art was perfect and exactly what I wanted. I love these pieces sooo much. Absolutely LOVED! 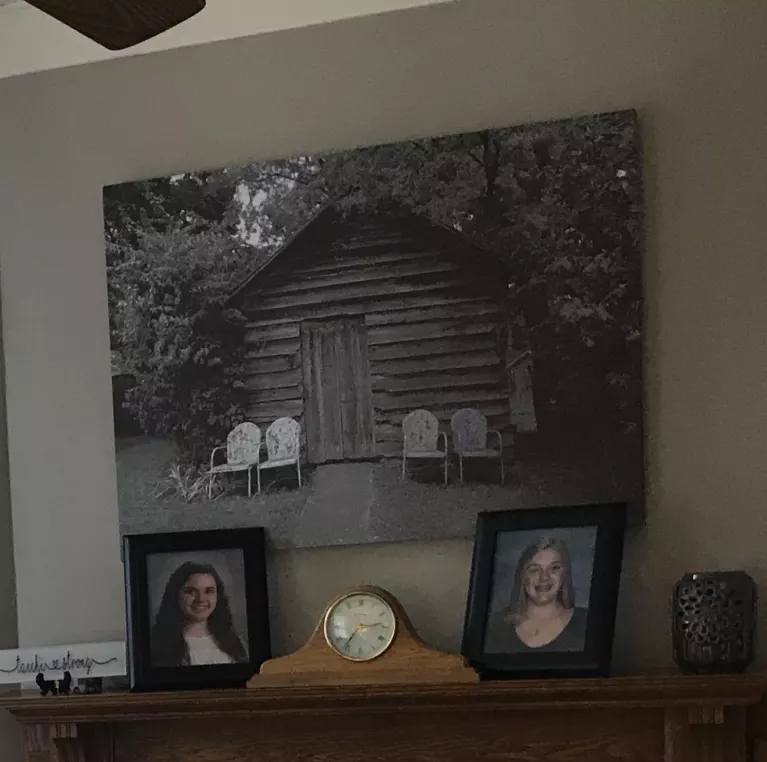 The picture quality on the canvas is fantastic. 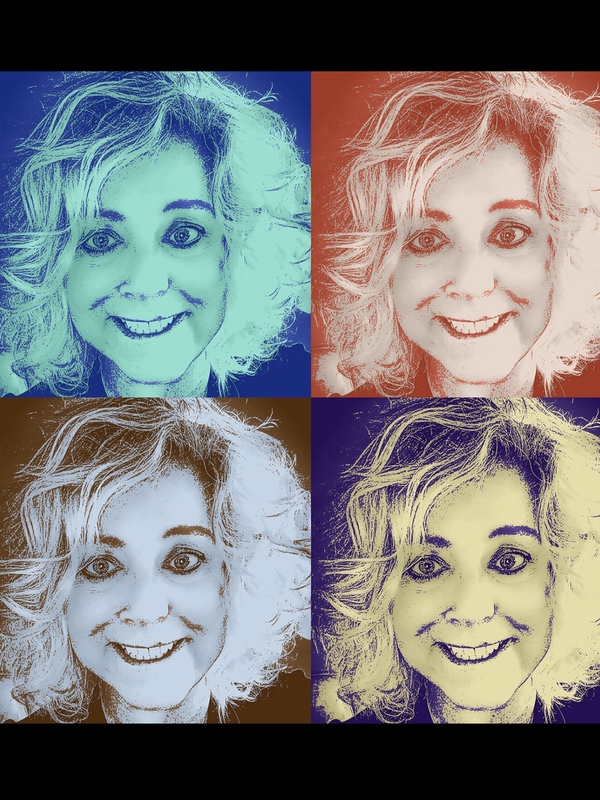 I went to many canvas websites, and this was the only one that I could shift my picture around to get the part of the photo I wanted. The site was the best, and the gift was LOVED! I am amazed at the quality of these canvases. The colors are bright and vibrant. The pictures are high resolution and they are very well put together. 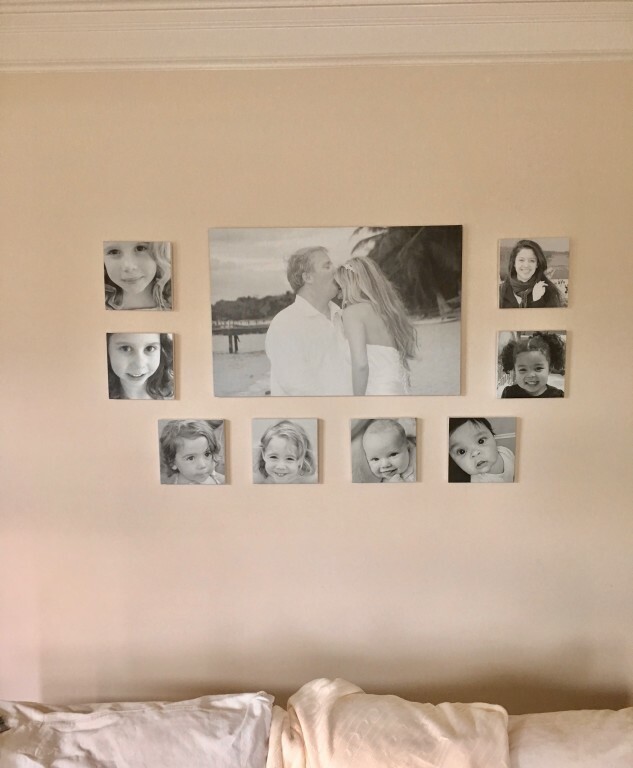 As you can see, we have ordered many canvas prints from CanvasChamp and are thrilled with the products. 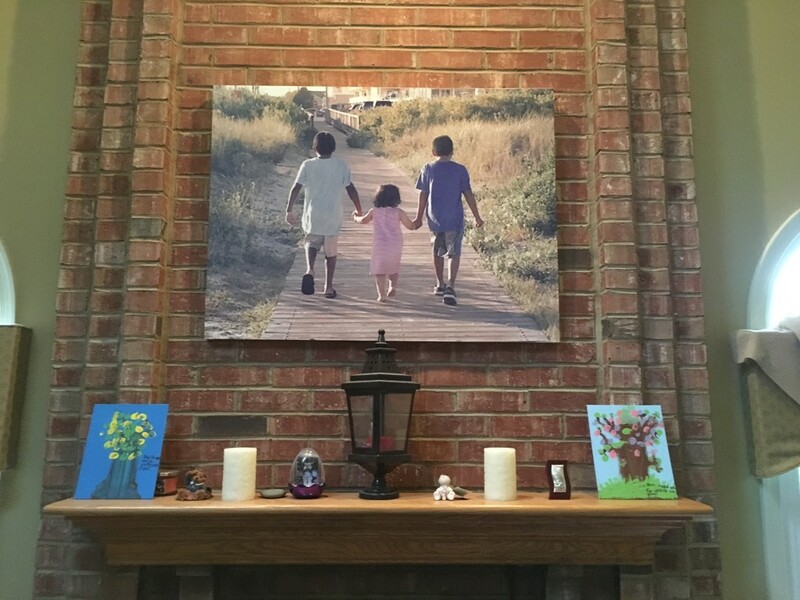 We will continue to use CanvasChamp for all of our canvas prints in the future. So easy to order and great quality and fast shipping. I've been meaning to print my photography for a while and looked around at numerous companies, but could never afford what I wanted. CanvasChamp was having a huge deal so I gave them a try. Took a month to print and ship. One picture has minor flaws from when the canvas was stretched onto the frame. There was a very strong chemical smell when I first opened the box (others have noted this too) but it faded in a few days. Just kept my windows open! Service and delivery comments: The packaging to ship the prints was very well done! When I saw that my prints were coming from India, I really worried about shipping damage but they arrived safe and sound! Once they shipped I was amazed how quickly they got here from the other side of the globe; 4 days. 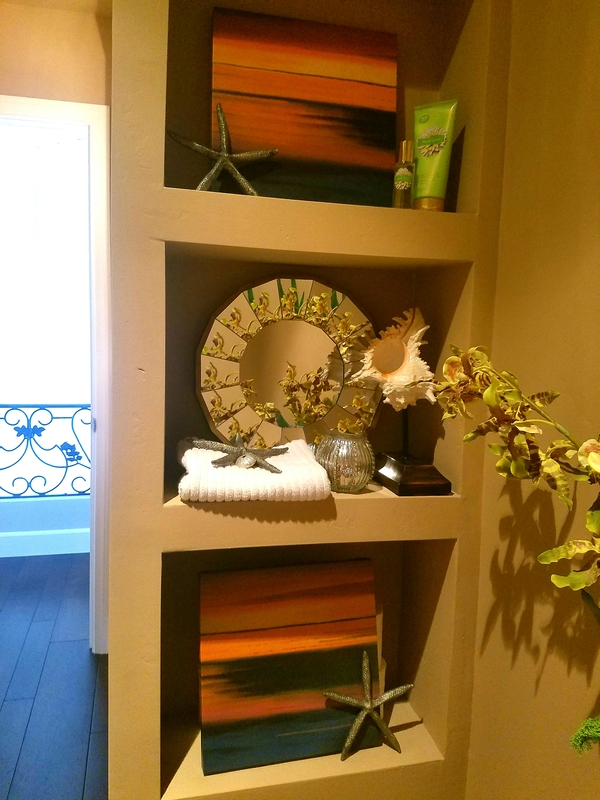 I have a newly remodeled bathroom that I decorated in a beachy theme. 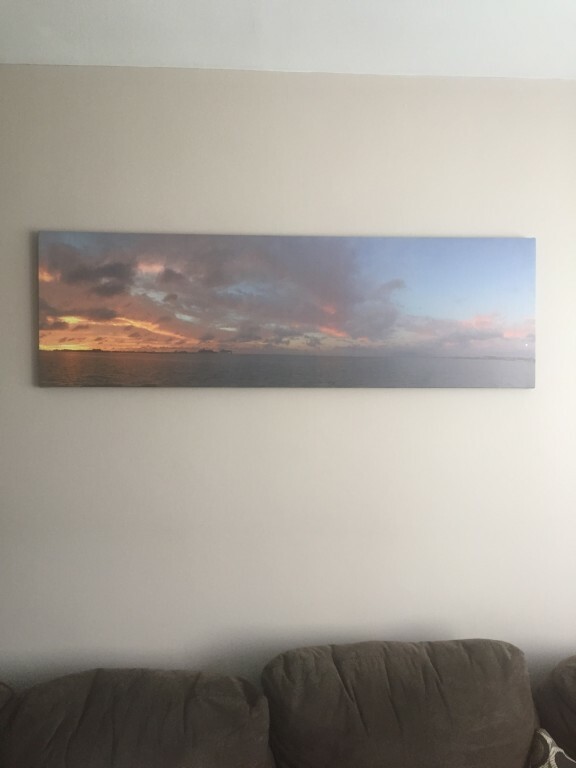 After a recent trip to Miami Beach, where I took the perfect photograph of the ocean, I had the pictured blown up and put on canvas. It was just what I was looking for. And now I have a photo that means something special to me, as well. Delivery took a little longer than I had expected. Maybe I was anxious for it to arrive. It was packaged well and arrived in perfect condition. I ordered a group of 5X7 prints. The images are crisp and the colors vibrant. The shipping was fast and the quality of the product is fantastic. My very first time to order and I was a little skeptic due to very low prices. I didn’t think I will get quality photo canvas prints. 1st, they called me because I ordered thru PayPal and didn’t provide my address . Then I received my orders in a very timely manner. 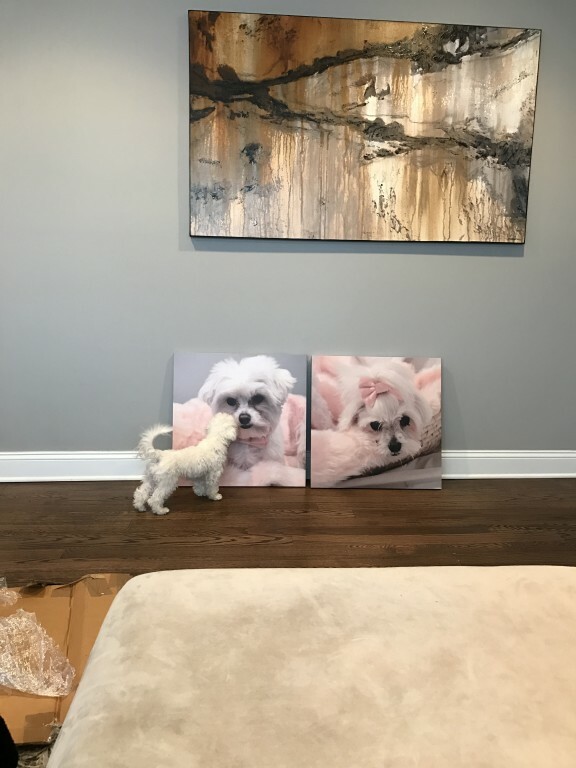 The canvas prints have the best quality!!! 5-stars indeed. I have not arranged my photos yet. 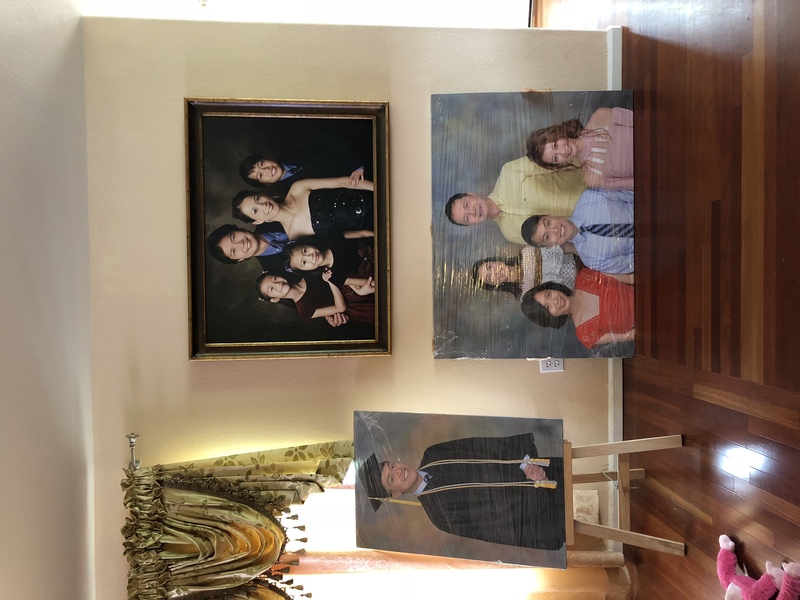 Please note: I just received my sons graduation photo and our recent family Photo. Thanks Canvaschamp. I love the look of metal prints. 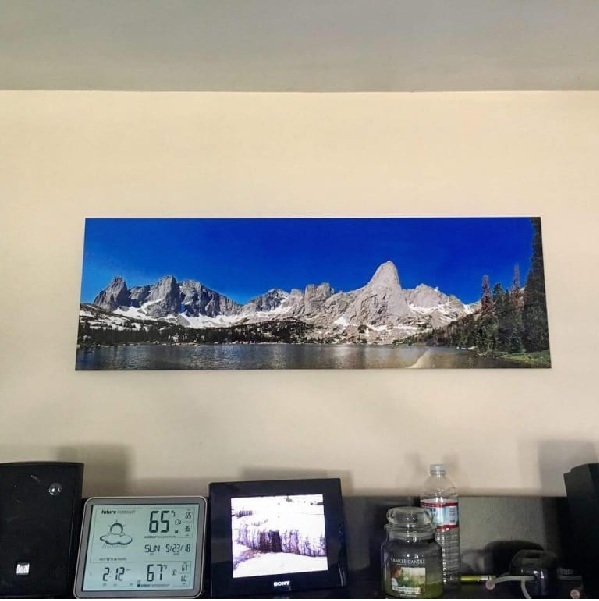 So when I took a panorama of the Cirque of the Towers in Wyoming, I knew I wanted panorama picture printed on metal plate. It turned out amazing! The metal is VERY thin and I could see it potentially getting easily damaged because of that. Service and delivery comments: Took a month to print. The packaging to ship the print was very well done! 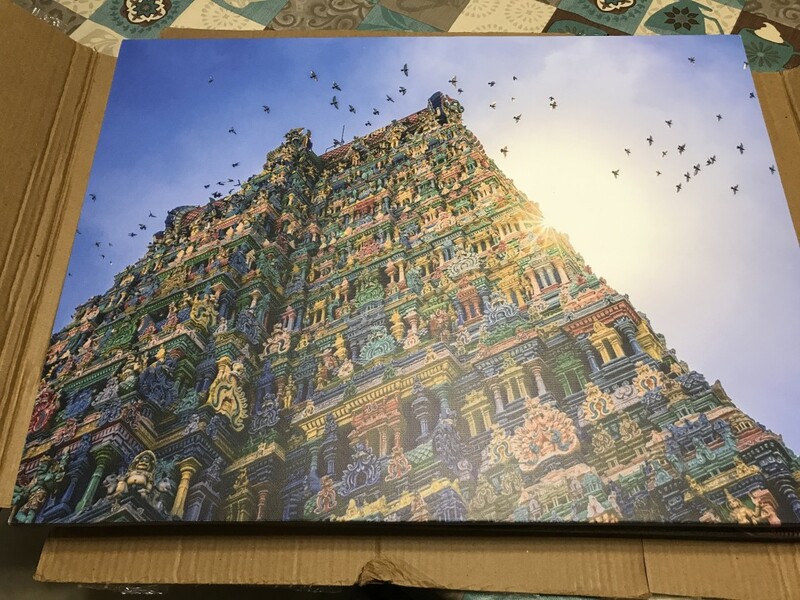 When I saw that my print was coming from India, I really worried about shipping damage but it arrived safe and sound! Once it shipped I was amazed how quickly it got here from the other side of the globe; 4 days. Comments about : I'm satisfied with my order. The delivery was fast and packing was great. Just the picture quality appeared to be less sharp than I expected. Still 5 stars for a good service. Service and delivery comments: Fast delivery and safe packing. 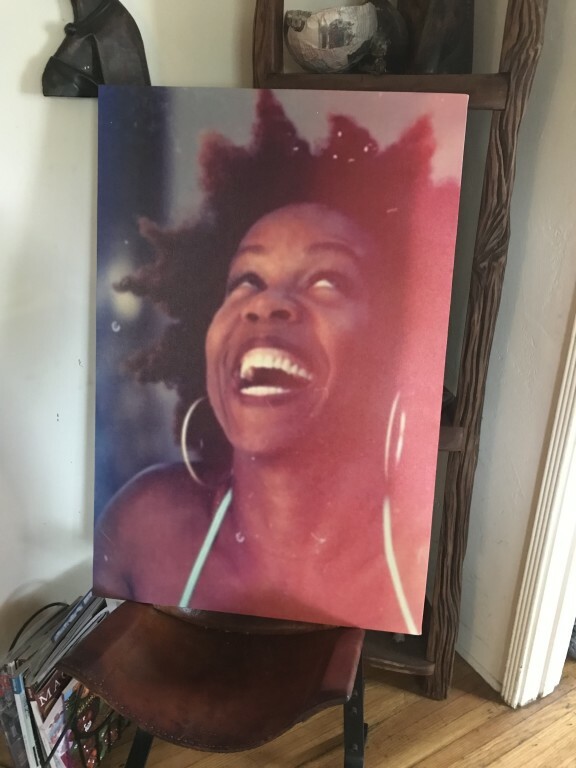 My client was so over the top happy, she is ordering 4 other prints from mew. 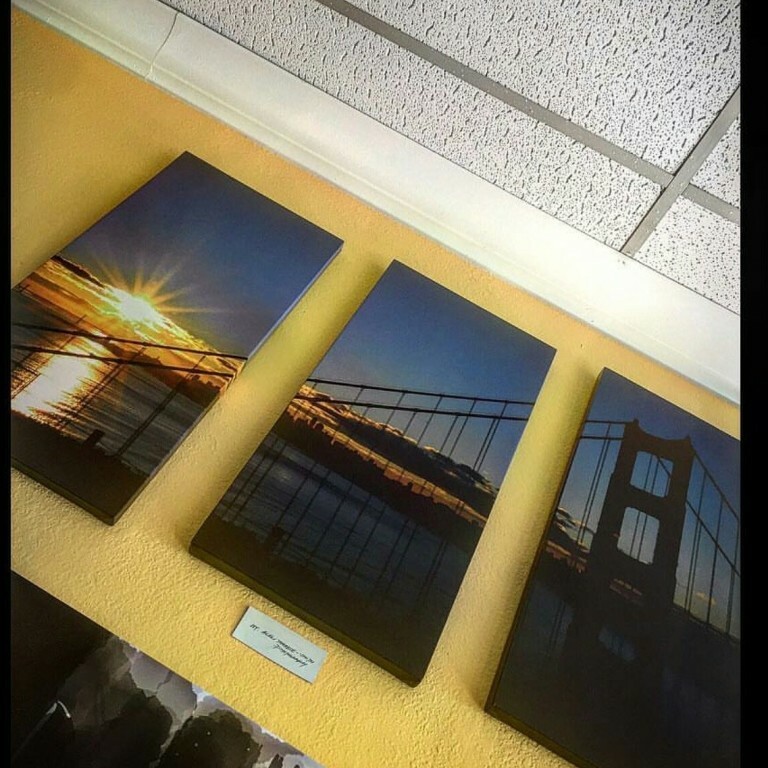 The quality of these mounted acrylic photos our Gallery worthy, I know that because I hang them in a Gallery. people are amazed by them. 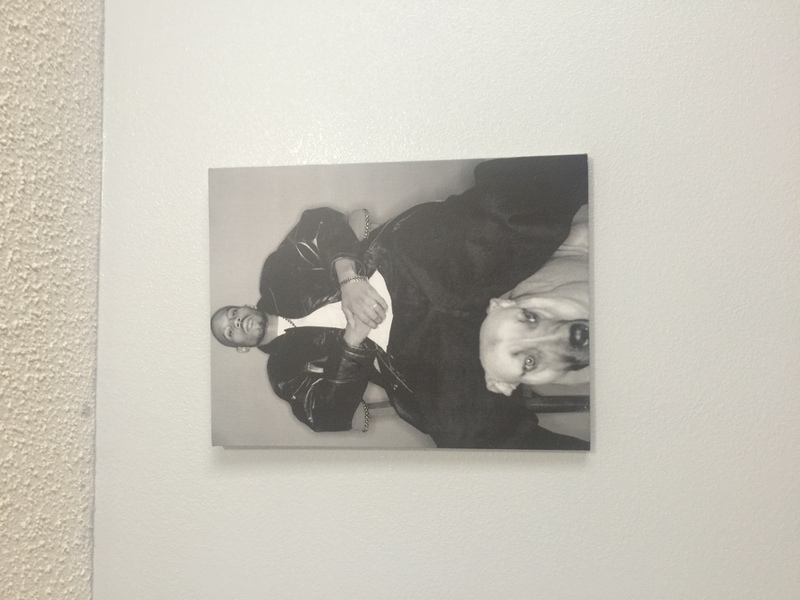 I ordered a huge canvas photo print to take up blank space on a wall. 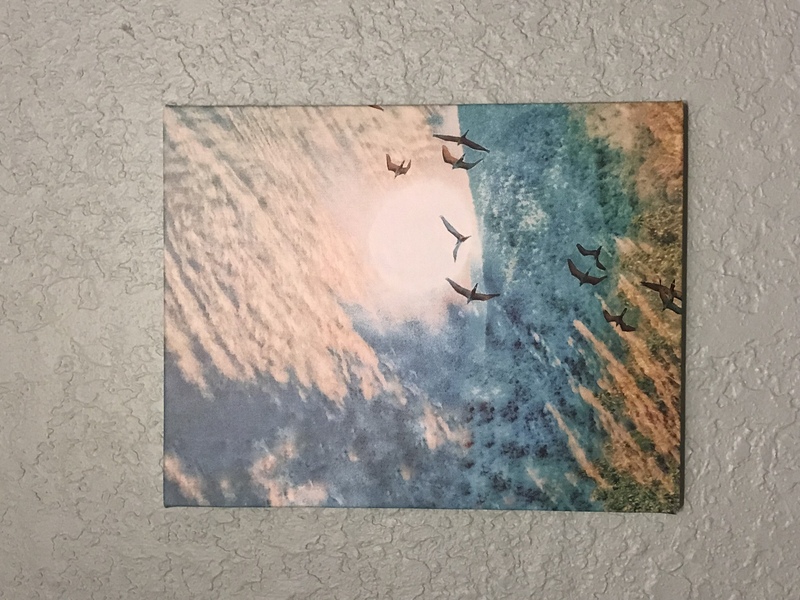 I was expecting a very cheap pixelated canvas, and was blown away when I unwrapped the package. The picture is crystal clear, the lamination makes it a breeze to dust. I have since placed two more orders. 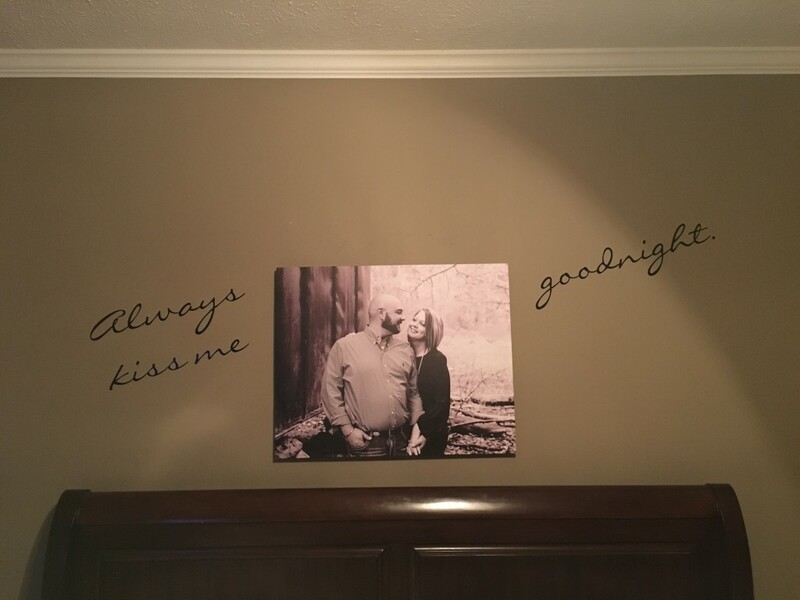 Love our canvases! 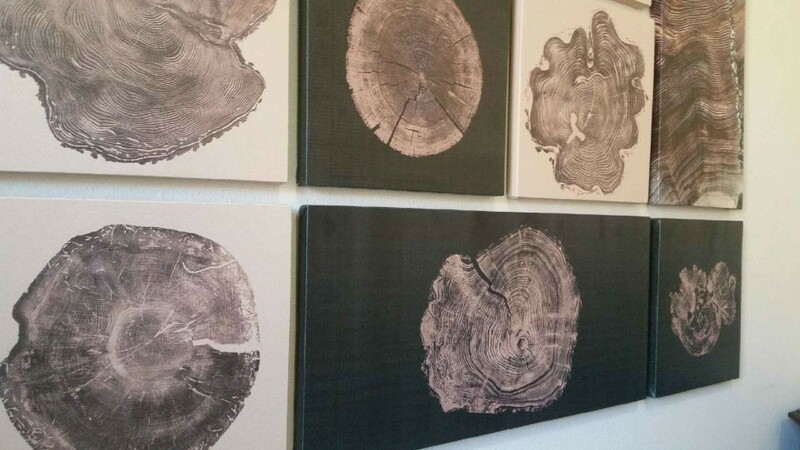 The print quality is great, the canvases are mounted on quality wood, and the shipping was super fast! Highly recommend. 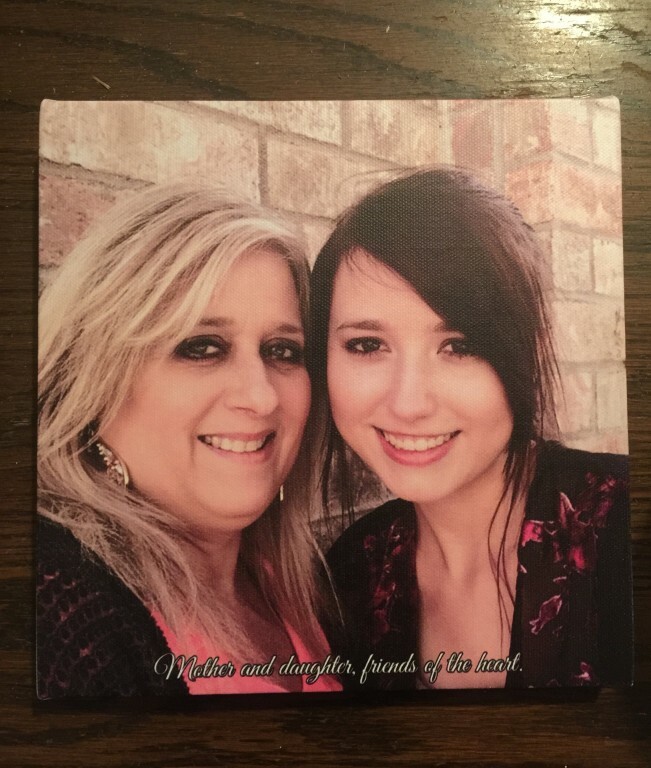 Mother's day gift idea I'd like to share with you all :) I ordered this photo pillow for my wife. 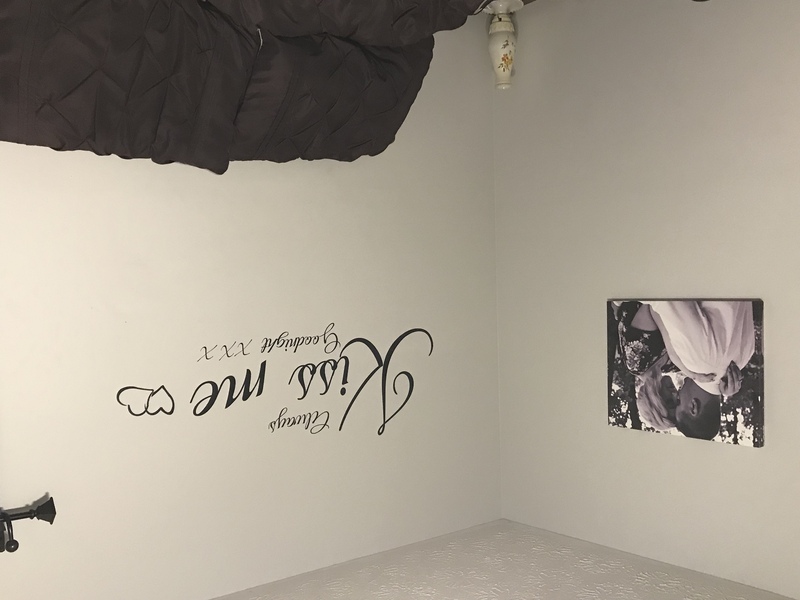 It's our beautiful daughter in the front with an elegant white rose print in the back and a quote I originally thought of for this design. 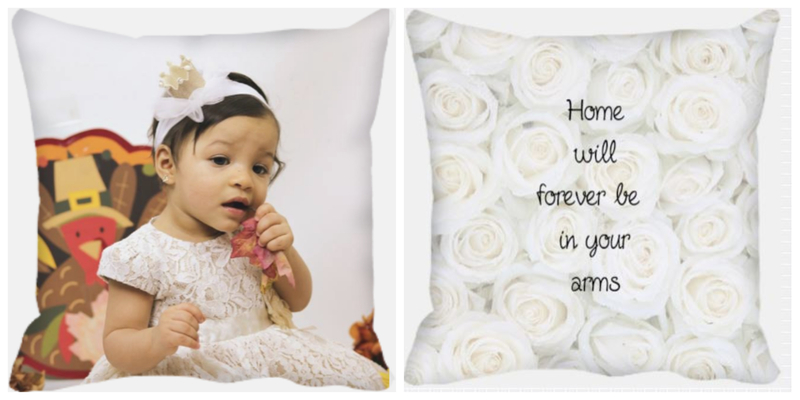 It says "Home will forever be in your arms" as a lovely phrase and a cute pun since it's a pillow!! 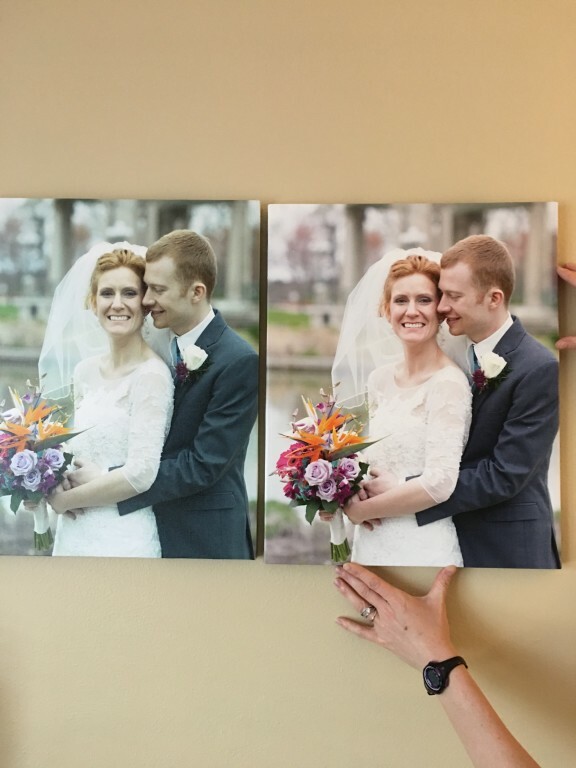 Using the online ordering tool was very simple -- I ordered 5 different Acrylics and after waiting about a week for creation and delivery, my acrylic prints with standoffs arrived and I could not be happier! 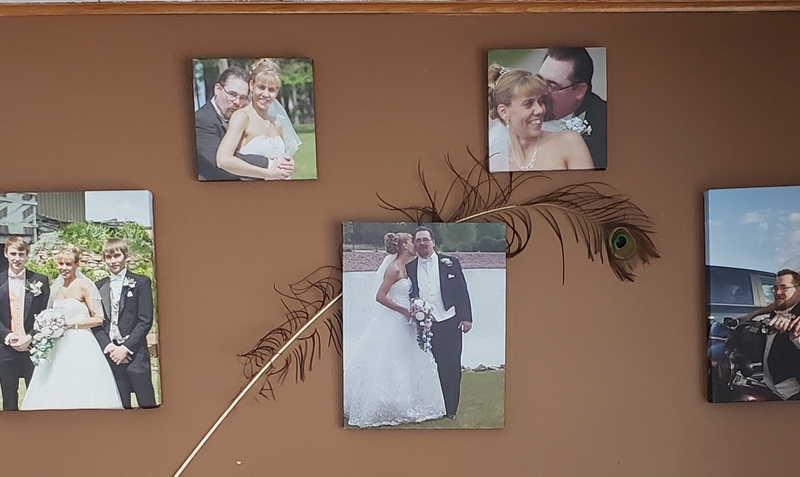 I have a room in my house that is full of all my favorite trip photos and these are a perfect addition! Beautiful color and clarity. The staff was very helpful with all my questions and requests. Fast, prompt shipping. Will order AGAIN!! 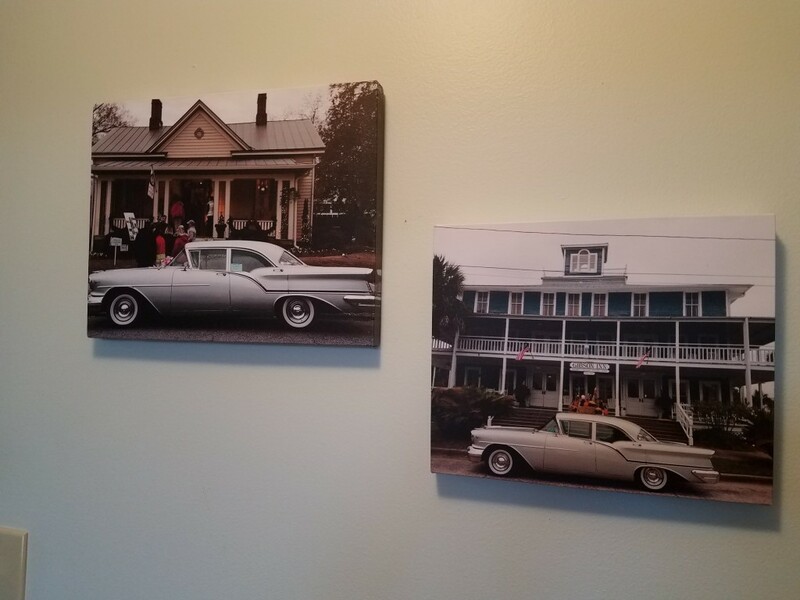 I have bought a couple dozen canvas prints from Canvas Champ and every one has turned out great. 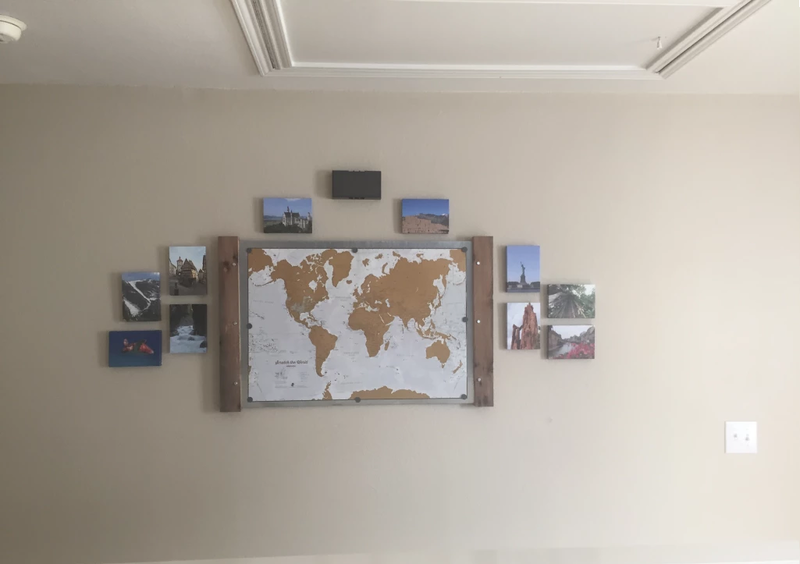 I use them around my house to highlight my travels around the world. Every delivery arrives promptly and the quality is very professional. The only thing I have noticed, is sometimes the wood used to make the frames can be slightly slanted. 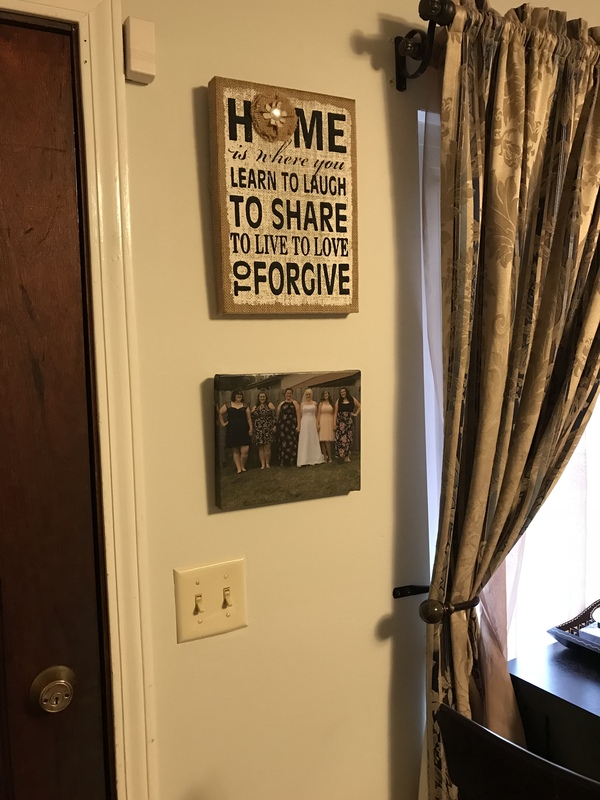 This can cause issues when hanging the frames flush with the wall. 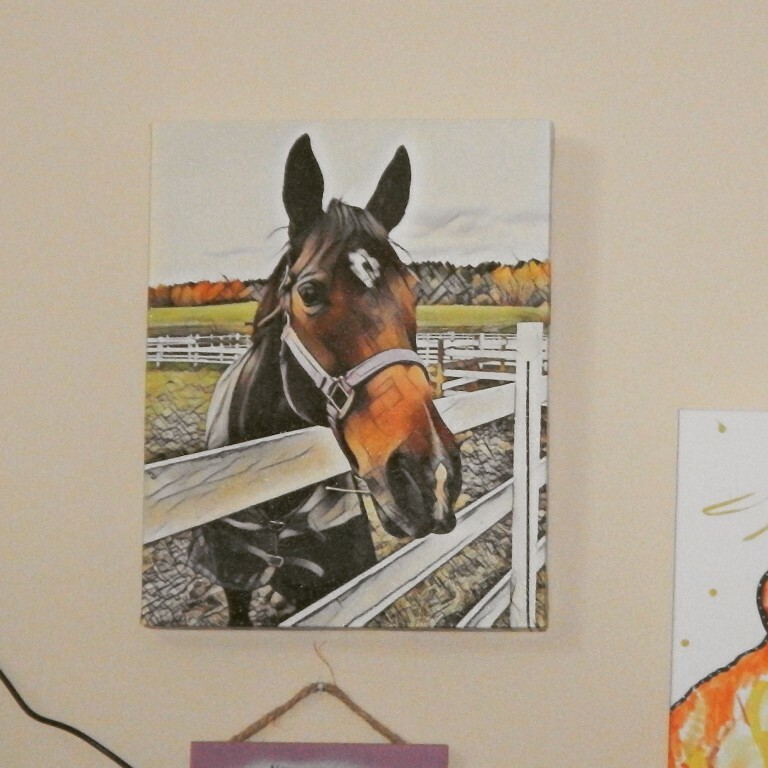 Otherwise, I have been very happy with the canvases and I plan to order more in the future. I LOVE CANVAS CHAMP! 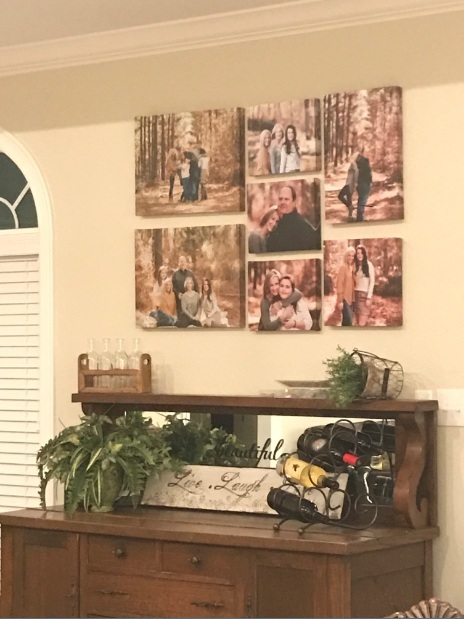 I have photos made by them all over my house. This is just my favorite. 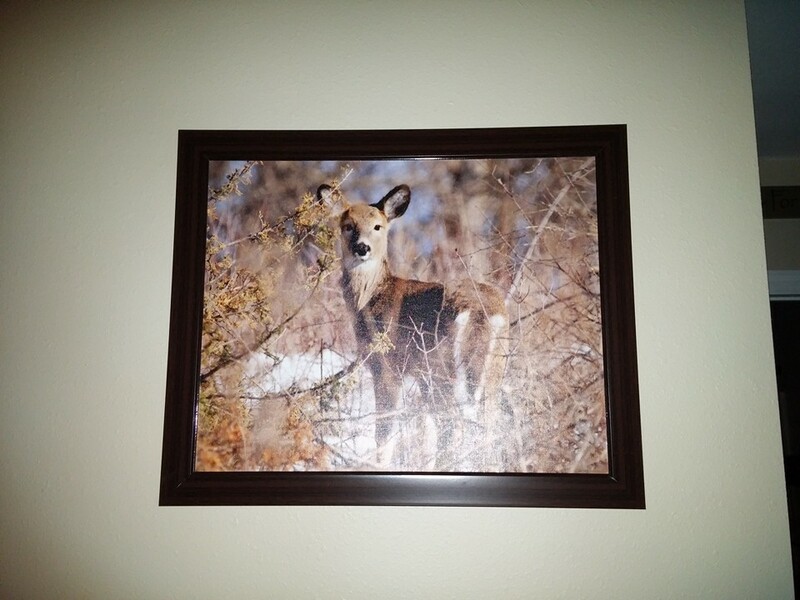 The quality is great, the photos are sturdy, and make displays much cleaner than frames. The prices are AMAZING as well. I will continue to order from them when I need photos!!! Just always wanted artwork of myself. 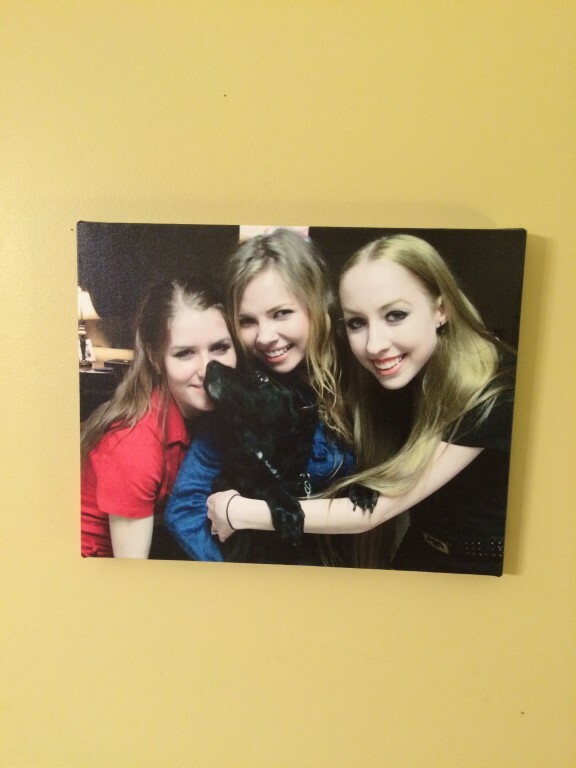 I love this canvas of my sisters and I, from my wedding day. 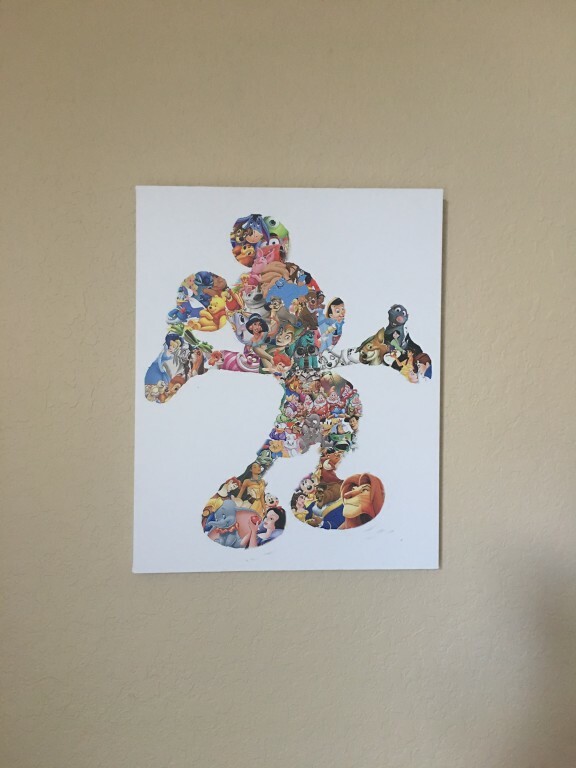 I have it displayed in my foyer so I can see it everyday! The canvas is very well made and was delivered within just a couple days! I will use canvas champ for all my future canvases!! We have made several canvases through canvas champ. 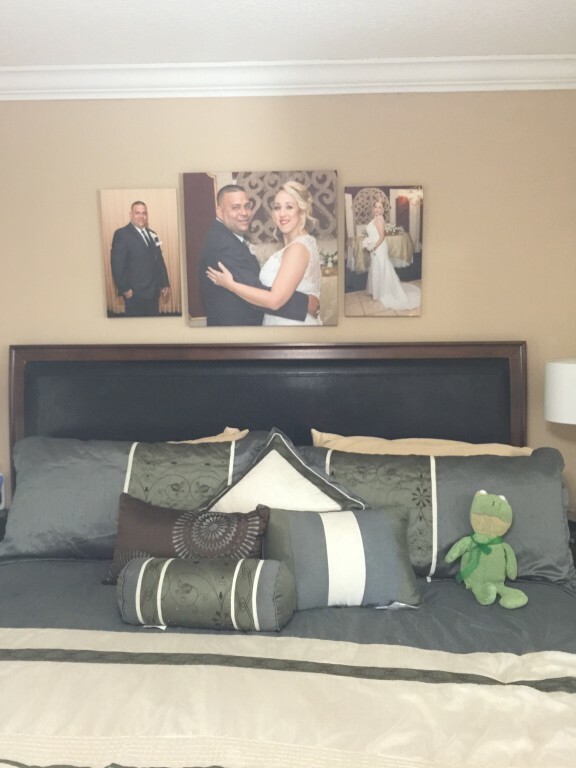 This canvas we use in our bedroom, it was perfectly made, very nice quality! We love canvas champ!! 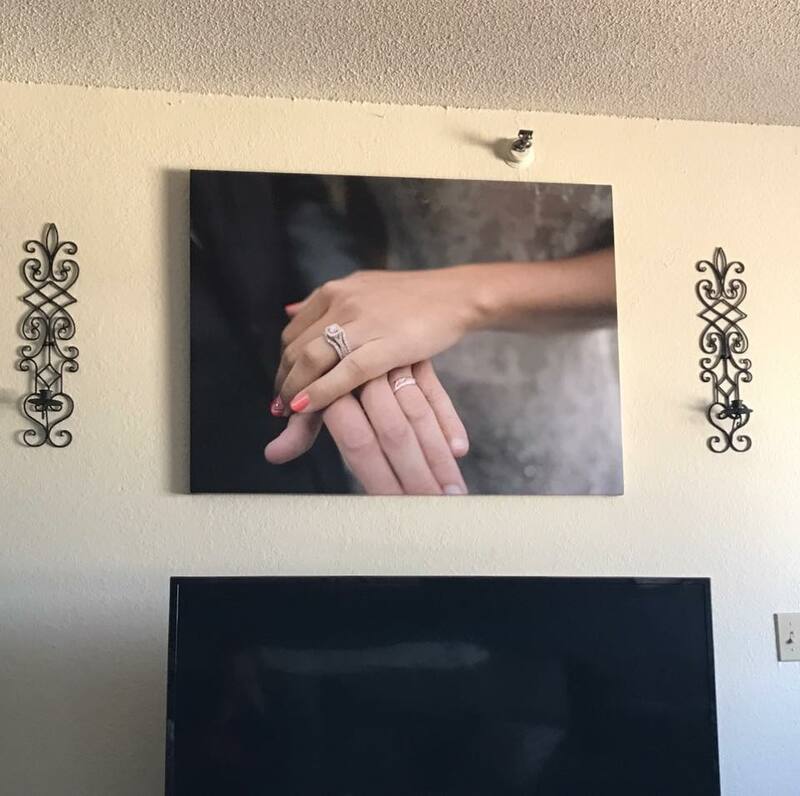 Our large canvas picture came back so sharp and beautiful. Will use this co again and again. 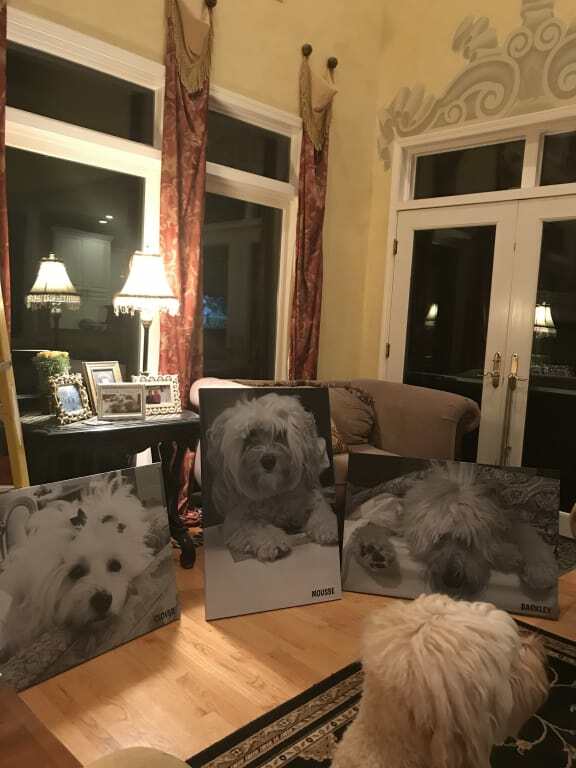 We are very pleased with our canvases. 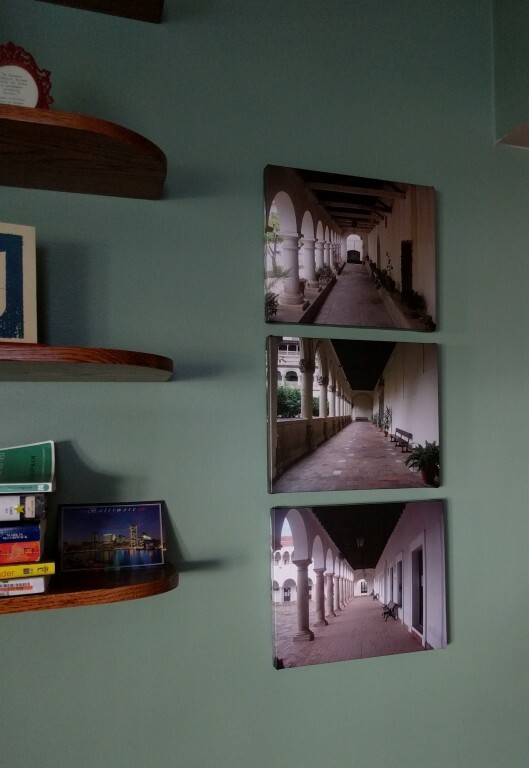 We ordered 4 large pieces (30x40) canvas prints and they all look great! We were worried since some of our pictures were not very large file sizes, but they all turned out looking great. The larger files turned out looking even better, but all were great. Will be ordering more in the near future. Customer service was great. Quick communication and very friendly. I made a mistake on my proof, so one of our 4 prints had a long white strip at the top (totally my fault) and when I contacted CanvasChamp, they offered to give a 20% refund or credit towards reordering. This is more than I could have expected and definitely speaks volumes to their customer service. They will get my business time and again. Price couldn't be beat and the service was just as good! Amazing quality, love the way it came out. Definitely much better than other canvas companies. Can't wait to decide what is next for my home. 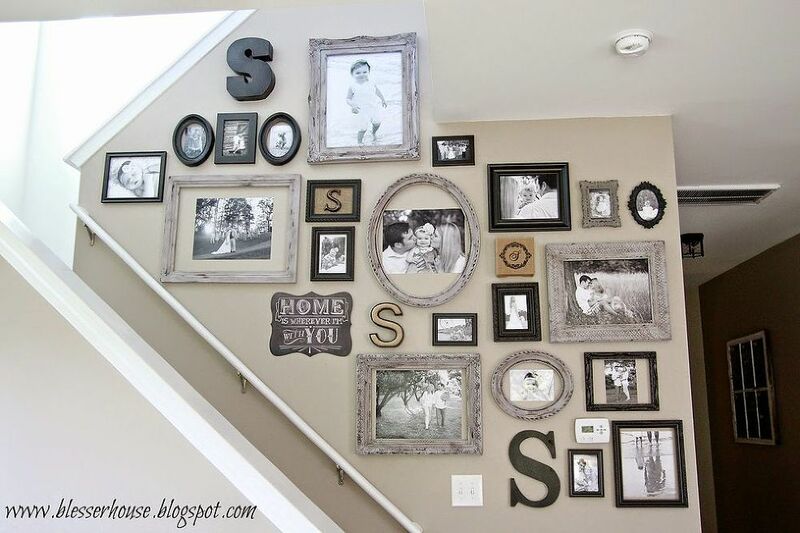 Best way to decorate your home at an affordable price. 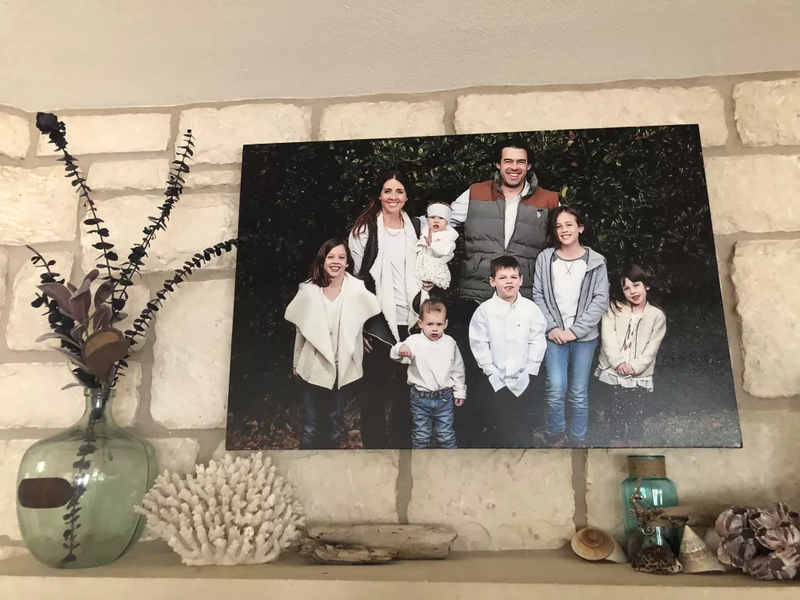 Canvas prints make great gifts, and are a creative way to capture special (and sometimes goofy) moments. I would buy this product again, would recommend to all! I took a simple pic of my backyard lake with my iPhone during an unusually cold winter spell here in Atlanta. The snow-covered trees and the icy lake made a beautiful, colorful photo. 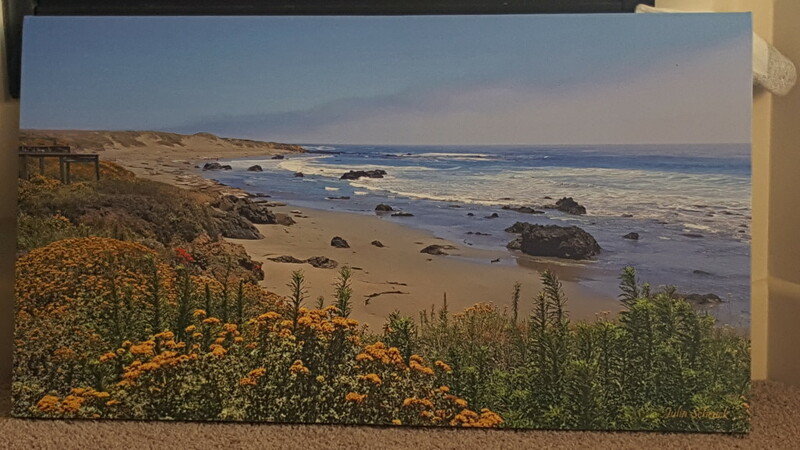 I wanted to enlarge photo on a canvas for display in my living room. CanvasChamp did a terrific job! I've only had it on display for two days and already received many compliments! Well-done!! I placed the order online approx 8-9 days prior to Christmas. When checking out, I selected standard-ground delivery and was told I would receive delivery two days before Christmas. But it was delivered on Jan 2nd. Since I purchased this for myself, it didn't bother me. But if I'd purchased it as a Christmas gift, I'd probably be ticked off. CanvasChamp did a good job informing me of the delay and updating me on the new delivery date. They also discounted an additional 10% off the price for the inconvenience, which I thought was considerate and thoughtful. What excellent workmanship! 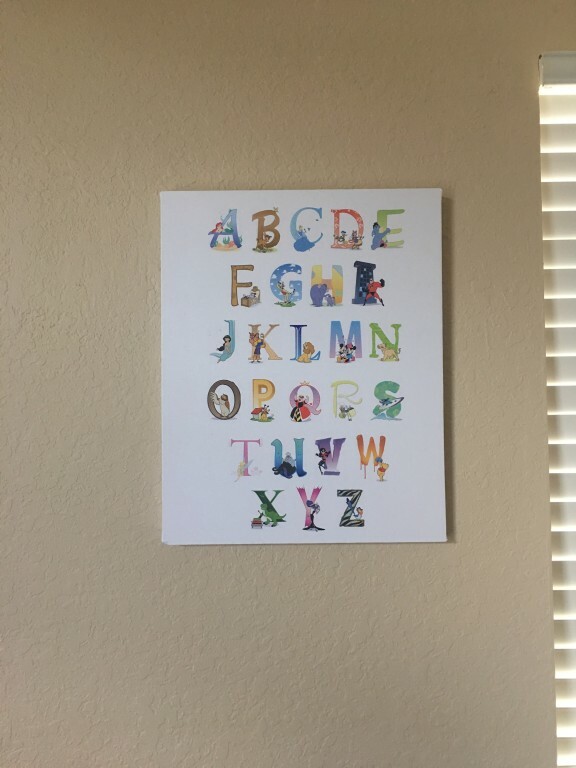 These prints are great! Very sturdy yet not too heavy, we have several now! Got here in record time. 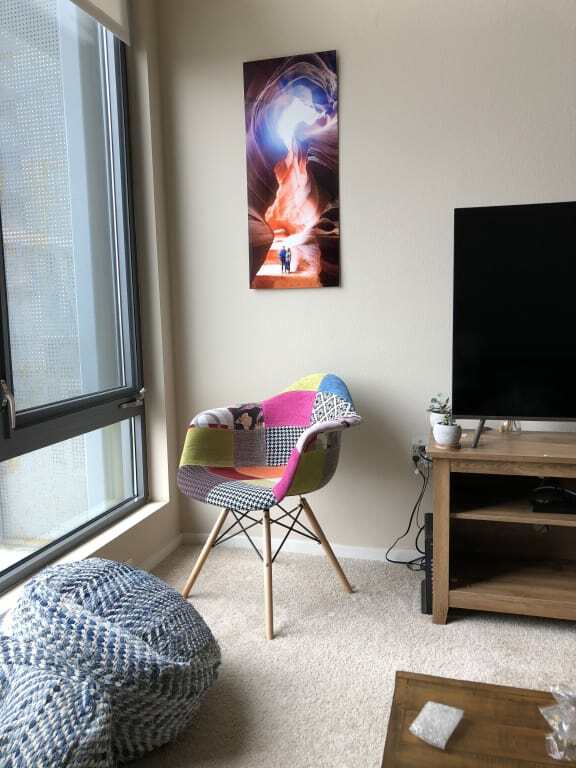 It took a long time to receive it, but the canvas prints I ordered were amazing and great quality at a great price, so it was worth the wait. Once my order was shipped, the delivery was on time. It's just that it took 3 weeks to make my order in the first place. 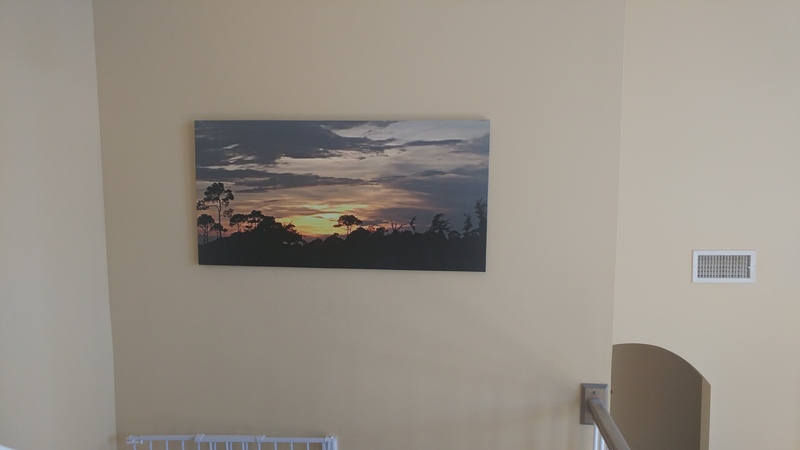 This canvas prints product was exactly as ordered and described at an amazing price for the size we chose! I'm very impressed and will order again for sure! Delivery took a little longer than hoped but it was also around d holidays so it's possible that held it up. 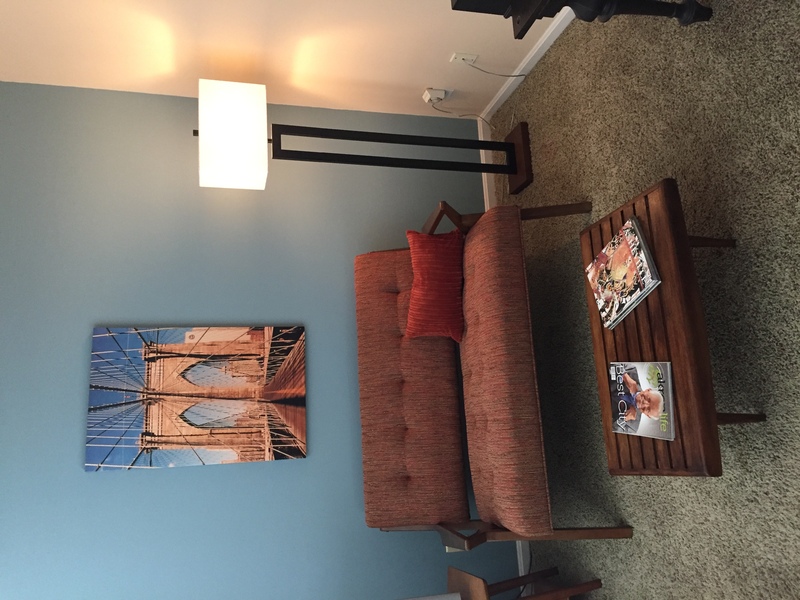 These canvas prints were a great addition to our master sitting area! 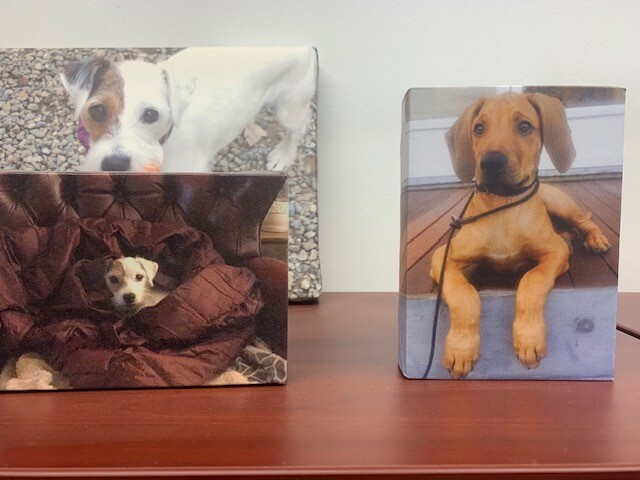 Our canvas print wall displays turned out beautifully. The images are clear and bright and the canvas with the lamination is lovely! Delivered promptly and on time! Packaged well for protection of canvases. Canvas at the head of my bed! OUTSTANDING and affordable!! 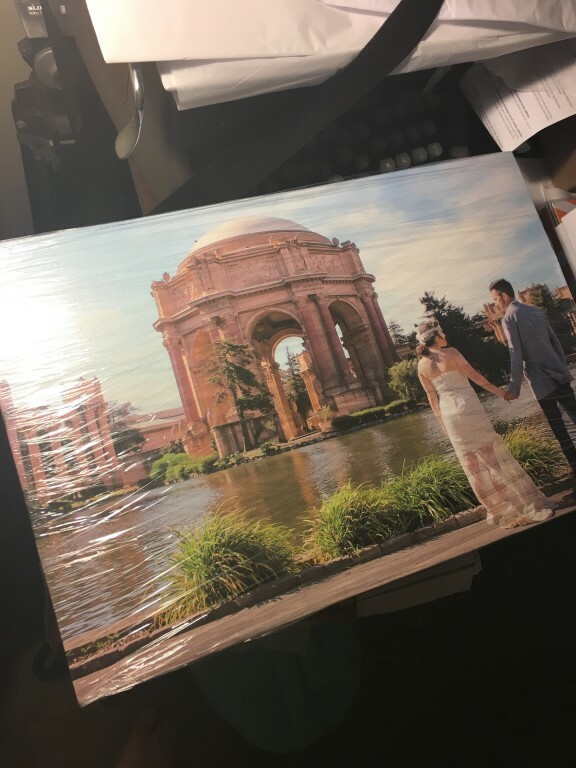 Delivery was prompt, Canvas in perfect condition and I did not need customer service! This is amazing and totally affordable!! Love my canvases! I have them displayed above my bed. The quality of these can't be beat. 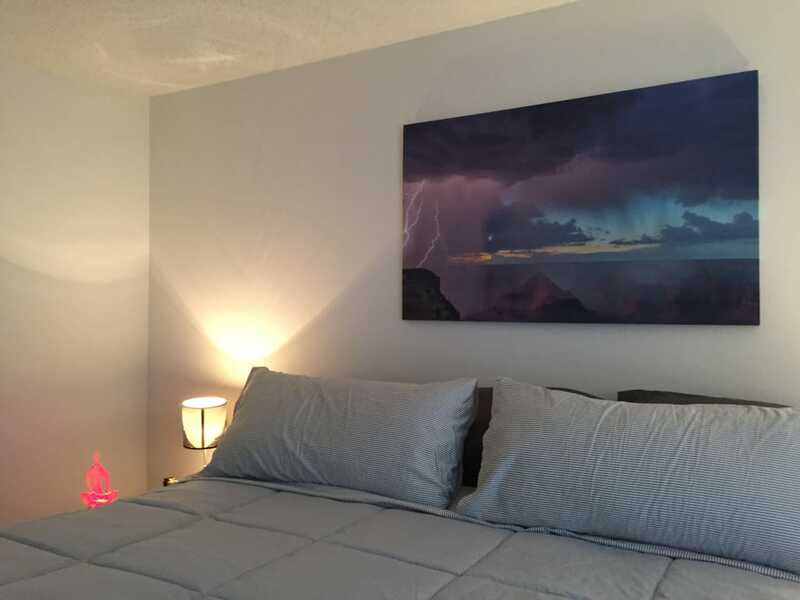 I ordered 3 24 by 36 extra large canvases for a gift. They came out fabulous and I was very pleased with the quality. Will definitely order again. Delivery was fairly quick and everything was in excellent condition. Excellent price for excellent quality. Very custom size was hard to find. They did a great job and it looks exceptional turned a great memory into a work of art. 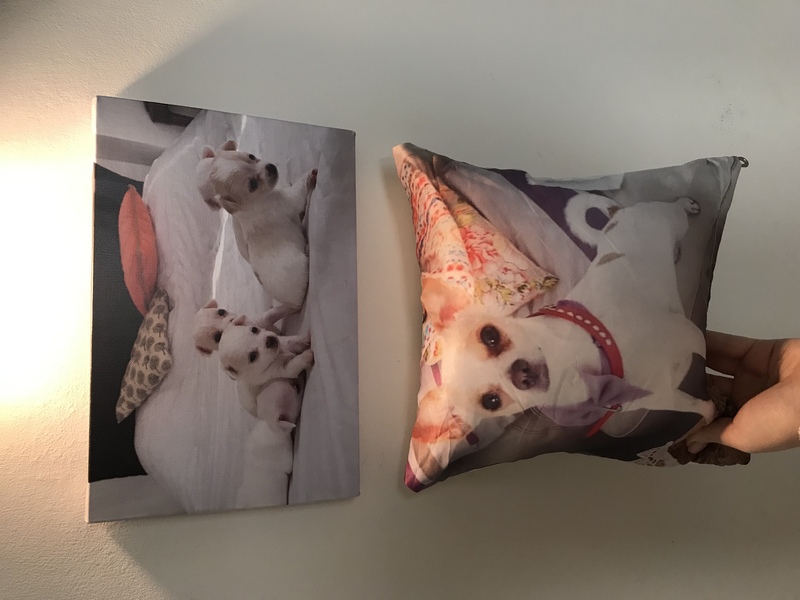 It was great quality canvas print product ! Took a while to receive it, but it was special for me. And the fact it came from India is really cool! I have several things in house that come from different countries and it's interesting. The packaging was professional and safe. I am very satisfied with purchase and will order again! Delivery took long time, there was no communication with anyone, at one point I thought they forgot about me and I emailed with a reminder that I haven't received my order yet. Couple days later I received a massage from DHL that my order just got shipped. 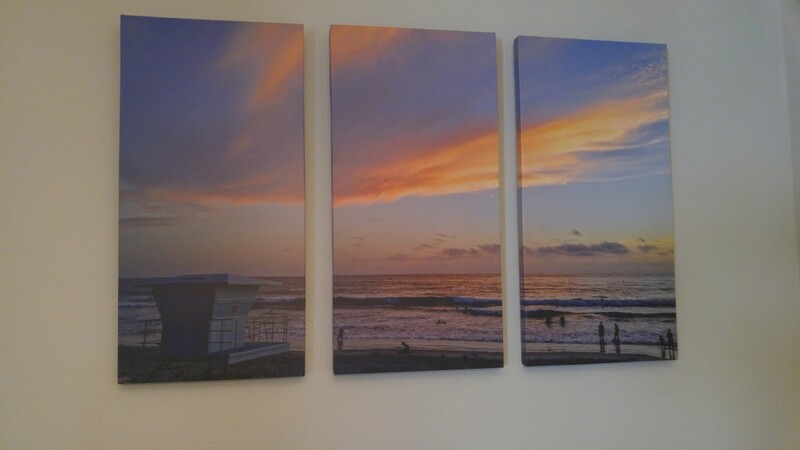 Ordered 3 multi split panel canvas print, got it and it's amazing how good the quality is on it. Delivery time was quick. Fast and efficient service. There was some editing that needed to be done. The company was very accommodating even though it took two or three edits until it was approved. I really like the quality of my pop art canvas print as well. Tracking and delivery were very good. I even had the option to have this delivered without a signature. The packaging was nice and thick and the piece itself was unharmed. 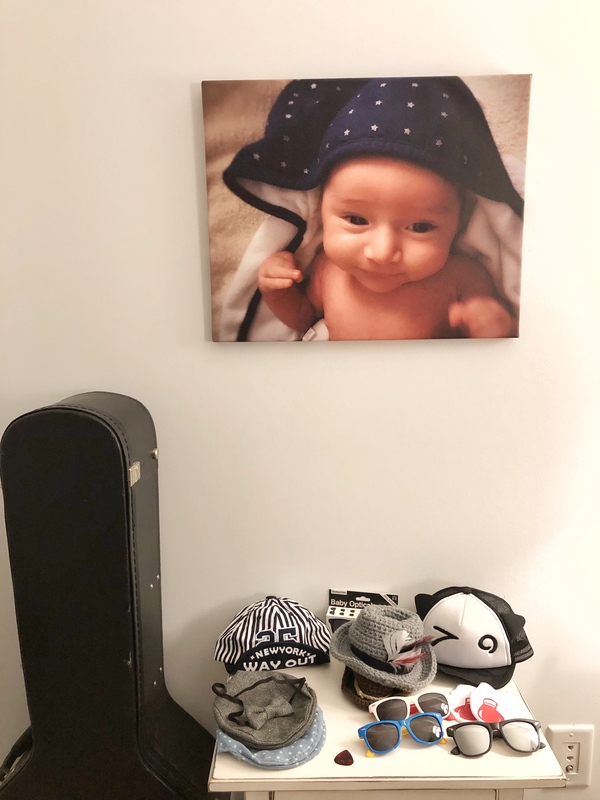 Received confirmation a week before the actual product arrived, but when they arrived they looked beautiful and are good quality canvas photo prints. 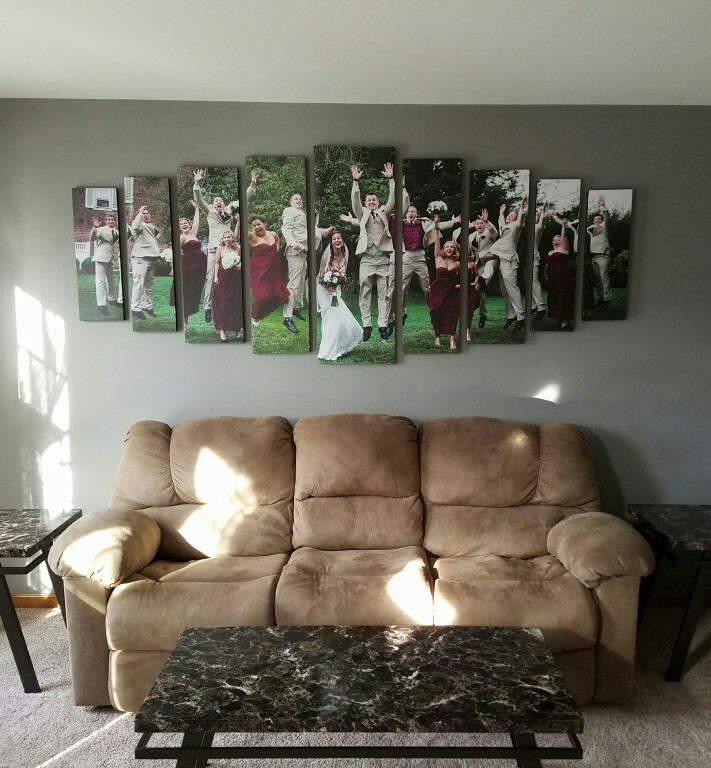 They look great in our living room and will be enjoyed for years. Shipping was prompt, but delivery from India not so much. Considering how far they travel, it was fast, but we were thrown off by the email telling us to expect hem in 2 days. They were packaged REALLY well. No damage! Transaction was easy, picture turned out great, and shipping was good. This product was amazing! This is my baby who I recently lost. 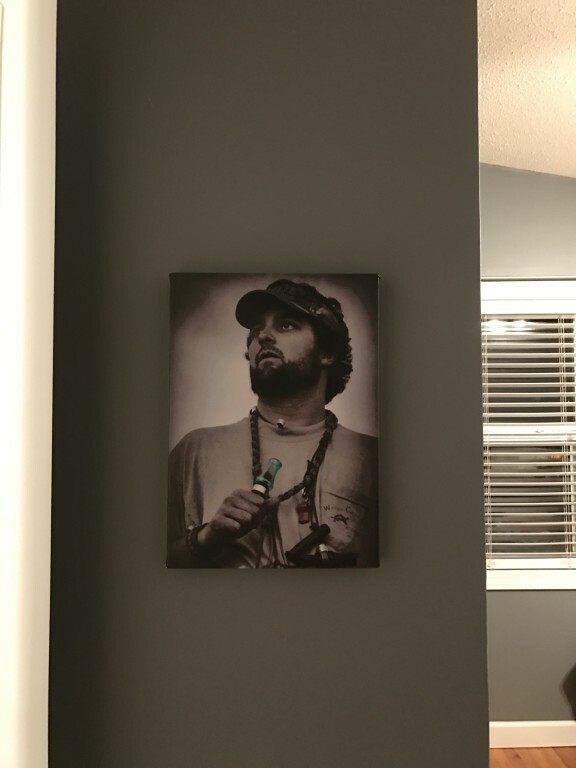 This is displayed in my living room where he can watch over us always. I am very happy with the results- Thank you! My daughter’s senior pic 2014. Great customer service, quality product made with love from India. 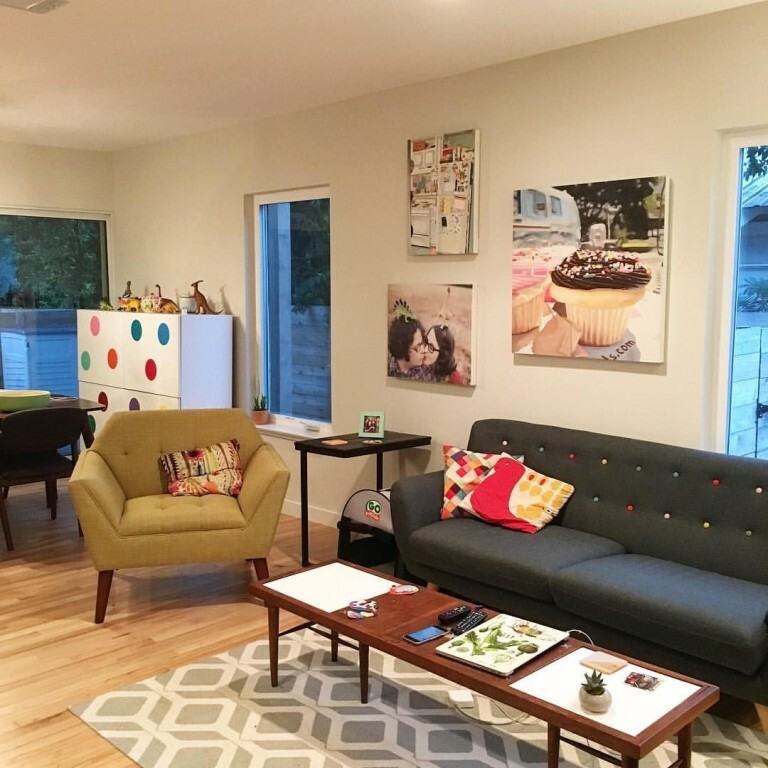 We did a total "redo" of our living room. 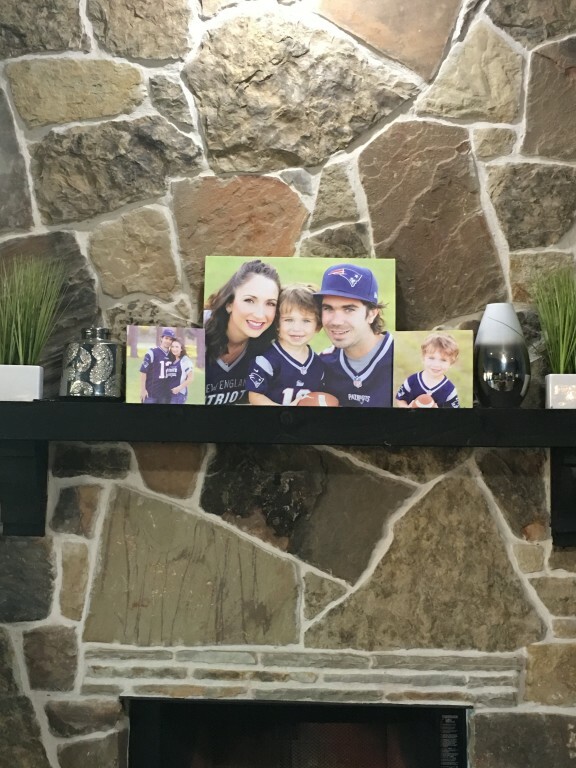 I didn't want to hang something over the mantle that was just a random "off the shelf" picture. My daughter has an eye for photography and took a picture of an old out building on our property. I wanted to have it done on canvas 30" x 40". I priced it everywhere locally and it was way more than I wanted to spend. I looked online and came across Canvas Champ and the price (with coupon) was less than half of what everyone wanted locally. I was skeptical, but it arrived ontime and exceeded my expectations. Love it and it looks great! Super high quality and great prompt shipping. I was given a scratch off travel map for my birthday from my son. 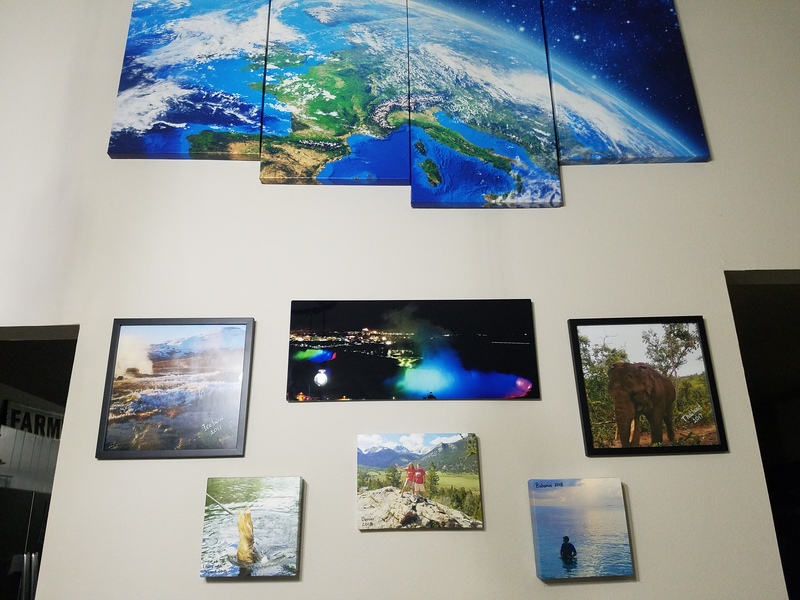 I decided to have pics I've taken around the world on our adventures printed on canvas to display around the map. 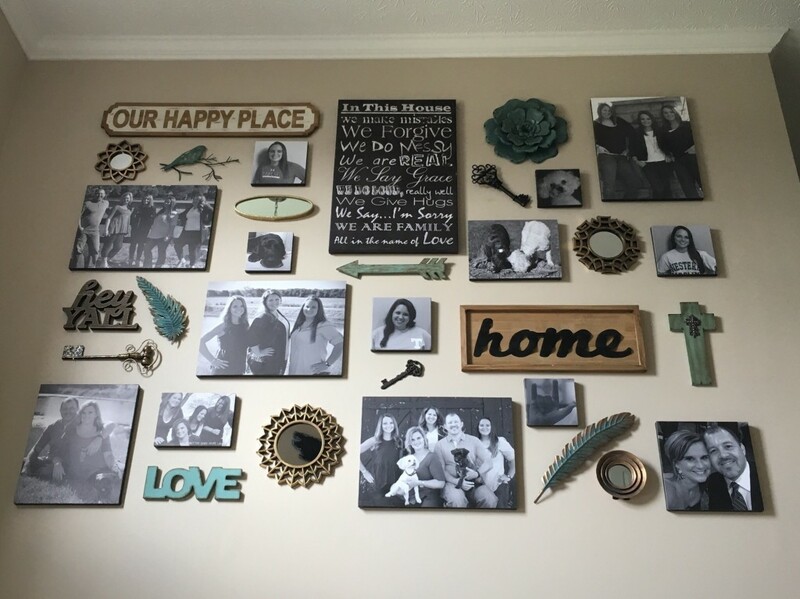 It turned out great with room to add lots more!! Canvas came out great! 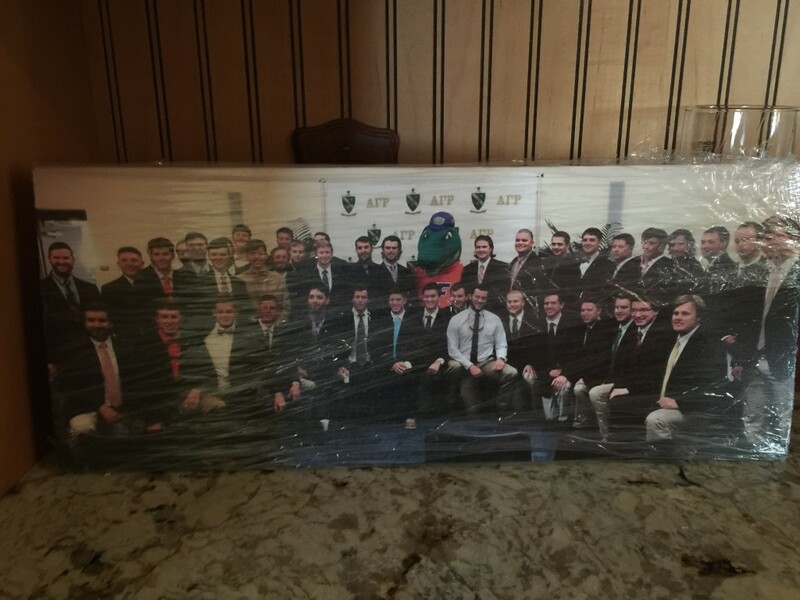 We ordered a big one 30x48 custom canvas print. Cost was awesome! Picture came out great too! Shipping was fast especially since it came from outside the US. It was heavy duty protected the way they packed it for shipping. 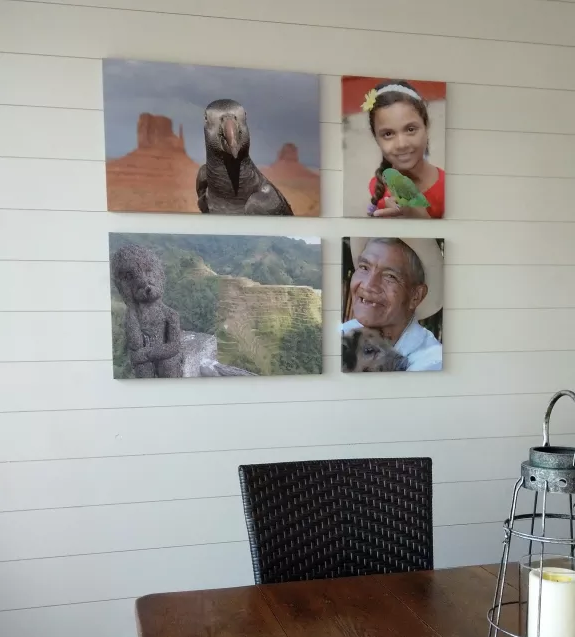 I used photographs from my travels to make canvas prints for my screened in back porch. 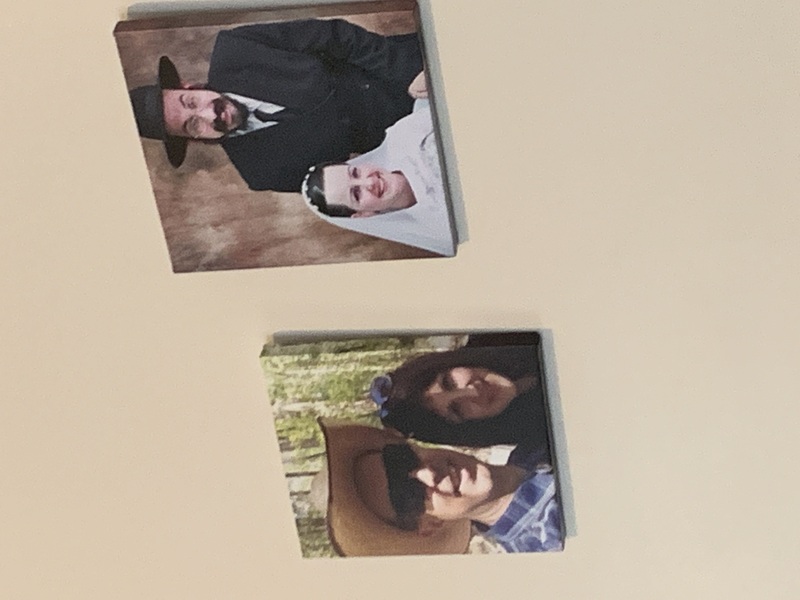 It gives the space a very personal touch and makes me smile every time I see them. My prints were delivered sooner than promised. They were delivered in perfect condition. It turned out beautiful! Our first time ordering from this company. We were very pleased. 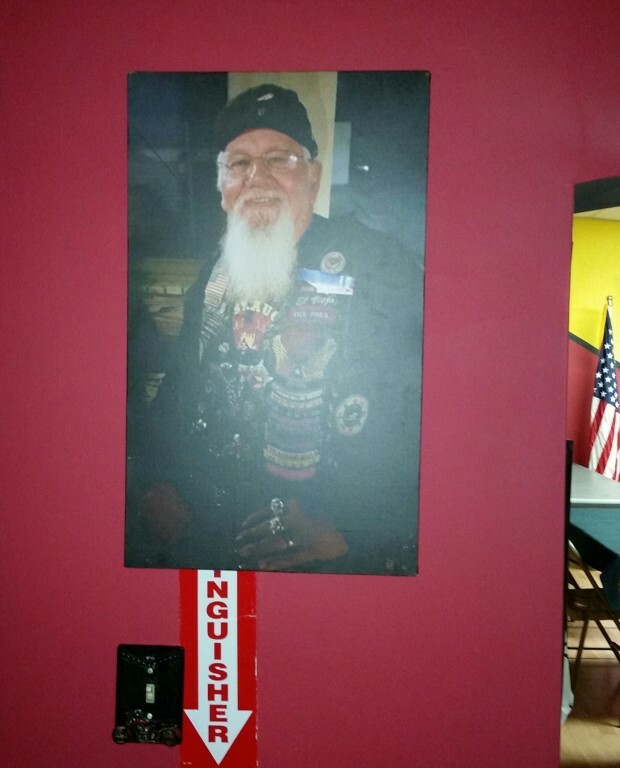 The quality is excellent the price was very good and the turnaround time was under a week. We will definitely order from this company again. It was packaged very well and arrived quickly and in perfect condition. In Love! 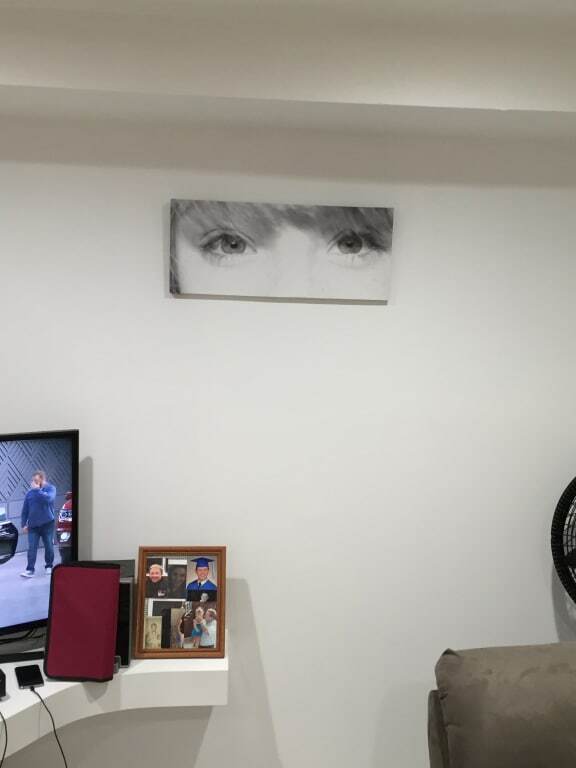 I have bought several canvas's from other places online and none compare so far! The quality of the canvas, sturdiness of the wood and the built in hanging in the back, just take it to a whole other level! Also love the options for making it unique to what you want. Such as choosing a backing, Getting color correction etc. My delivery arrived faster than expected! It was packaged well and not damaged in any way. They made my personal art photos amazing! The quality is exceptional! Our son was in training at NAS Pensacola and we stayed at Big Lagoon State Park. The sunsets were unbelievable. 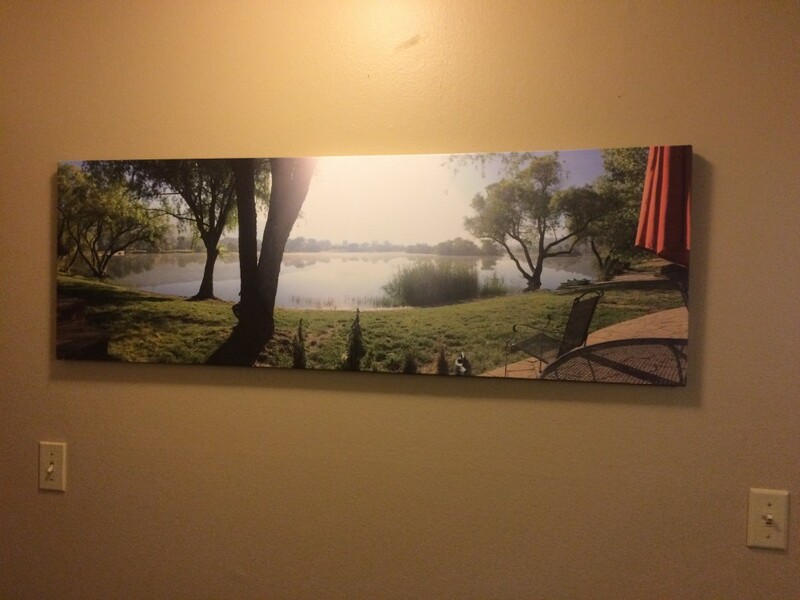 Having one of my own pictures on professional canvas is amazing and CanvasChamp did a wonderful job. 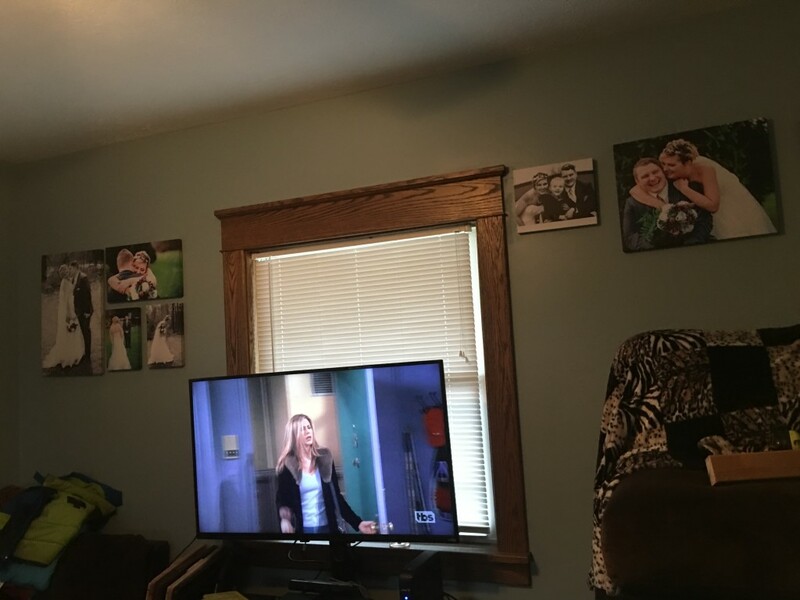 I LOVE my canvas prints. Great products at a great price!!! I love waking up to this memory every day! Canvas Champs did a great job! Fully satisfied with the quality. The print was excellent for the price. Loved the finish. 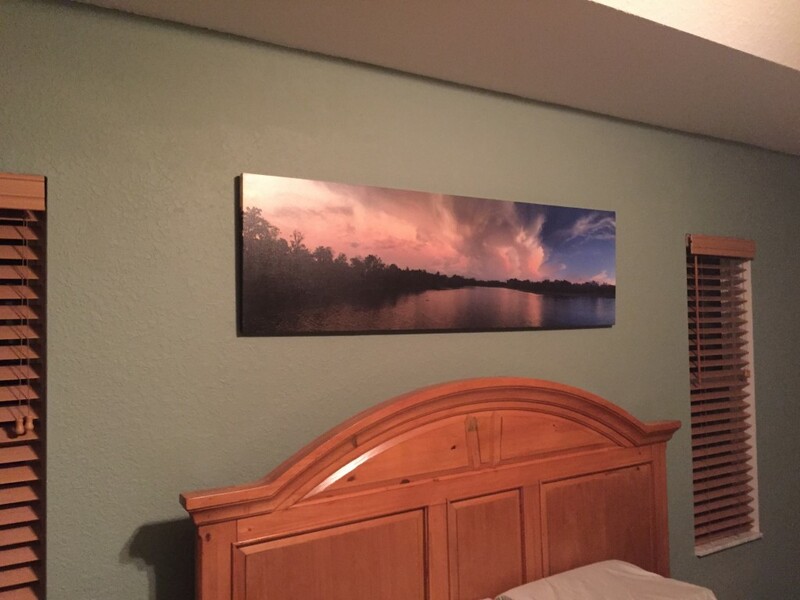 Very satisfied with the quality and cost!The canvas prints that came in were great quality. I was hesitant to trust the image quality checker provided through Canvas Champs, because I had image sizes ranging from 700 kb to 2 mb. The quality of all of the images was great (8"x8" size). The expected delivery date was 2 weeks, but I received the order within one (delivery to the U.S). Overall, very happy with the quality of the pieces. I was debating between ordering the 0.75" or 1.75", but the 0.75" was the perfect thickness for me.Prompt Deliver -- roughly 1 week shipping. 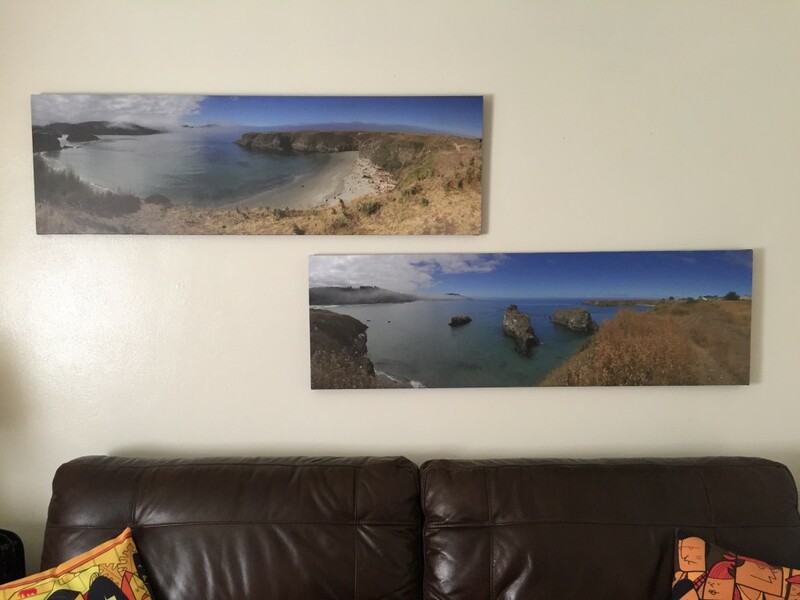 I had two 48" x 16" panoramic photos printed on canvas. The work they did was excellent! Excellent quality and very sturdy wood frame. I am impressed and will definitely use this company again. The package was wrapped in plastic over top the box which was great because we've had a lot of rain this summer and it was sitting on my porch. It seemed packed with care. Again impresses. Excellent site. My canvases are beautiful and arrived a week faster than I expected. I've ordered from many sites and this was the cheapest by far with equal quality to others. Purchased before, will again, then again. So in totally I've ordered 11 prints over two different shipments. Large, small. My photography, my digital paintings, my vector illustrations. There's a reason I come back and recommend them to others (and it's not just the price... but the price is solid.) print quality and color accuracy is on point. I used to work at a photo lab and we did similar output for considerably more. The canvas stretching is also perfect, no sags or seams trimmed to tight to staples (I also have worked at a few frame shops.) 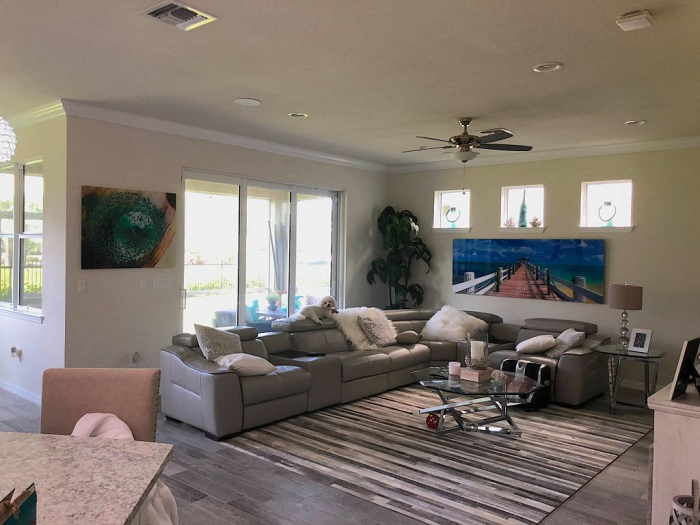 In short, they do an amazing job at a cost far lower than if I even wanted to do parts of the job myself, the online tools are easy and their feedback on resolution for quality are accurate. I'll probably be a customer for life at this point seeing as my first order was perfect and I got equal quality from the larger second order months later. No lapse in quality. Delivery is perfectly wrapped up for shipping safely but be ready to spend some time carefully cutting it apart. Exactly what I would want, safely nestled smaller prints in larger prints for integrity. The time to take them apart is the price you pay for a well packed box. Simply Phenomenal. 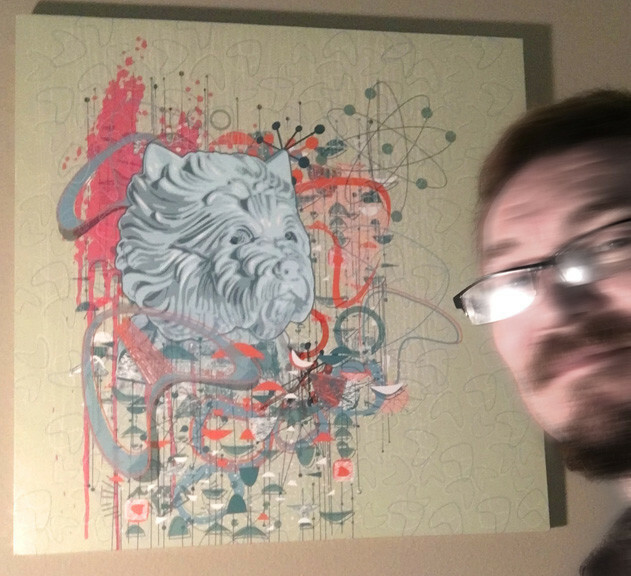 Couldn't thank Canvas Champ enough for their curteos emails and triple checking on alignment for my canvas. Wonderful prices and extremely fast shipping! I've told all of my friends, will definitely be ordering again! Krista. Product was in faboulous condition and I like the signiture needed to verify! Will never be left outside. Great company, great product! 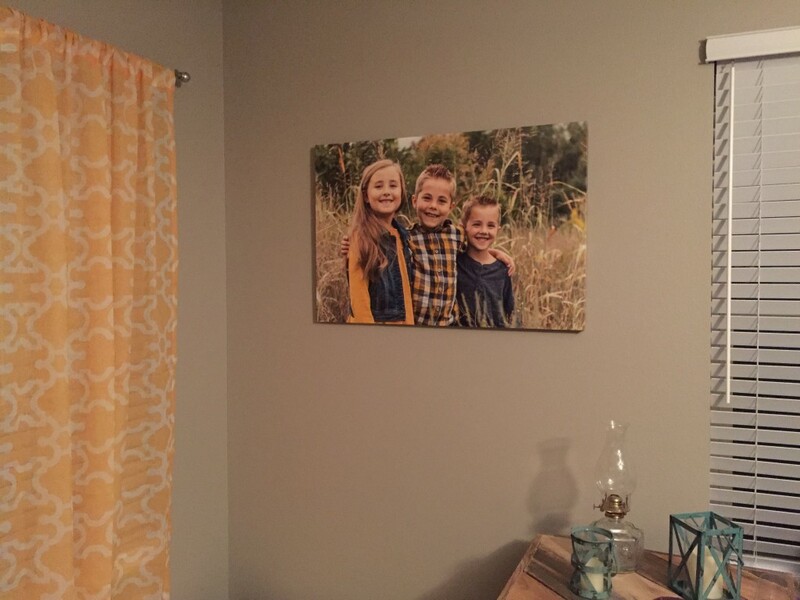 I'm so happy with how well my photo turned out on the canvas! I will definitely order from here for now on! Great quality and great price! Awesomeness! The canvases are BEAUTIFUL!! Will definitely do business with them in the future! Customer service is great as well! Fast delivery! Once pictures were approved,it took 4-5 days to arrive! 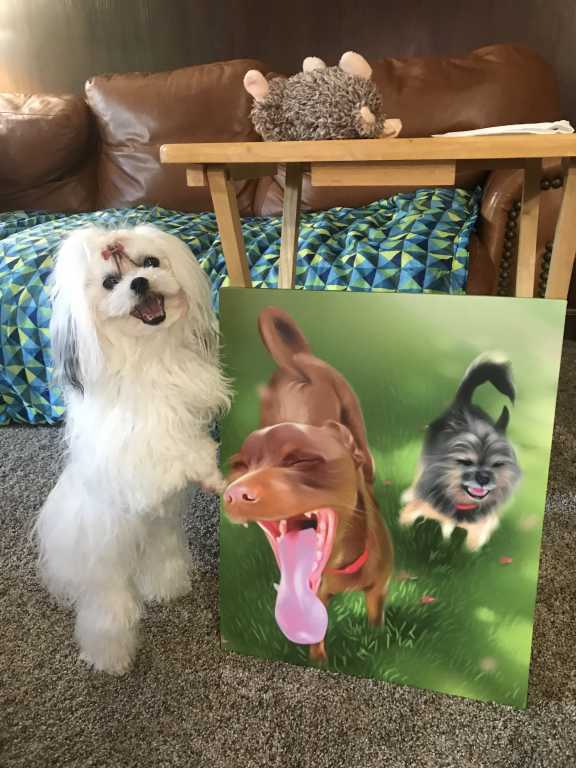 Extremely please with my canvas print. My order arrived in less than a week and the quality is outstanding. 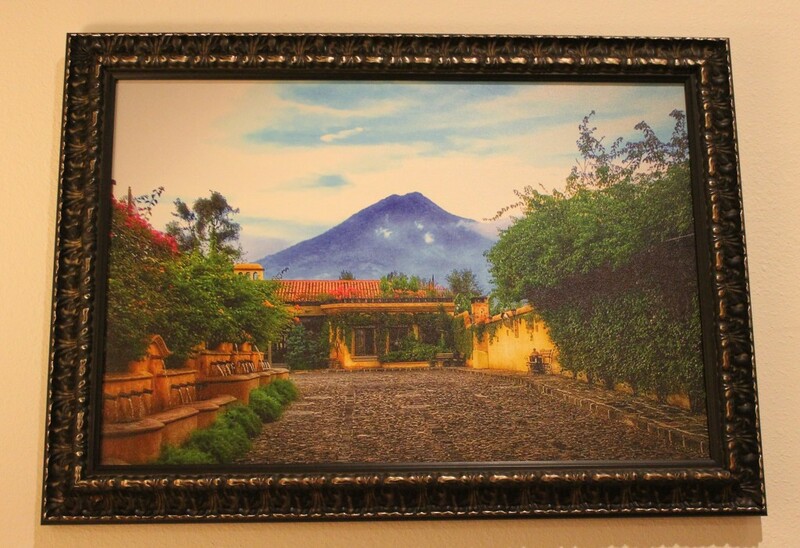 I absolutely love my beautiful canvas print of a favorite vacation memory - I will treasure it always! Shocked! Excellent product! I am amazed how well it looks. Plus, it arrived well before the expected date. A few years ago I spent literally 20 times the cost of this one to get a print of this quality. A+++++ It came a long way in a very short time. 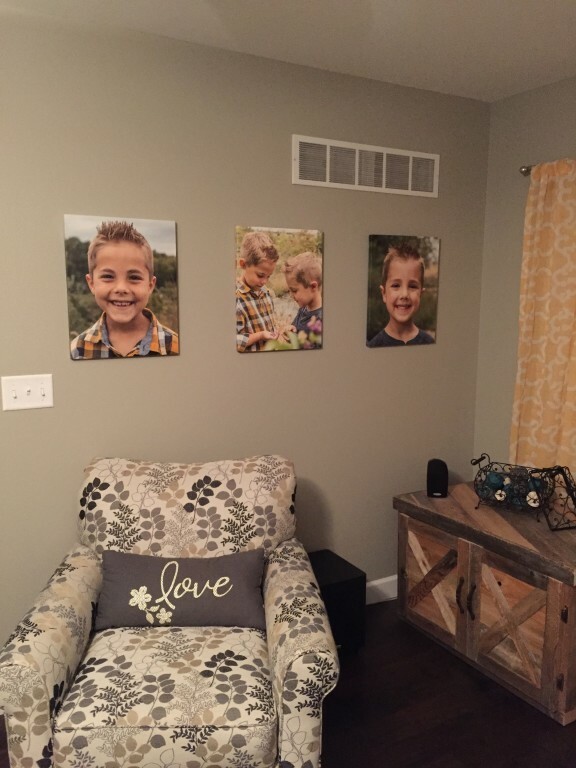 My new "go to" canvas print lab! 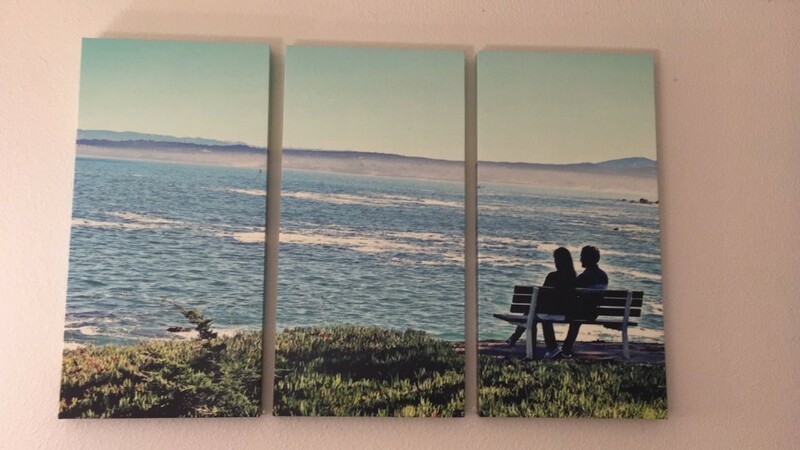 Top notch printing service for canvas print. Great turn around time, good quality and fair prices. I have used numerous printing companies and CC is number one. 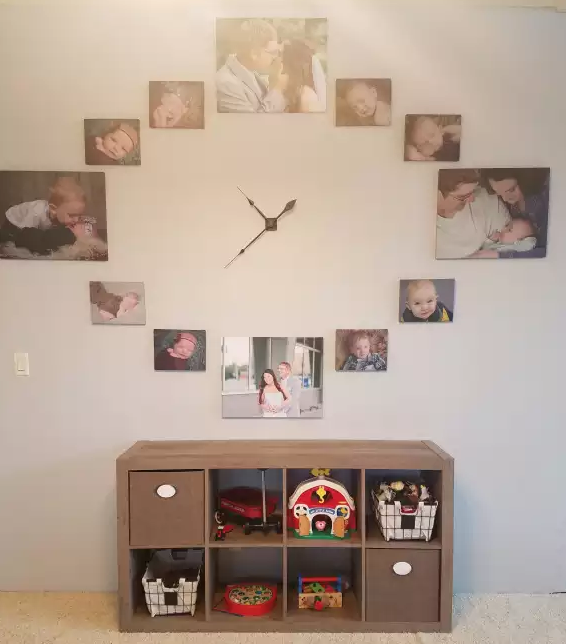 Received photo prints ahead of scheduled delivery with great communication and customer service. Love them ! I wasn't really expecting a lot from them since they were cheap and read online about how you get what you paid for. BUT I love them great quality for the price .. I will be coming back for sure. Came in so fast with no damage at all .Delivery was great. I love purchasing from Canvas Champs!! There great to work with and wonderfully priced!! I will definitely buy more canvas prints from them real soon !! Amazing quality and framing. Glad I found your guys. Will be ordering more without hesitation. Excellent product. Excellent service. What can I say. 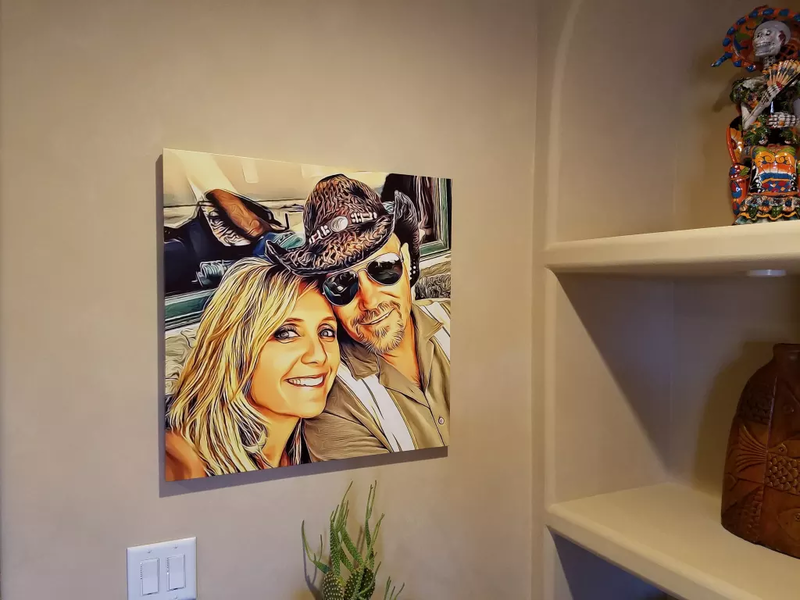 They are cheap and their canvas prints look great. I also liked their mirrored image border. Delivery was quick and without incident. 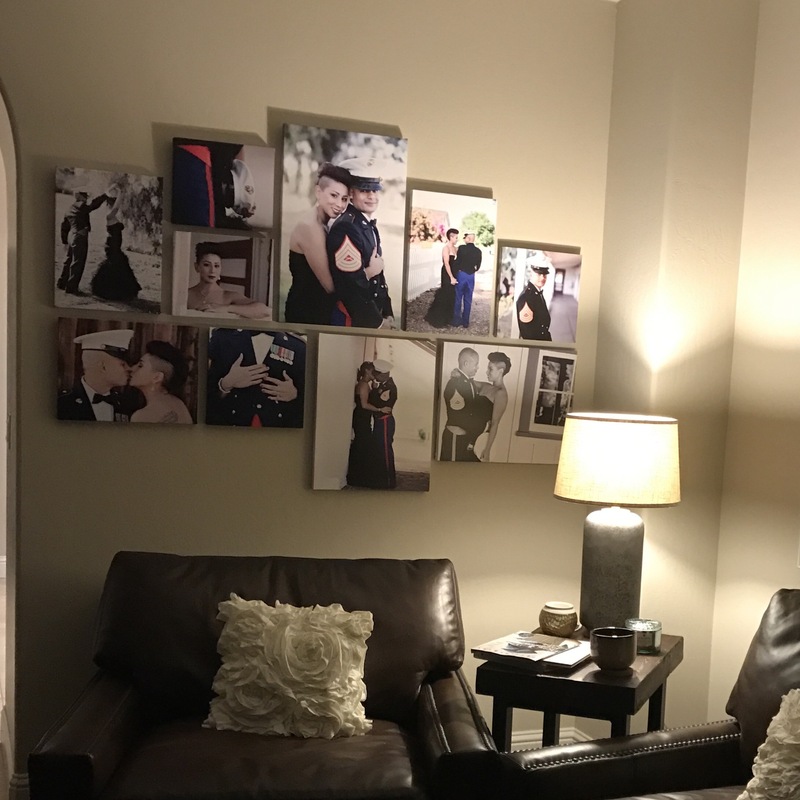 I am in progress of making a wedding canvas collage for our bedroom. Very Happy. 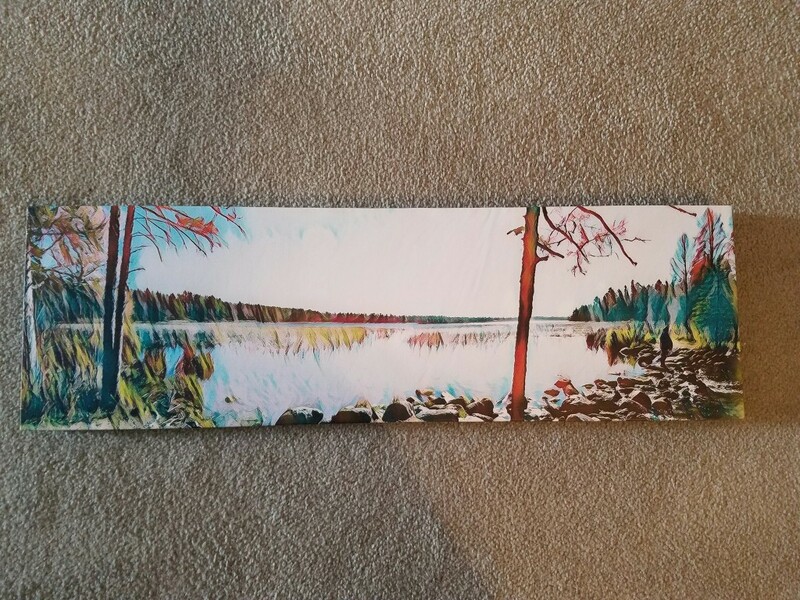 I took a panoramic picture on canvas of a lake "scene" while we were vacationing at a lakehouse. I loved the picture, so I researched how to get it enlarged so that I could put it up on my wall. That's when I found this business online. 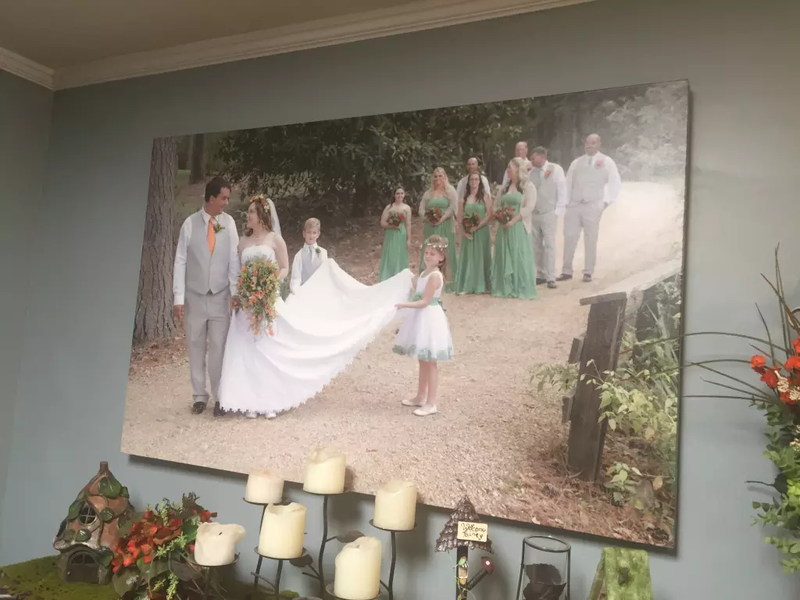 I input my custom measurements that I wanted the picture to be (I believe it was 18" H x 54" W), then I uploaded the pic into their system and went ahead and ordered it. Firstly, I was very impressed with the packaging; it was wrapped in tough cardboard and the picture itself was wrapped in plastic to ensure that it would be safe during transport. Then when I "unveiled" the picture itself I was SOOOOO HAPPY! 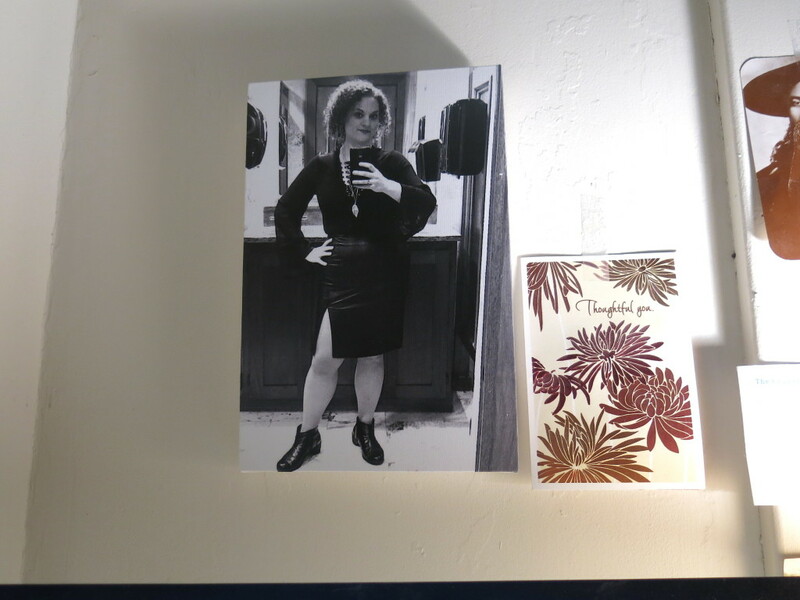 It looks great, just as I had hoped, and I hung it on my wall (see attached picture of my, um, picture!). 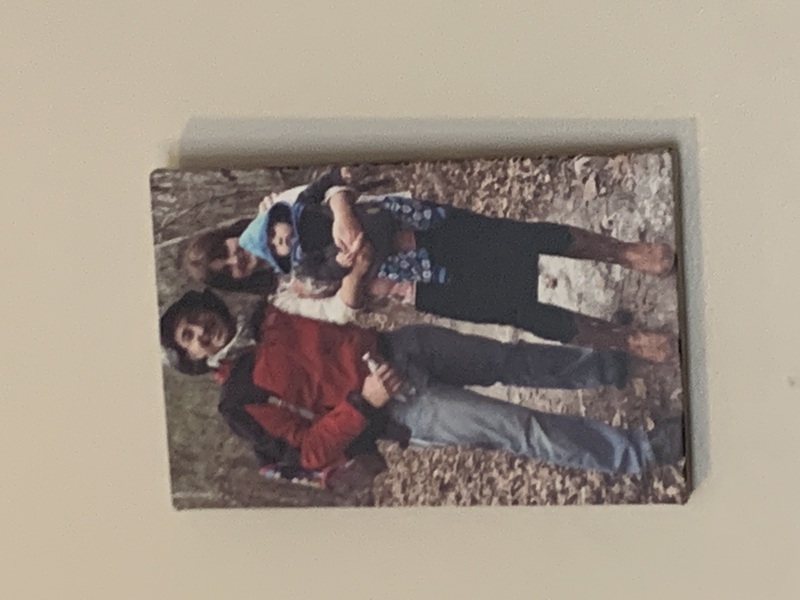 I'm very glad I decided to do this because I'd much rather have a picture that I took myself hanging on my wall than from some random artist/photographer. It also probably costs less! It just means more that it's MY photograph, and I get to re-live that awesome vacation every time I look at it. My order was under $80, and well worth it. I will be ordering a few more prints as soon as I take a few more great pics. Quick, safe, flawless. Great quality. 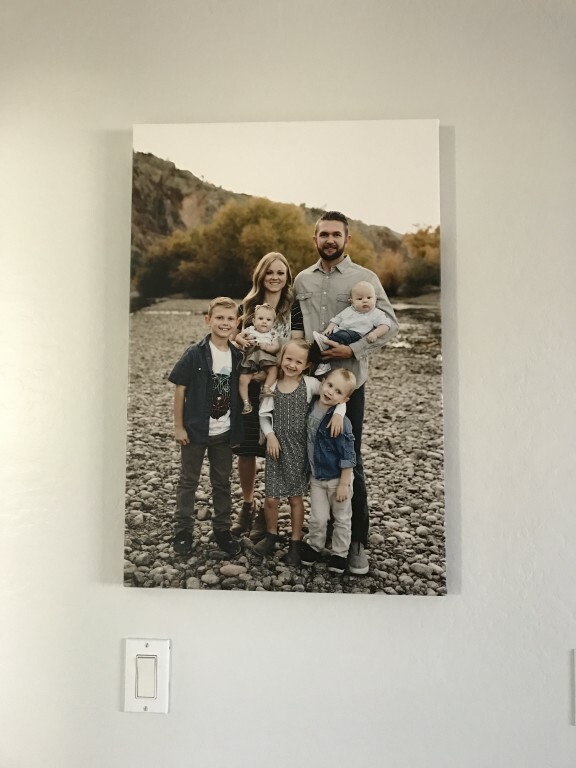 We ordered an 18x58 canvas from Canvas Champ and we are so happy with the quality. 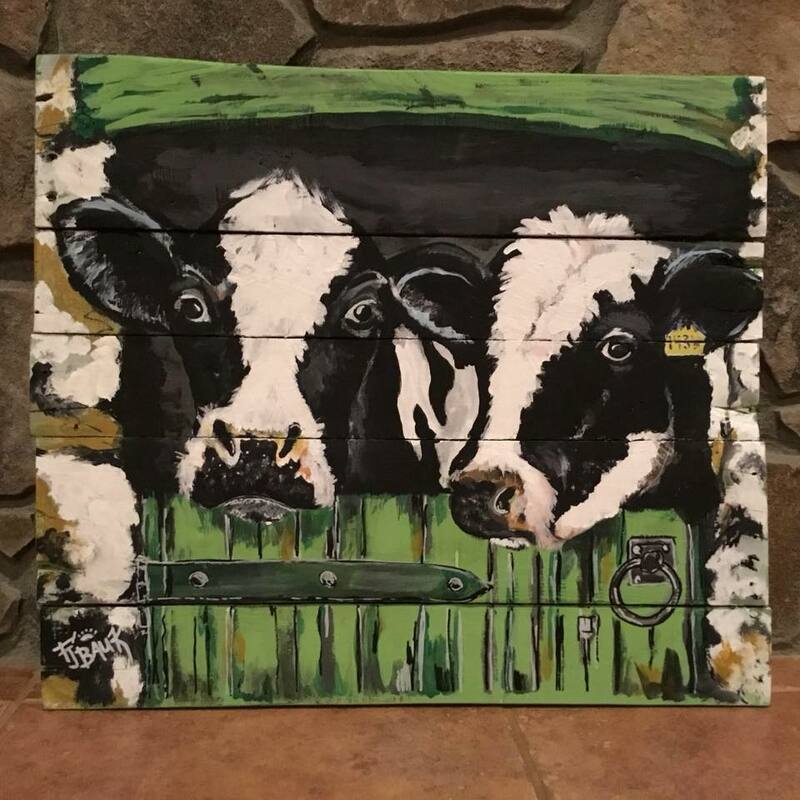 I have never seen a canvas that was mounted on wood for steardiness! The canvas was wrapped very well and did not have any damage upon delivery!! Super impressed. So happy with how it turned out. Of course I was expecting it to look good, but it looks far better then I was expecting. I will definitely buy from CanvasChamp again. He was on time, and the package was in good condition. Absolutely love love love my Canvas! Love love love my canvas. Beautiful work! I will definitely purchase from you again! 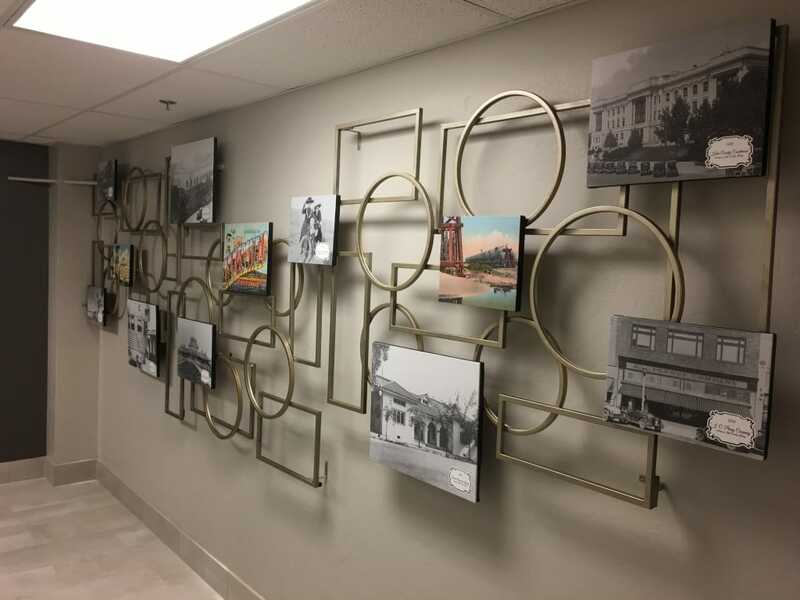 Beautiful wall art! I'm very happy to remember our trip to Scotland every time I look at it. Very good quality! Very happy with my first order from here. 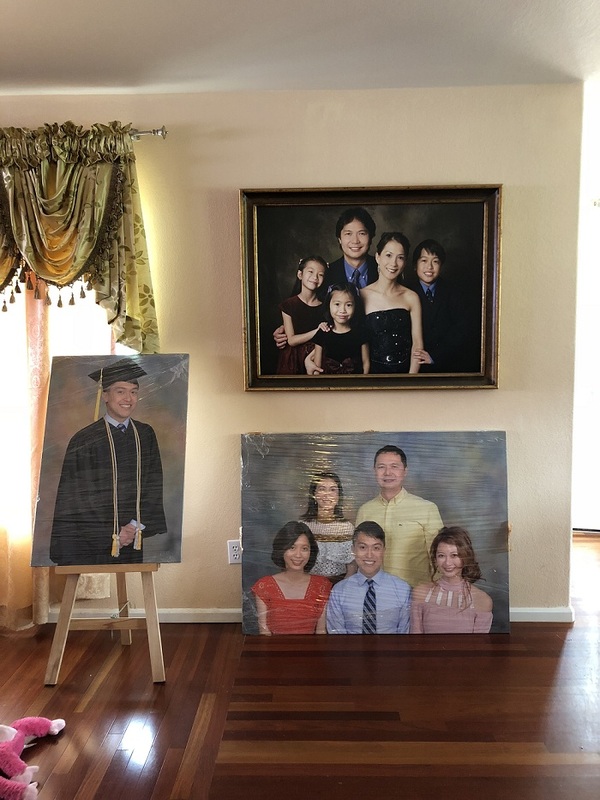 My canvases were delivered right on time and in perfect condition. Will definitely be ordering more soon! Delivery was prompt and great communication. I love it! This product exceeded my expectations! It arrived quickly and was absolutely beautiful. It arrived on time and in great condition. Canvas looks amazing, had framed and frame is bowed. 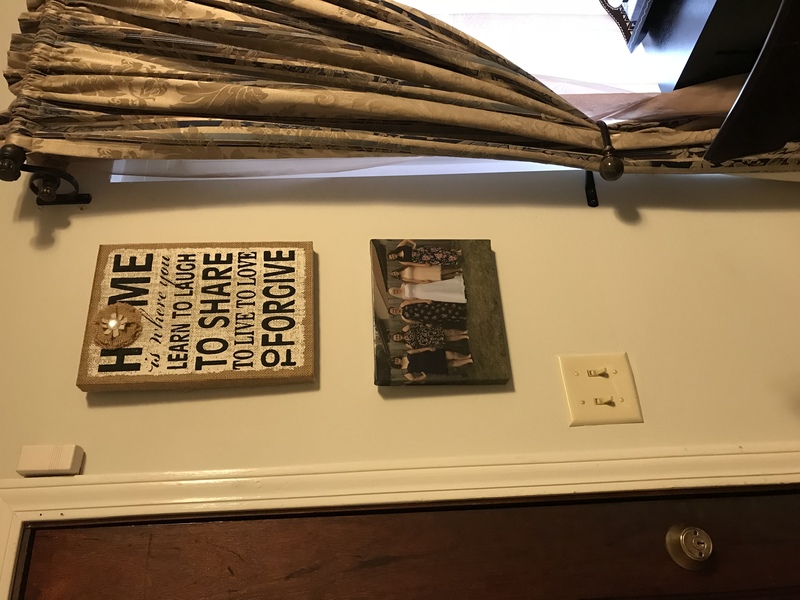 Frame is bowed, but canvas came out good. Highly recommend. Yes. Everything worked great. I purchased this last minute for my wife's birthday. It was a fantastic surprise and she loved it! I highly recommend canvas champs! May have gotten dinged in shipping but we blame the shipping not canvas champs. Very high quality product. We needed to print the logo for a new location of our business quickly. The price was great, the quality was high and the turnaround was fast. Great quality. Easy to create. 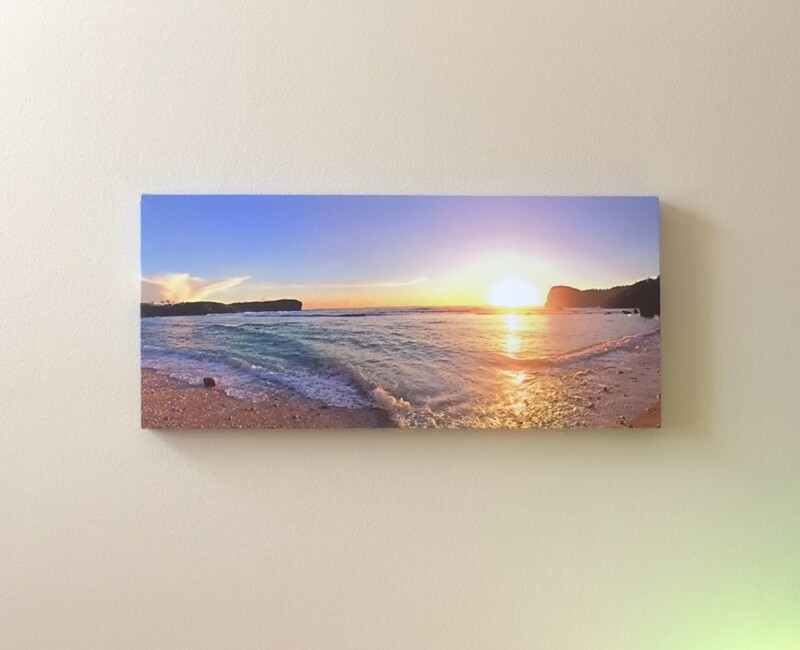 I ordered a canvas print with a panoramic photo I took using my phone. 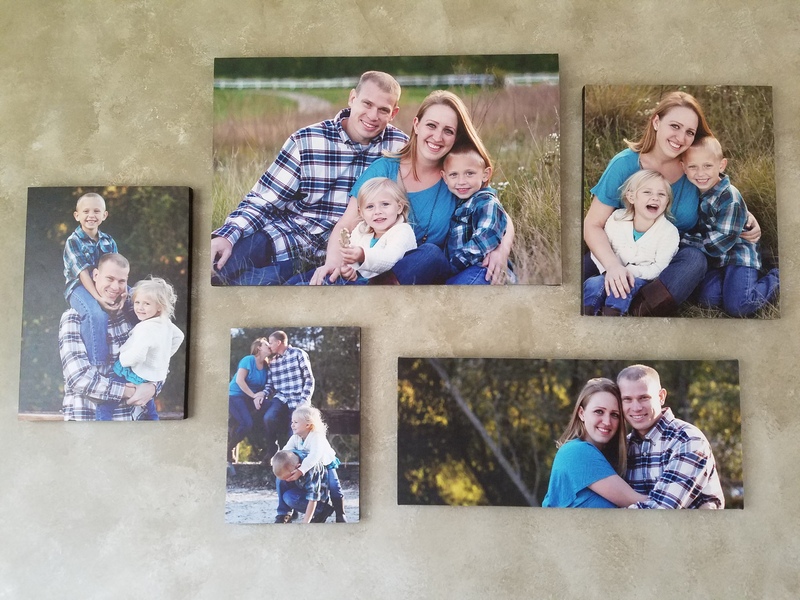 I was very impressed with the quality of the print and how easy it was to create the perfect size canvas. I picked a faster shipping option and it arrived 3 days sooner then estimated. Great Quality! Quick shipping! I bought 4 canvas prints and the quality is fabulous. I was able to get free shipping and the turn around was 2 weeks but I got it in 9 days. I will use them again. Price was also great. Early delivery! Free Shipping!! Yeaaaaa, highly recommend. 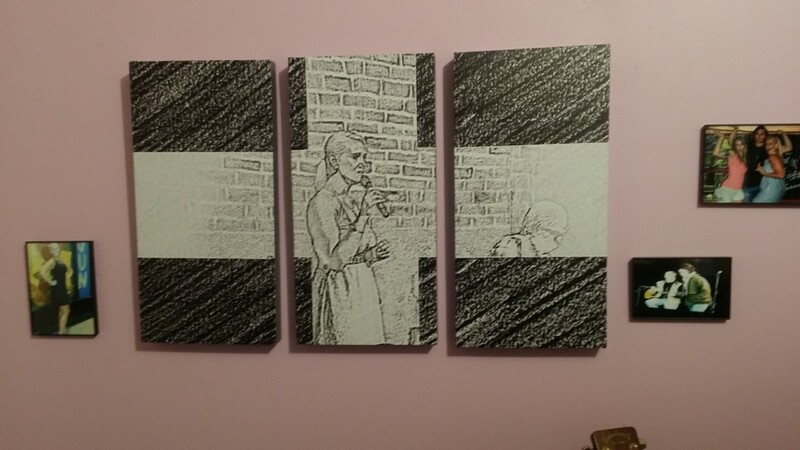 Hung it up in living room. I love how it came out! Other sites didn't allow me to use it because it wasn't clear enough but you guys had no issue with it and it came out wayyy better than expected. Thank you and I will continue doing business!! 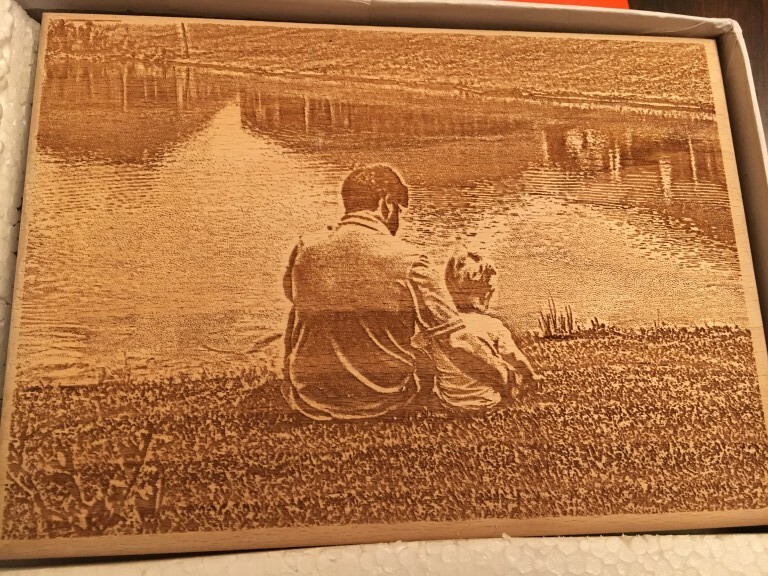 I would absolutely buy an engraved photo on wood again!! Great job!!!! Extremely pleased with product!! Extremely happy with customer service and finished product. My dog, Belle, died two years ago. Belle was the most sweetest girl in the world. She loved swimming, fetching a ball, and being with children. I took Belle to the beach near my apartment nearly every day, where she would swim after her ball and chew sticks on the beach. 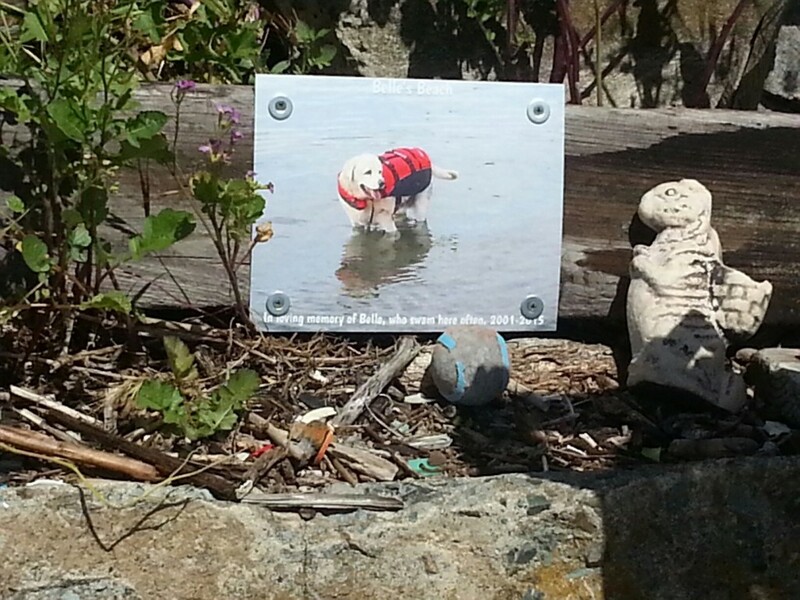 When Belle died I commissioned a wood worker to engrave a piece of driftwood memorializing Belle and her love of swimming at the beach. The outdoor elements were unkind to the memorial, and it became completely faded. I got the idea that maybe a metal print would last longer. 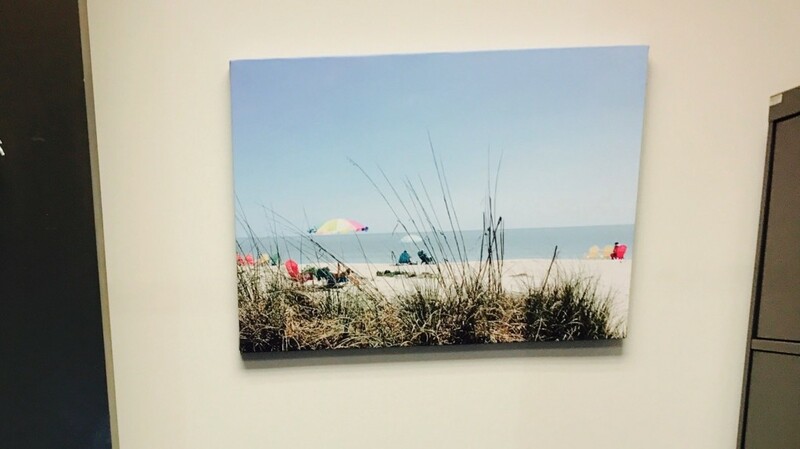 I have installed the new metal print at Belle's Beach, and I am hopeful that it will last for many years. I am extremely happy with my metal print and I am 100% satisfied. Initially, the first print of Belle was too dark and unclear. 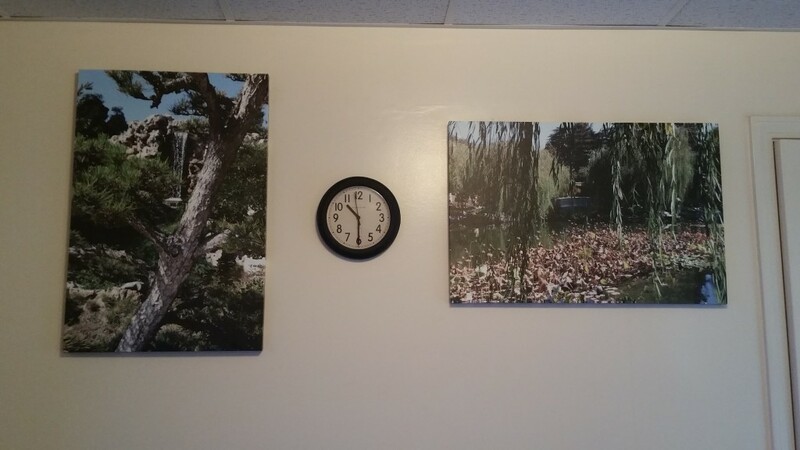 When I contacted Customer Service, they were more than happy to reprint a picture for me. They worked closely with me to find the best photo that would produce the best product. I received messages from DHL about when I would receive the product. The beautiful product arrived on a timely basis. Every step of the way, I have been pleased with the customer service of CanvasChamp. I will be using Canvas Champ from now on! 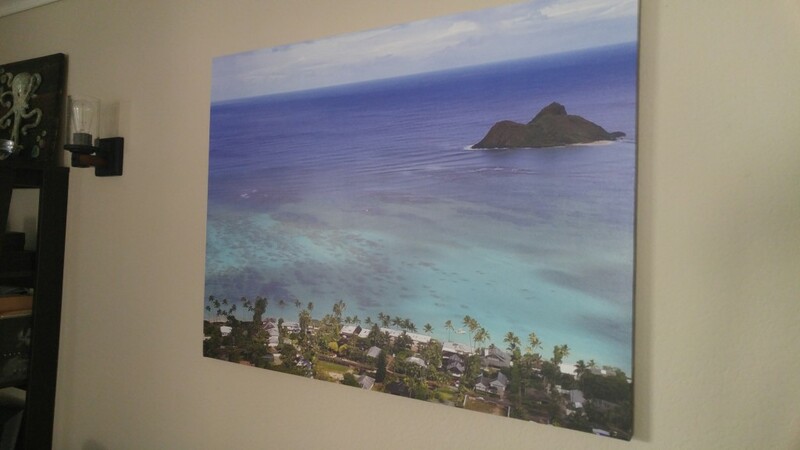 The canvas' I purchased were all such good quality (picture quality and product quality), and the shipping was quick. Delivery was prompt and item was in perfect condition. 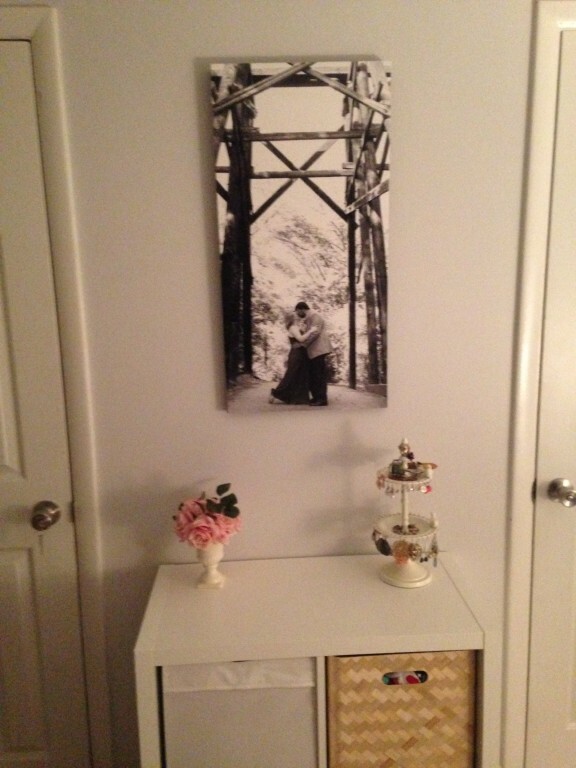 I love my pictures I ordered! They turned out beautiful! This is a high quality product for an excellent price! 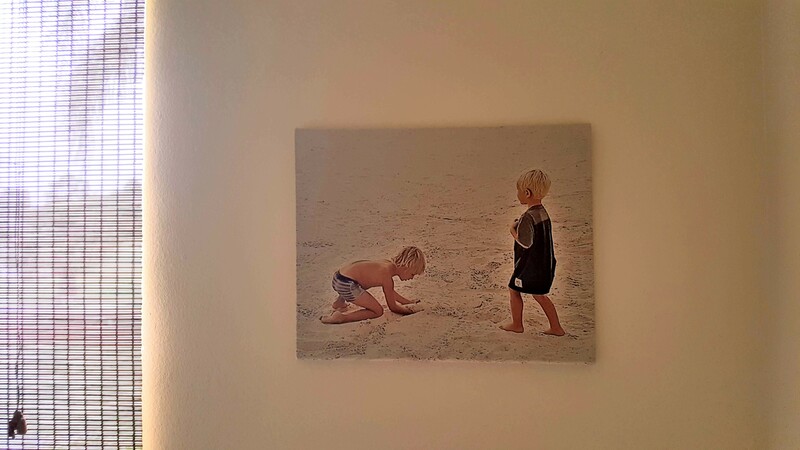 I LOVE my canvas prints and the memories they capture in such a beautiful way. Thank you! The prints arrived much earlier than anticipated and they were very well protected in the wrapping. Nice work! Fantastic! 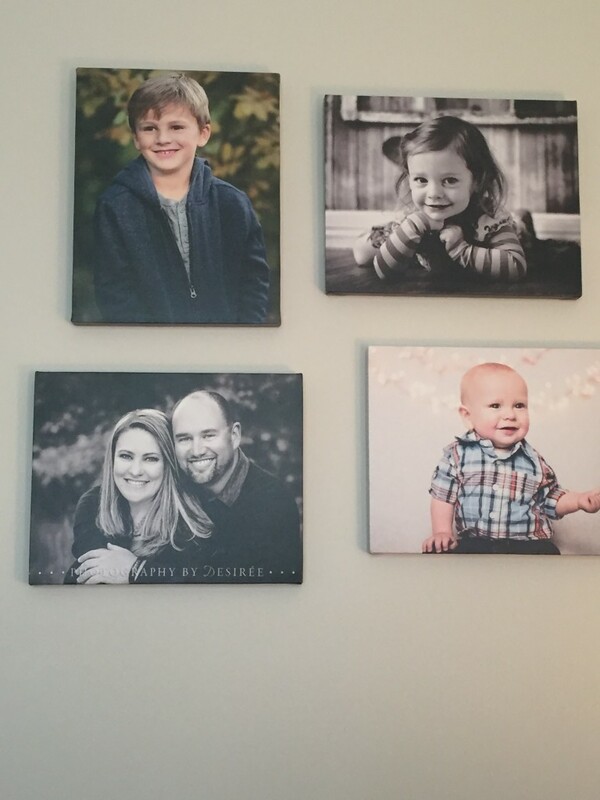 The canvas wall grouping that I purchased was amazing! 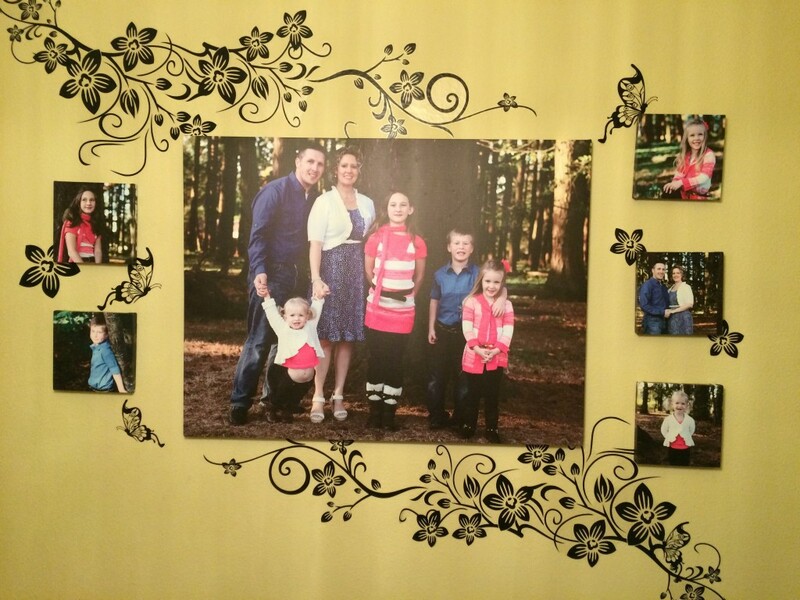 High-quality canvas prints that have captured family memories so well :-) Fast and prompt service with quick delivery! Greater than my expectation.. 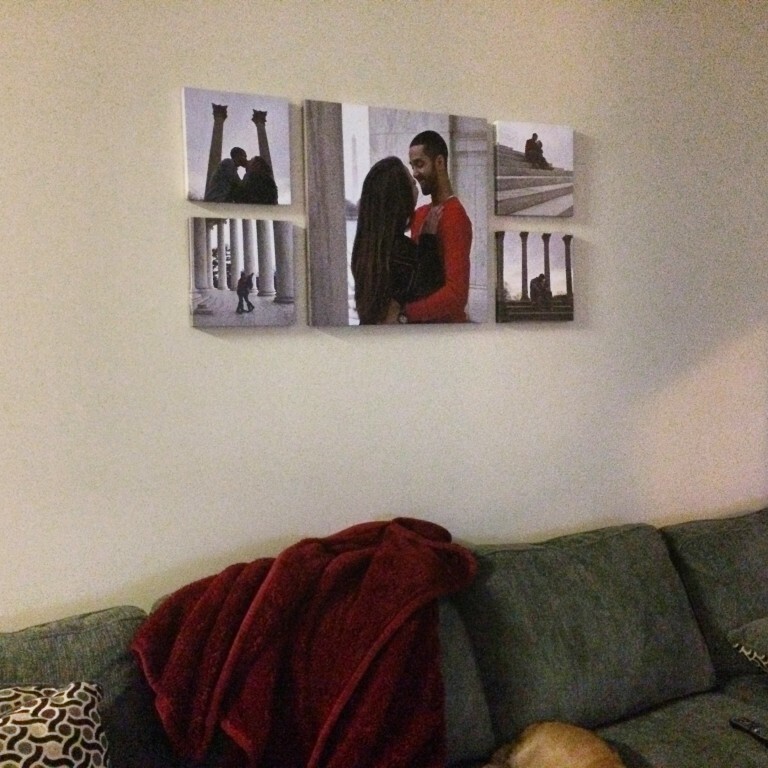 I ordered the 7-piece wall canvass prints, i git them in a timely manner, before our house warming. 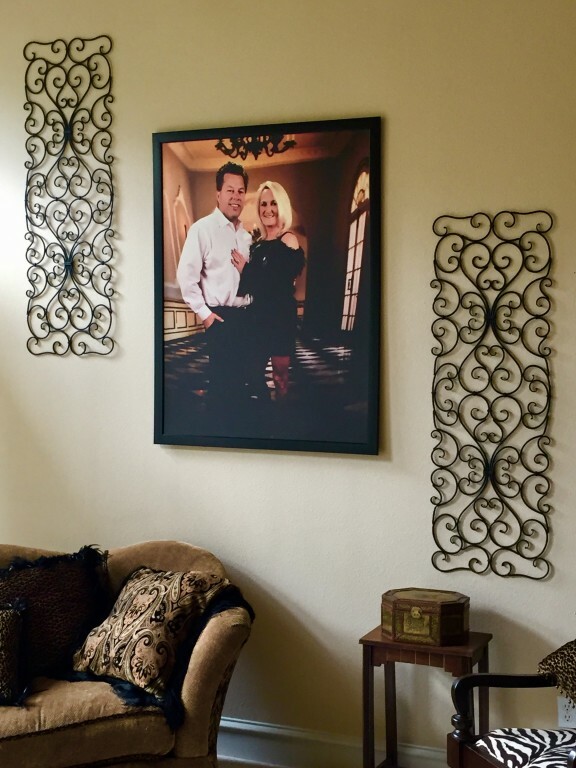 perfect in our family room. Im impressed, i made more (2) orders and still waiting for them. I cant wait to see them. Individually wrapped, no hassle. 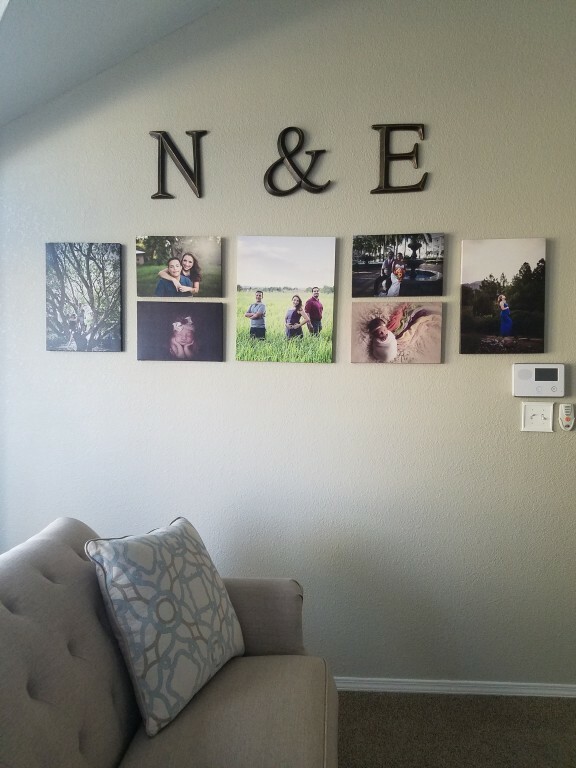 Love love love these canvas prints! HIGHLY RECOMMENDED! Super fast shipping and extremely good quality! EXCELLENT purchase!! Wonderful quality, brilliant colors, very strong construction. I will continue to order from them. 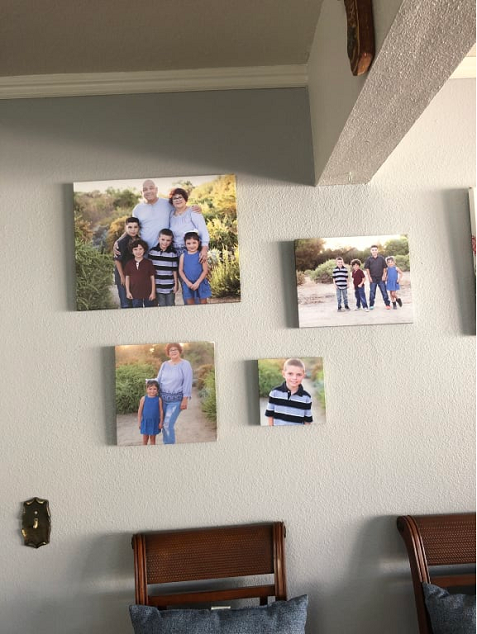 I ordered them to decorate a large wall. 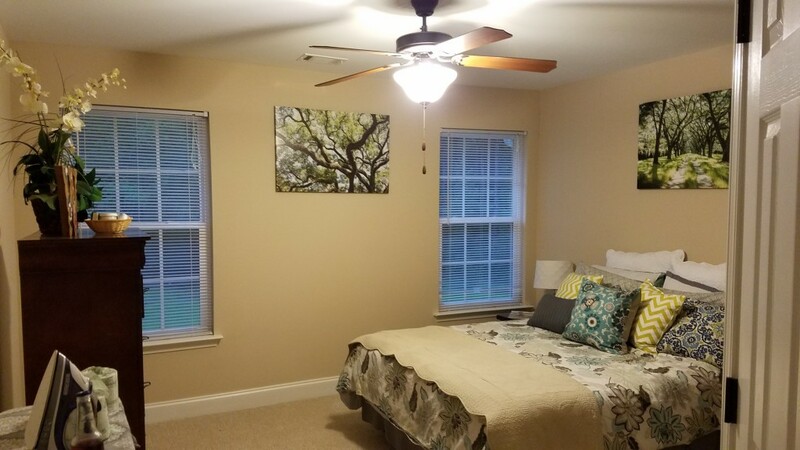 The colors in the pictures look amazing and ads a great feel to the room. 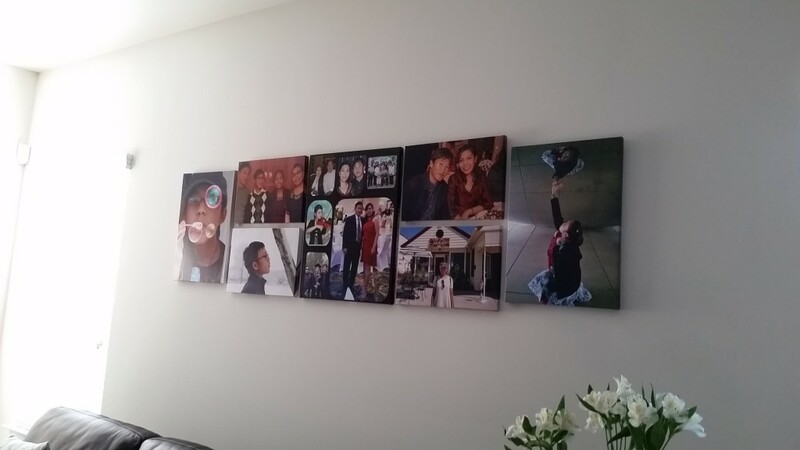 I received the 7 canvas pictures very well wrapped and in excellent condition. Wonderful quality. 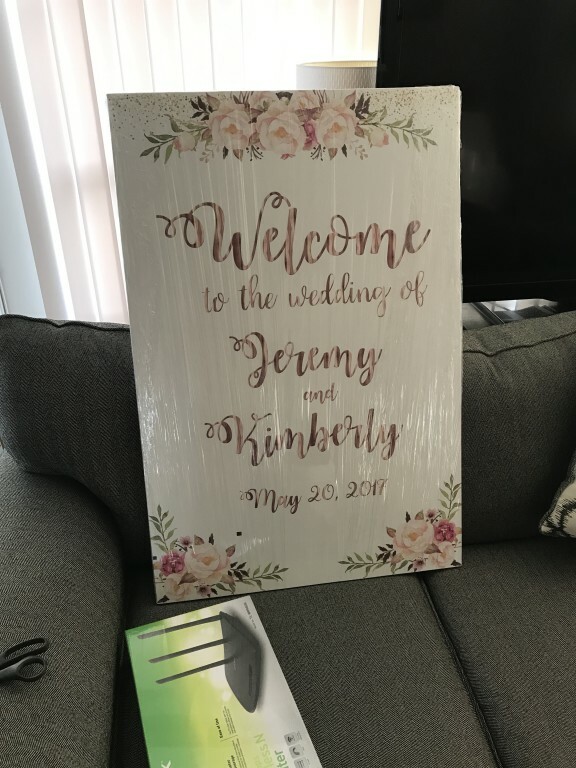 Printed out a 24x36 sign that other annoying websites would cut the sides and corners off of, but the great thing about Canvas Champ is that somebody actually reviews your order before designing it, and has you approve a proof. Great product. Would recommend. 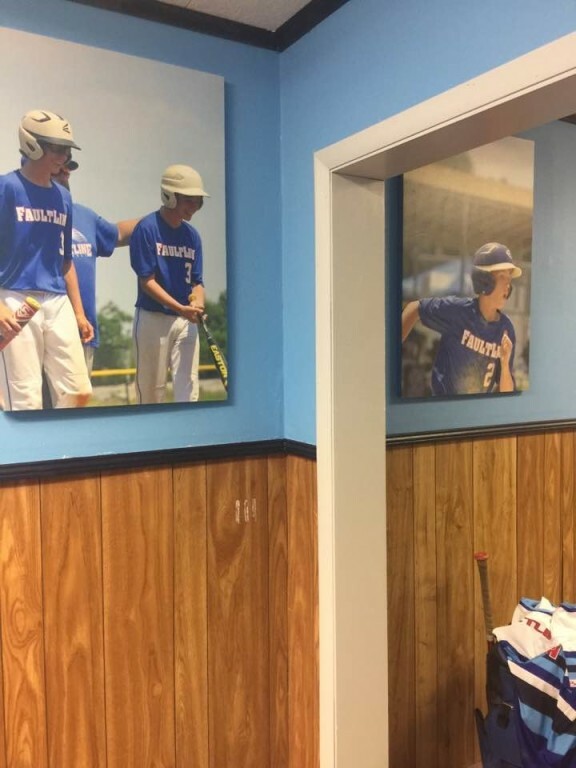 The canvases are a perfect addition to our training facility. The process of ordering was easy and the prints absolutely perfect. We added these to our new sport training facility. Thrilled with my purchase. 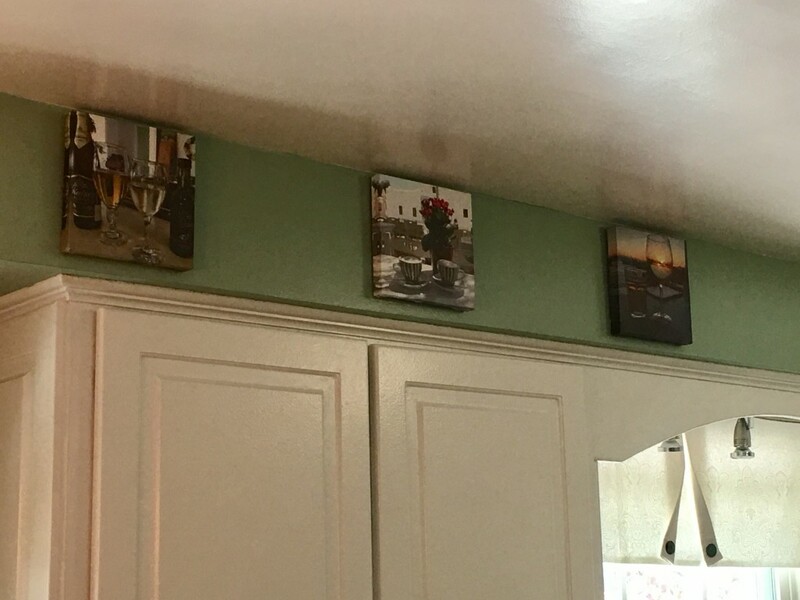 I am thrilled with the 12 canvases I purchased. They arrived quickly and are just what I wanted. I would order from this company again in a heartbeat. Packaging protected the product nicely. DHL delivered the box to the completely wrong address (thankfully the homeowners were honest and brought them over! ), so I would not waive the need for your signature. I would buy again and again. Good prices, quick service. Loved how my camera photos came out. Exceeded expectations. 100% recommend. 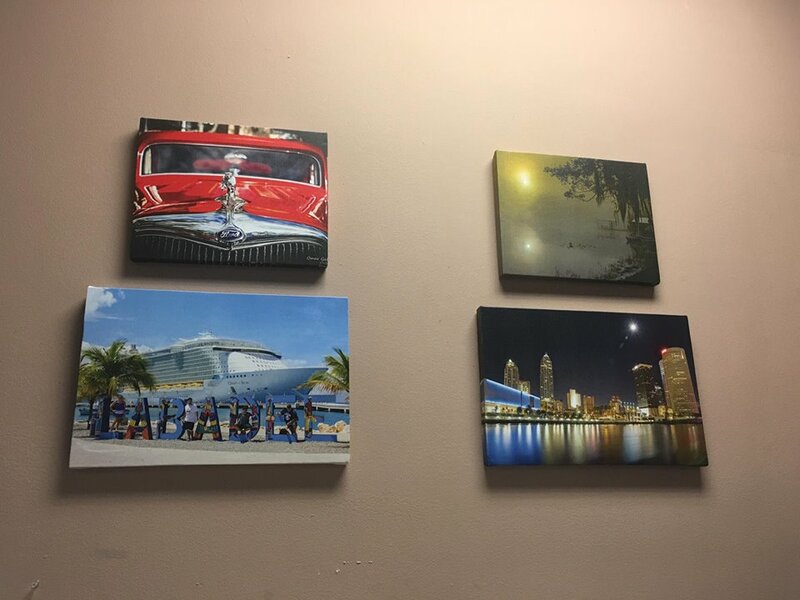 Very fast service & great looking canvases for my Hollywood offices! The best out there. 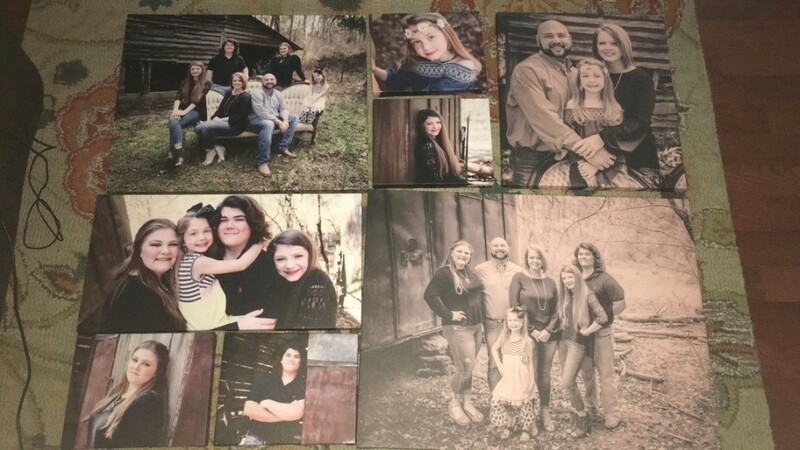 I have been trying to get photos of my family but everything wasn't super expensive, I was nervous to order these because the prices were just so good but I took the chance and I'm glad I did . They are beautiful, the colors are great. Very pleased and will be using them again.The wrapped my canvasses so well Thank you. Could NOT be HAPPIER with this purchase! 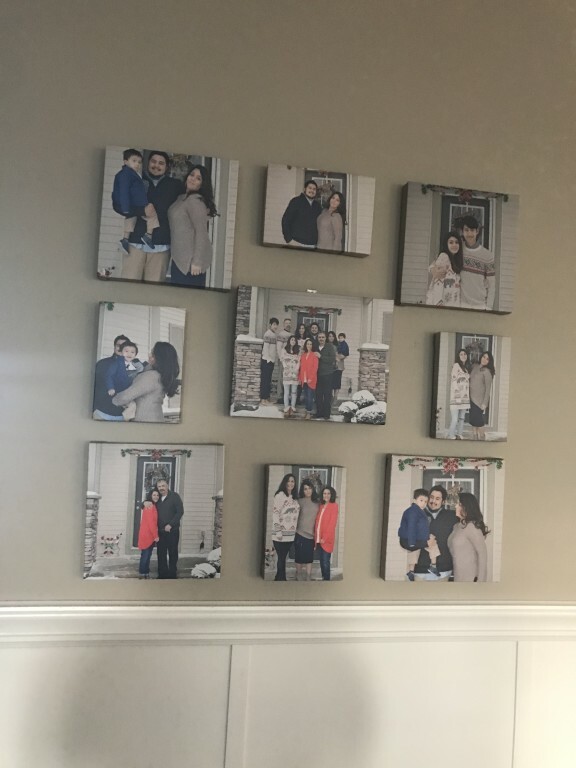 We printed a large set of these for our new home rather than printing and framing a collection of pictures that we wanted to hang throughout the house for decor. 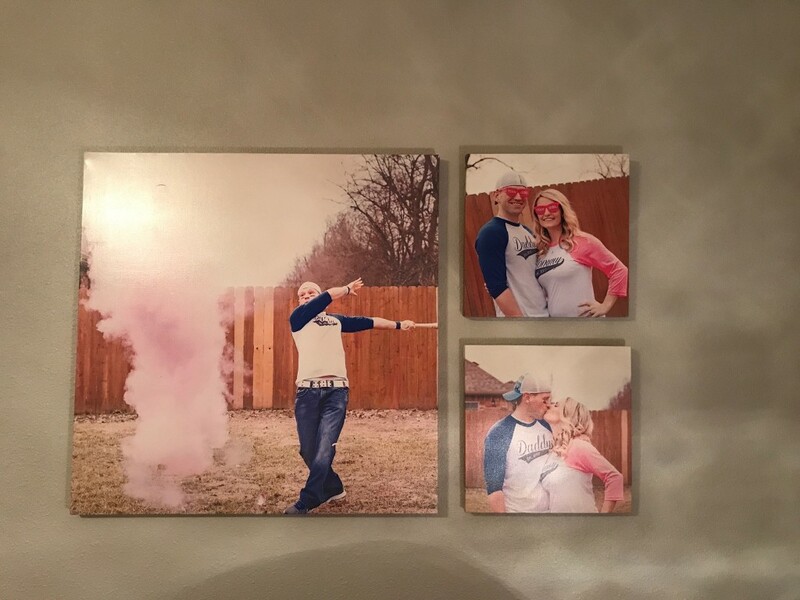 We printed another set for my sister and daughter-in-law for Mother's Day, for my father for Father's day, and an ADORABLE set for our nursery for our little one arriving at the end of May. All of them turned out beautifully and we are thrilled! Yes, I would recommend this to a friend. 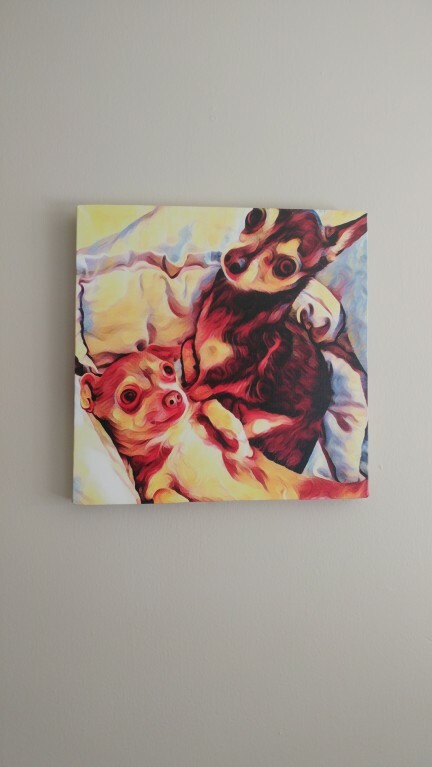 Best made canvas I have EVER purchased! 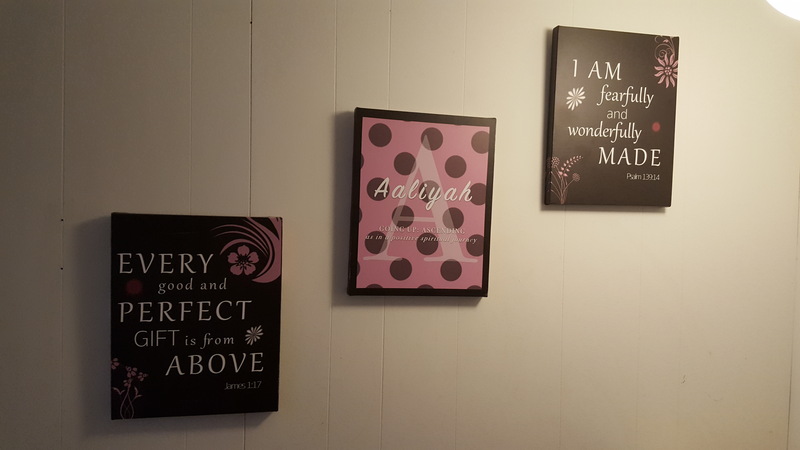 I was very pleased with the canvases I purchased. They were well made and the pictures looked awesome. I will be purchasing more very soon. This is my second time purchasing this year!!! The canvases are beautiful, strong and solid. I ordered 24x36. I am extremely pleased!!! They look EXACTLY like the pictures I sent (except Canvas Champs took the scratches off). Customer service was EXCELLENT!!!! Very professional deliver! I knew where my package was every step of the way!!! What a new way to showcase my original art work! 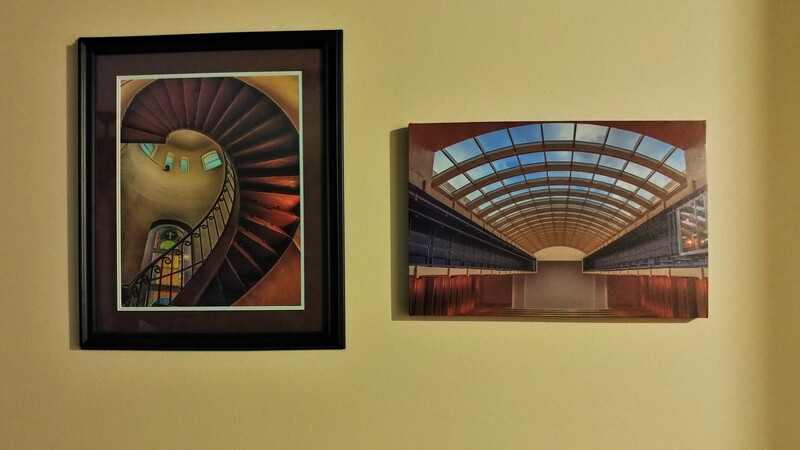 One of the 16x20 prints was a Birthday gift and the other one was of a painting I liked, but sold. Delivery a little longer than I expected, arrived nicely packed in a sturdy package! 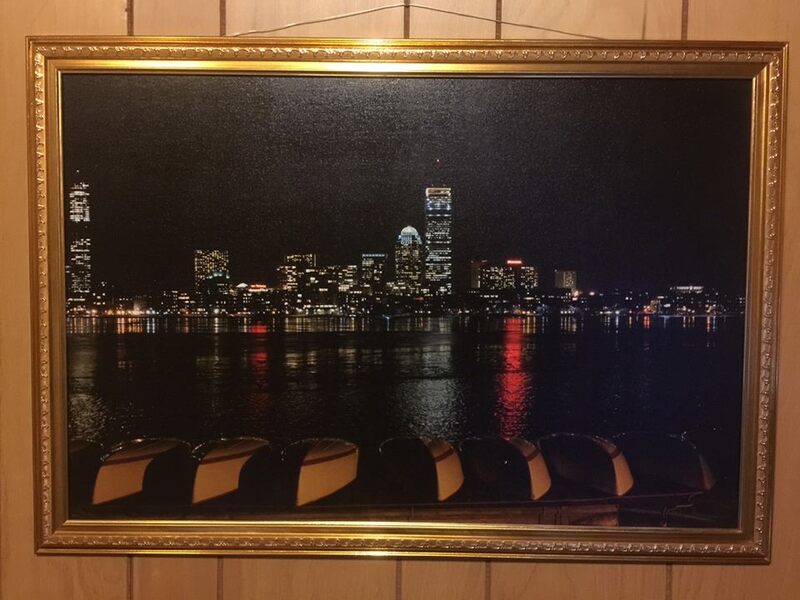 I am very impressed how you cropped the picture and put it on a wider canvas to make it look amazing. I attached my photo, as well as the finished product (still wrapped in plastic) Beautiful work! It arrived five days before the anticipated delivery date, so that is wonderful. 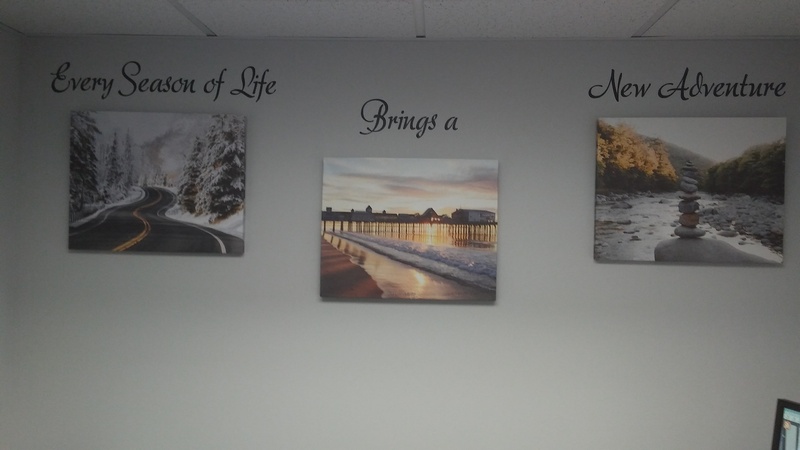 Needed a cost-efficient solution for redecorating our office conference room, and these canvases hit the nail on the head. Would absolutely recommend, and in fact as a result, i have some office-mates who will be placing personal orders very soon. Thanks again CanvasChamps! Appreciated the tracking of my packages and the text updates. 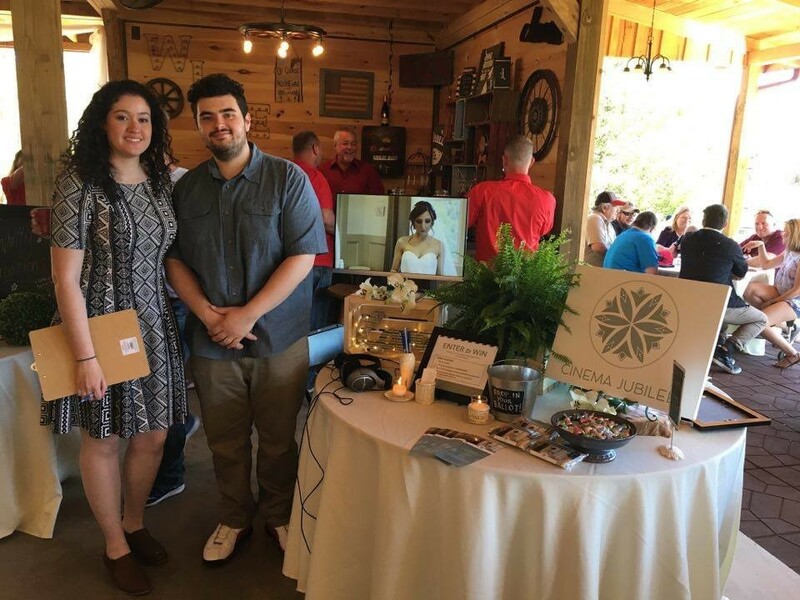 We are Cinema Jubilee, a wedding videography duo based in Atlanta. 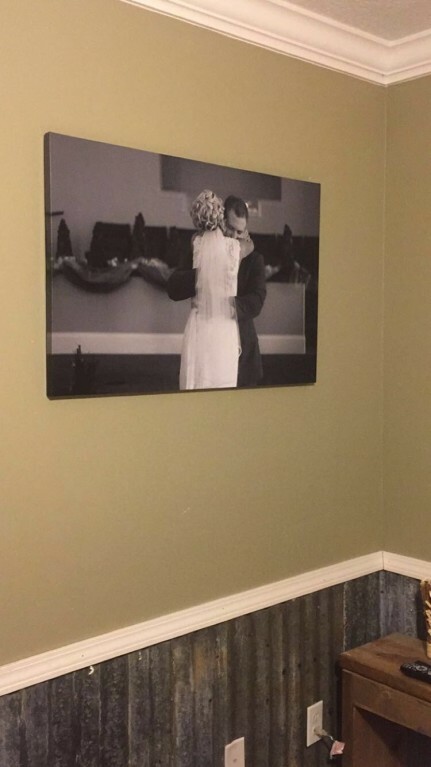 We wanted a large canvas of our logo for our office and to take to bridal expos. 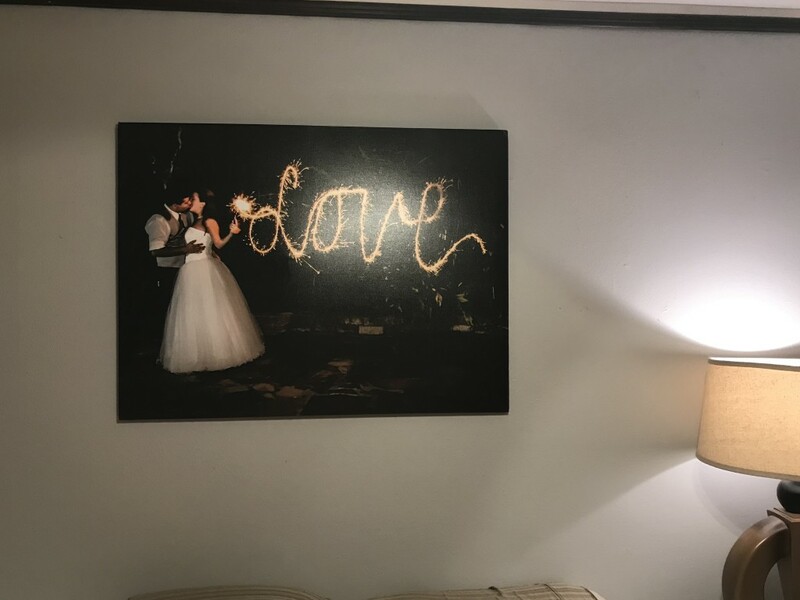 We are so happy with our canvas from Canvas Champ! It looks fantastic, like a piece of art. 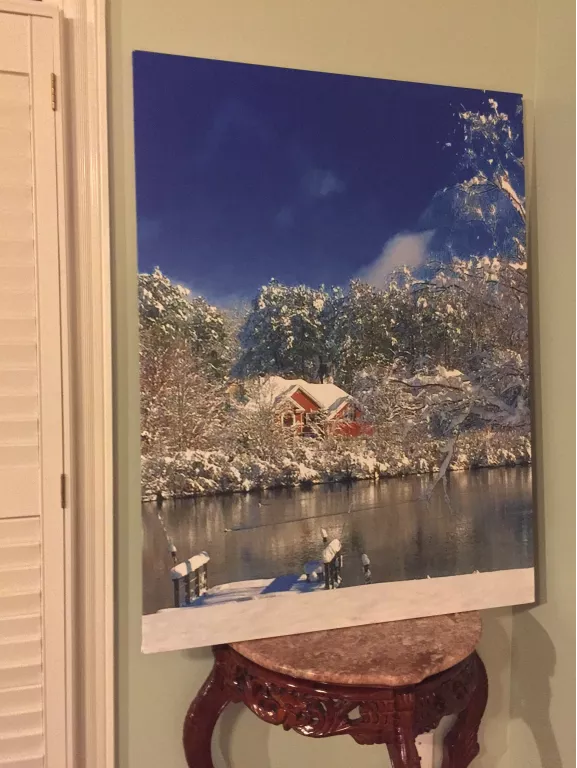 Our canvas print did not turn out looking good the first time. 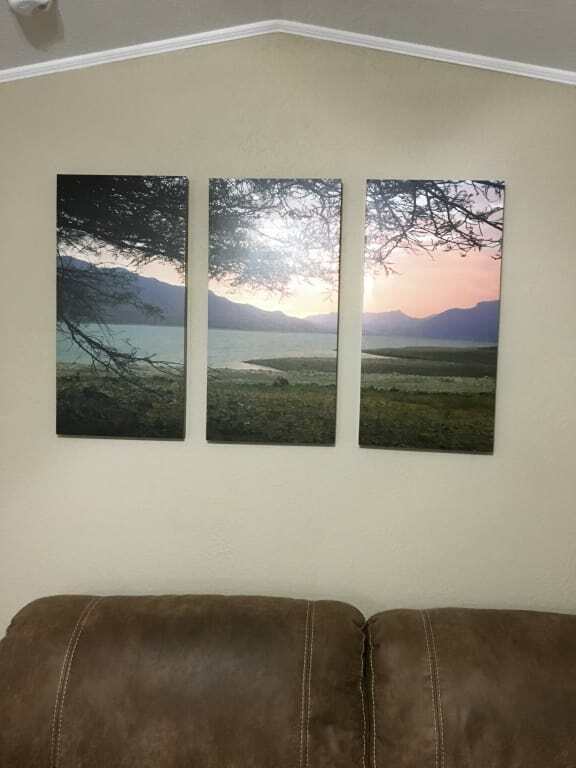 We sent customer Service a picture of the off colored canvas and they had a replacement shipped out the next day that looked great. 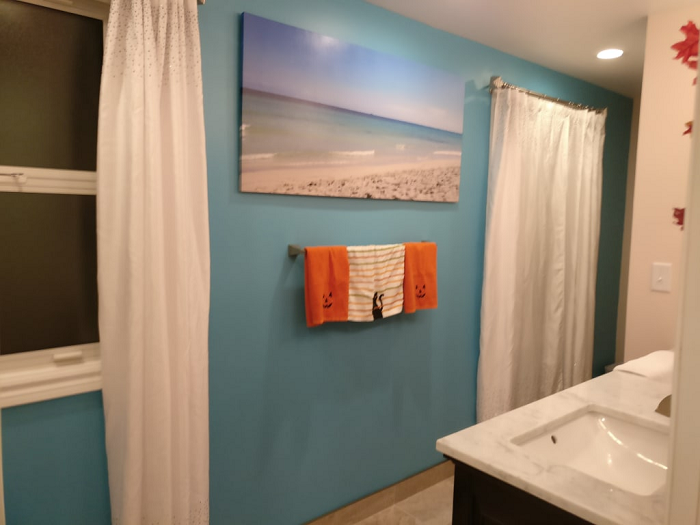 I created these abstract canvas prints and used them in my bathroom niche (one hides the toilet paper :) As others have commented, the colors are vibrant, the quality good value for the money and the canvases arrived very quickly. 2 thumbs up! 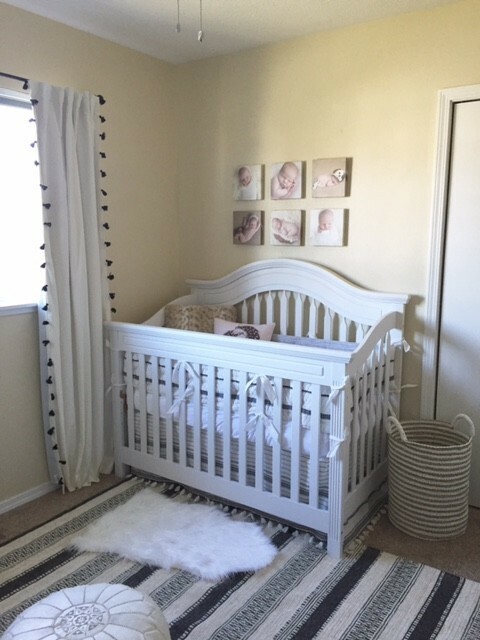 I used this for my babies nursery and was very happy with the results. I will definitely be doing more canvases with this company. They were very helpful during the proof process and I loved the results. 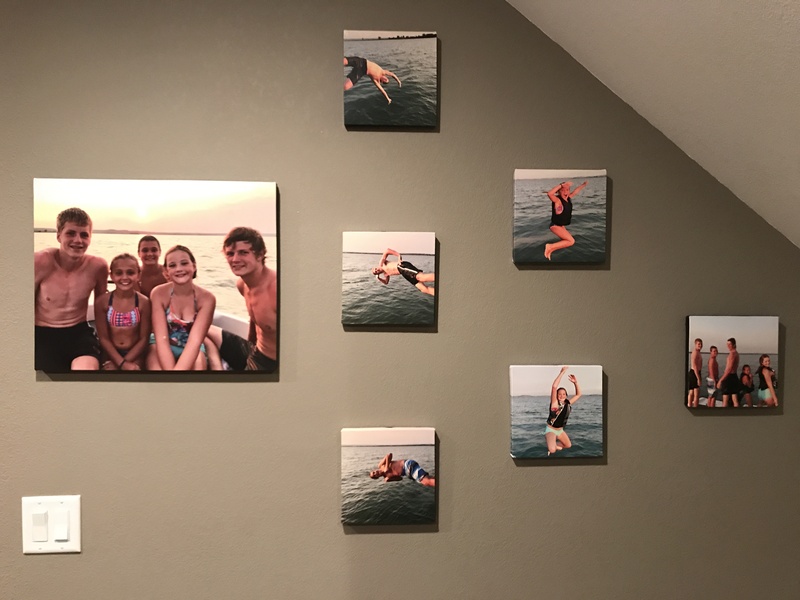 I am so happy with the wall display I ordered from CanvasChamp! 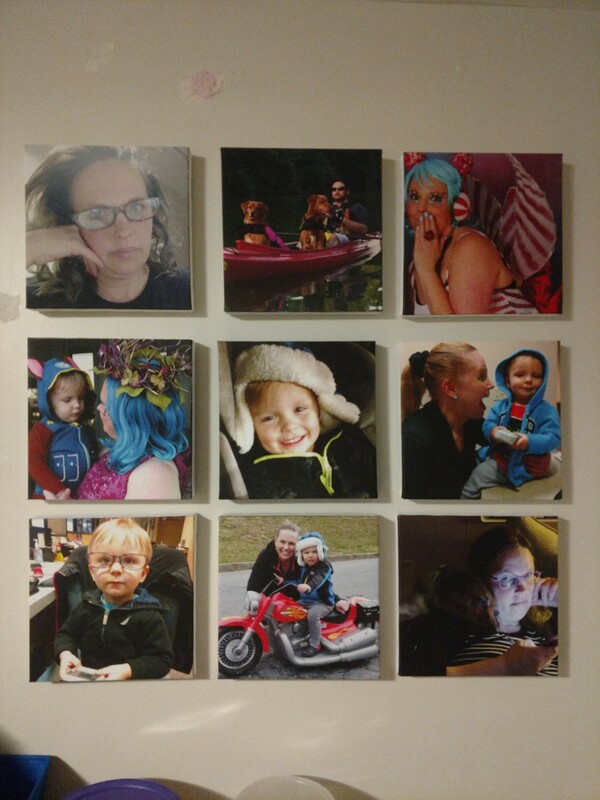 The prints of my daughter turned out beautifully, and I received my order well over a week ahead of schedule. 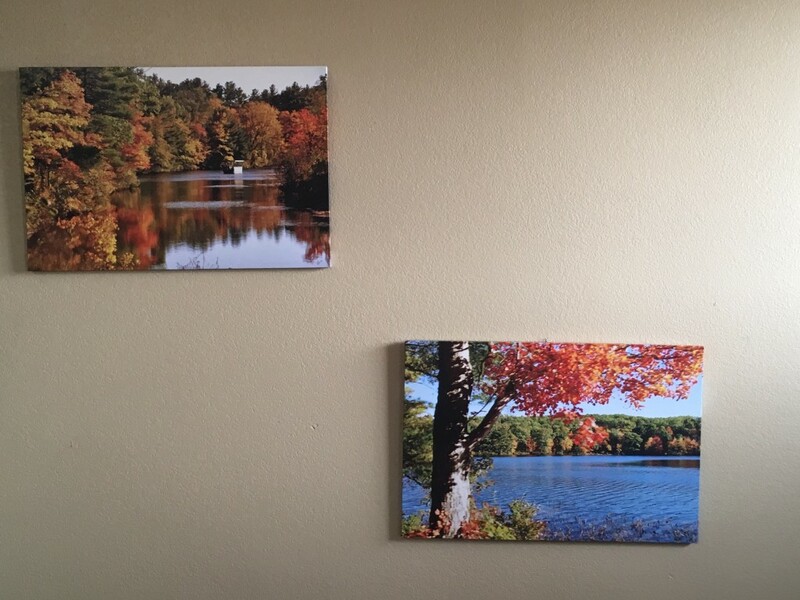 I love my canvas prints. 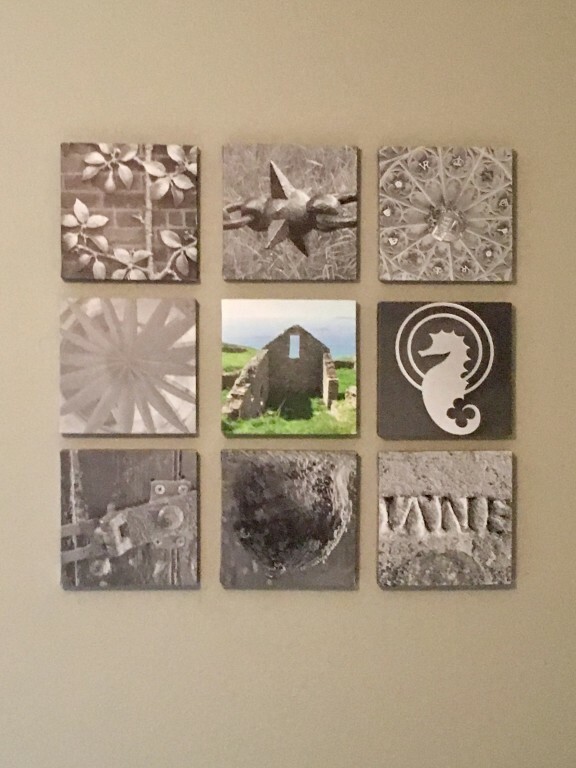 They are high-quality and they look great on my wall. Delivery was pretty quick and customer service was unbeatable. One print arrived with slight damage to an edge. I sent them a photo of the damage and they immediately resent another copy. I'm very satisfied with my canvas and I would buy other more. 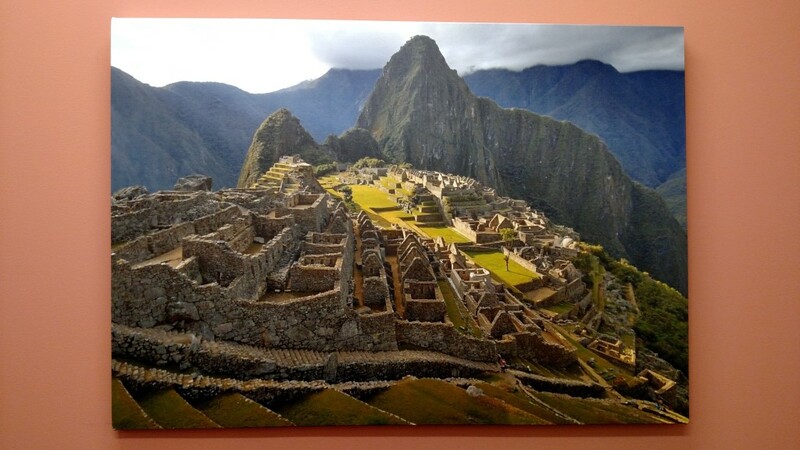 I ordered a canvas print of Machu Picchu (one of the eight wonders of the world) for my office in custom size 28x40, the print quality is very good and it looks great that I plan to order another one for my house. I have ordered from other companies & I wasn't as happy until I received my canvas from this company. The quality is great! One happy customer! Service and delivery comments: Delivery was great! It came pretty quick & it required a signature. Glad they chose that option considering packages are being stolen from people's front doors. I have pictures from a few trips to Europe on my computer and have wanted to get a few of them printed on canvas but was unwilling to pay a lot for them. Then I found the Canvas Champ site and the prices were so low I nearly didn't order, thinking the quality couldn't meet my exacting standards. Much to my surprise and delight, the prints came out as nicely as I had hoped and now hang in my living room. Service and delivery comments: I ordered 5 prints, and one was slightly damaged. Something had penetrated the packaging during shipping and placed a dent on the canvas. I was able to smooth it out satisfactorily. It was very minor. 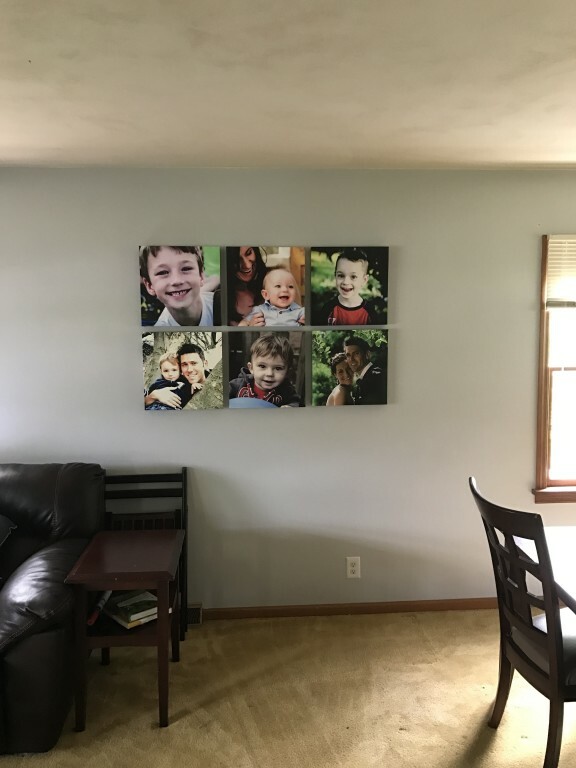 I ordered 9 canvases of varying sizes and ended up paying 1/3 of what local print shops and big-box stores were asking. The quality is on par with big-box store printing. 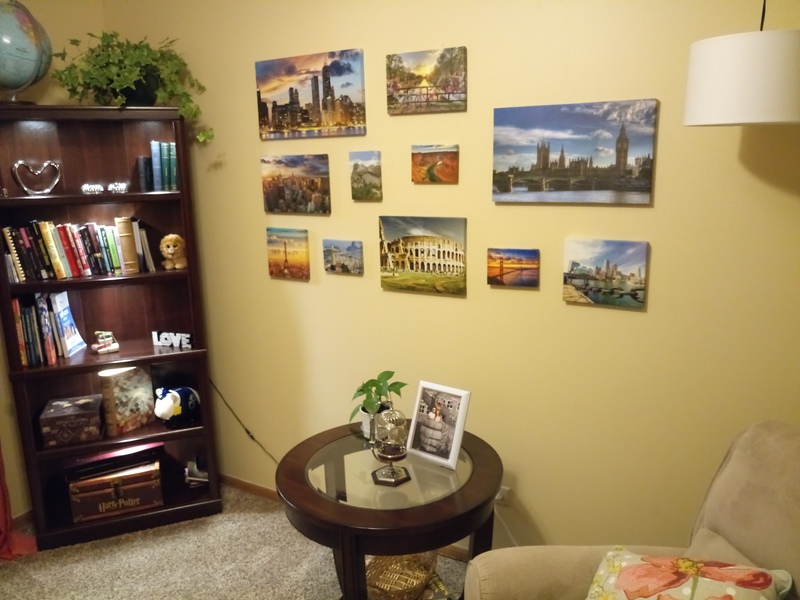 I plan to order three more larger canvases for my office after seeing this set come in. Very pleased overall. 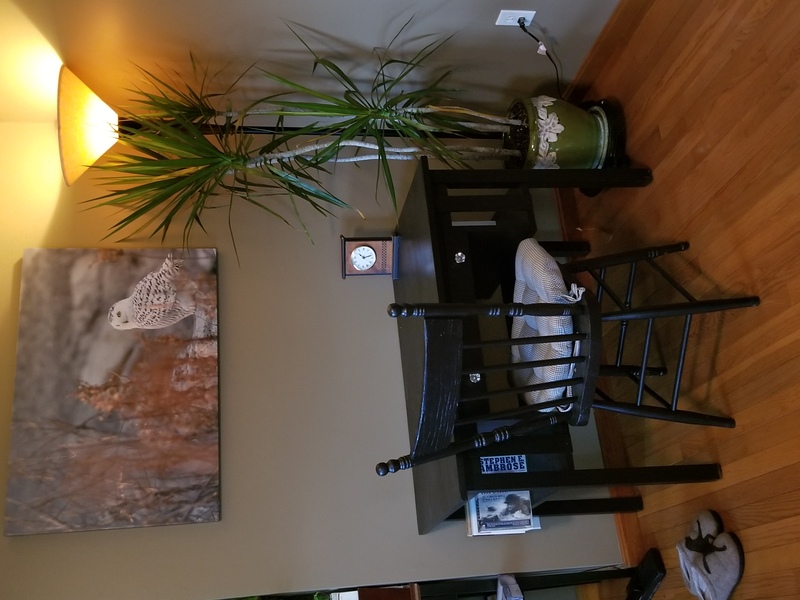 Their customer service was quick and polite when we encountered a delivery issue (our new building address was not yet confirmed with the local postmaster) and they remedied the delivery issue the same day. 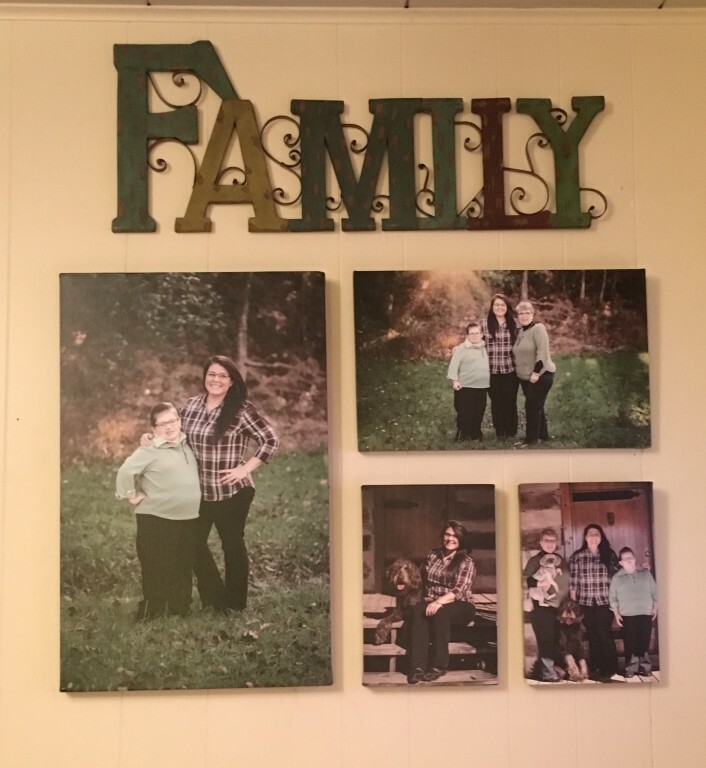 I love my custom canvas! 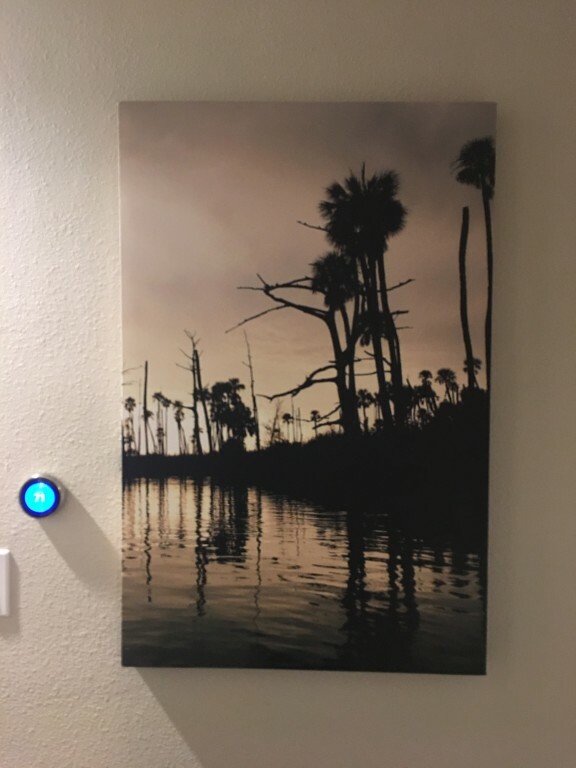 The print quality is great and the hanging hardware already installed made hanging it a breeze! Arrived one week before expected. Perfect photo quality of a great subject! Will definitely be ordering from again. I have already made several referrals to friends and co-workers. 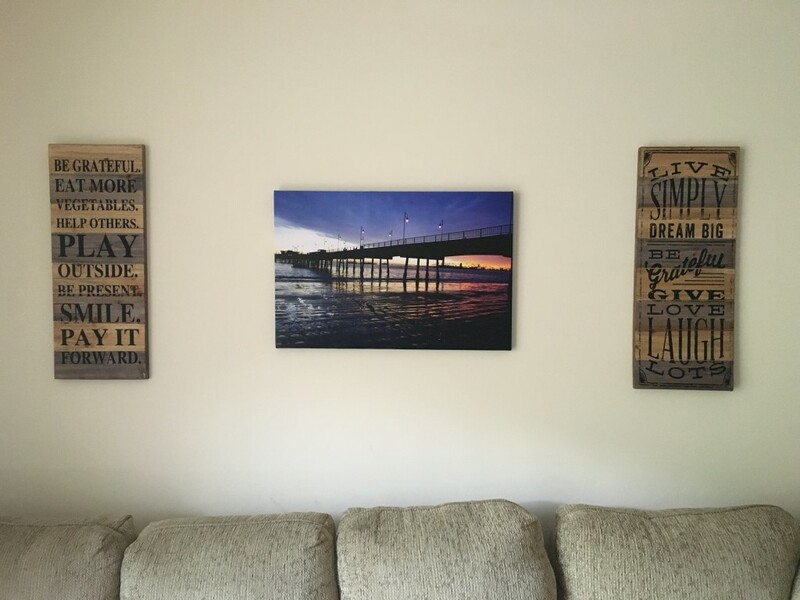 My Canvas Prints Comments: I did not have to buy a frame for my canvas prints. Looks great without. Delivery was on time. The prints were packaged very well. I found this service searching on Google. I never heard of the it before the price was half of the service I used before. 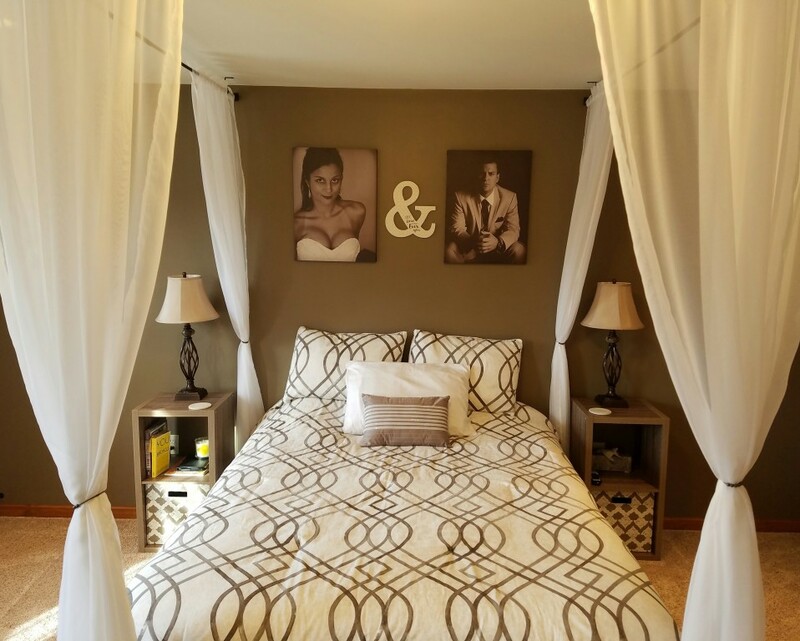 My wife and I decided to take a chance, and we don't regret it. Not a single blemish or imperfection - looks gorgeous and feels very sturdy. Had it on the wall in minutes. Thank you! I will definitely order from canvas champs again! My prints turned out gorgeous and the quality is amazing! They arrived super quick right to my door! Faster than expected! 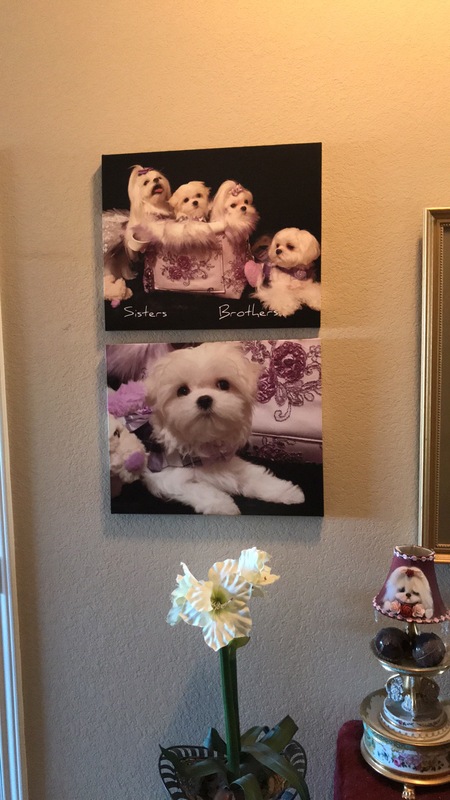 I had a photo framed for my living room. It's perfect! I liked I was able to create a custom size. The pricing was very competitive and it was delivered promptly in sturdy packaging. Service and delivery comments: The delivery was prompt and the product was shipped from India in sturdy packaging. I ordered three canvas prints which arrived on time and was packaged extremely well! I am ordering more and have told many people about your company. I have used them in my office at work. I receive many compliments. Great quality, delivered more quickly than originally promised. Very fair pricing. Amazing! Wonderful quality! Will order again. Love my Canvas's! They are beautiful and great quality! The quality was amazing. My delivery came 2 days early!! I wanted to blow up an image from an oil painting I made that was quite small. Went from 10" x 10" to 30 x 30". It scaled beautifully, it shipped fast, and it looks great. Can't beat the price. 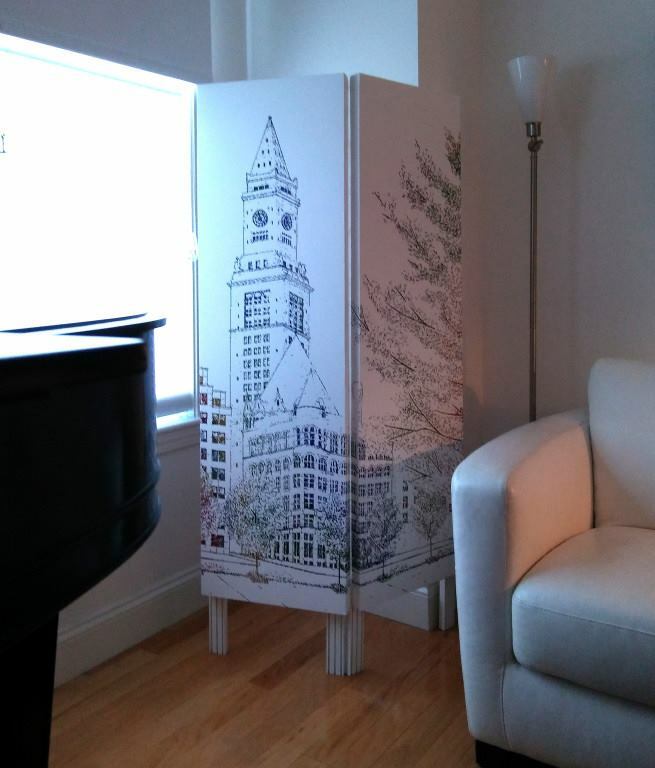 Very sturdy design, to have the canvas wrapped around solid wood. Would def buy from here again. 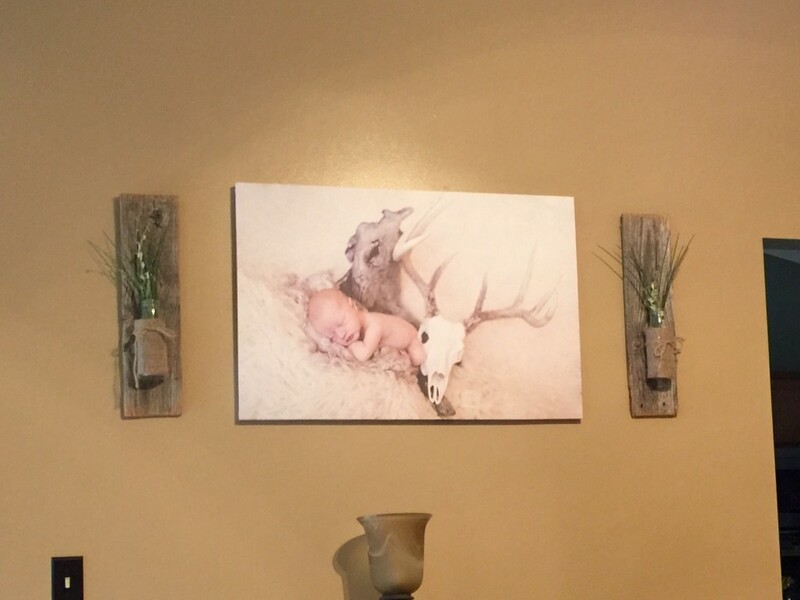 We had a 2ftx3ft canvas made here of our baby's newborn pic! It turned out AWESOME! Totally worth it! Quality: I am blown away by how good these canvases look. The photo quality is amazing. The colour and sharpness are professional grade. The quality of the wrap is completely professional. I cannot believe how great they look! I have ordered from Canvas Champ before and will likely order again. 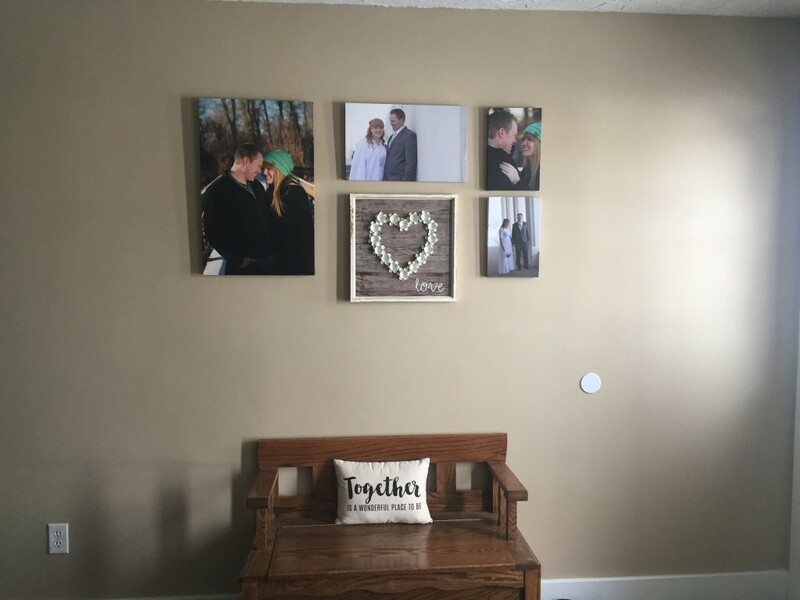 They have a great variety of square sizes of canvas prints, which is hard to find at other print places. The price can hardly be beat! It comes from India or China, but came within a week of placing the order. Overall, very pleased. Love my canvases! I ordered several and am so pleased with the quality. I ordered several canvases and they were delivered very well packaged and protected. No regret, better than what I ordered from others. On time..and keeping you posted. 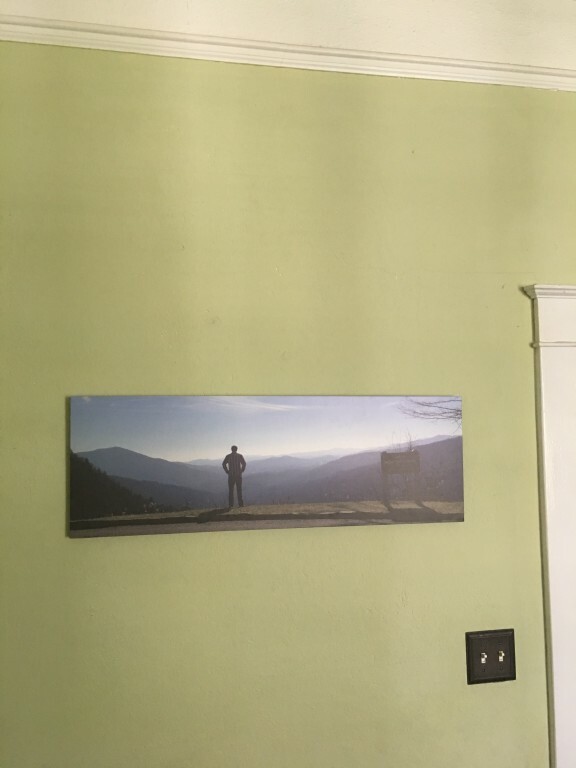 I ordered a very large (30" x 40") canvas to hang on a large open wall in my kitchen. Not only am I happy with the quality but the price (with a discount code) was so economical it allowed me to pay for rush shipping and still be under budget. 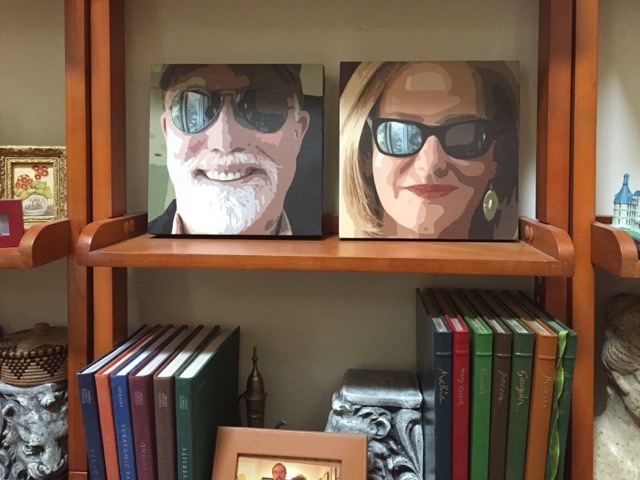 I am already planning on ordering more of these gorgeous canvases for other parts of our house. 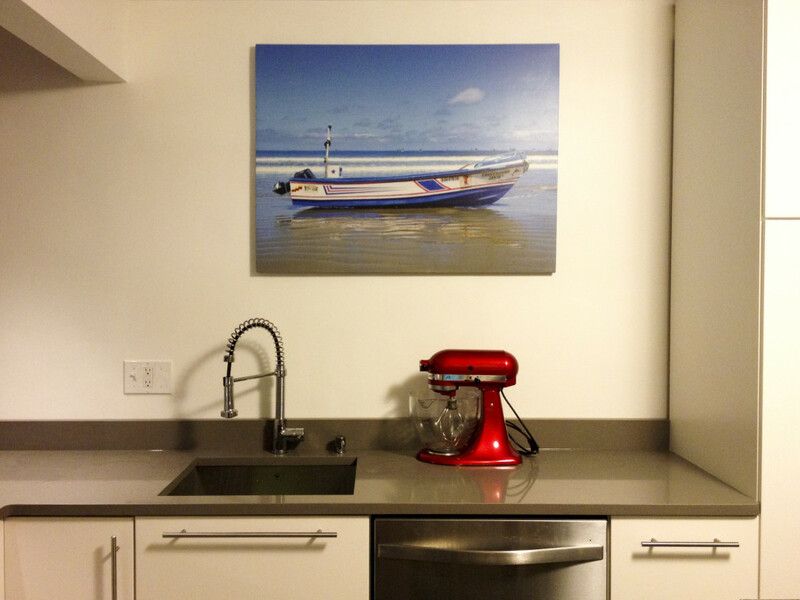 Everyone comments on the large scale photograph when they walk into our kitchen and I could not be more pleased. 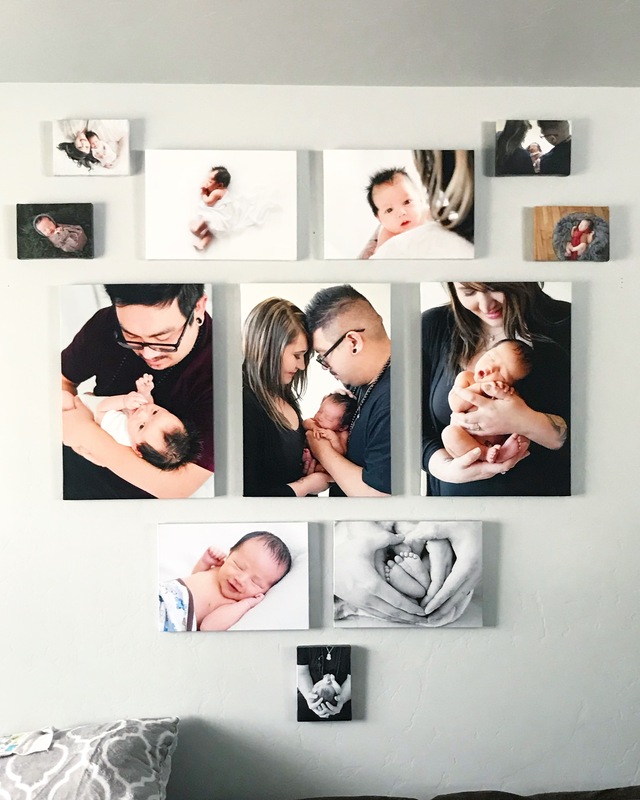 I had been waiting to order these because I wanted really large canvases from cell phone pics and I was nervous as to how they would turn out. I couldn't be happier. They arrived with in a few days, and are beautiful and wonderful quality! Discounts are good and often! Highly recommend!! They arrived with in a few days, and are beautiful and wonderful quality! Way better than I expected! Immediately placed a second order after the first one arrived! Service and Fast delivery. Inconvenient having to have signature for delivery. 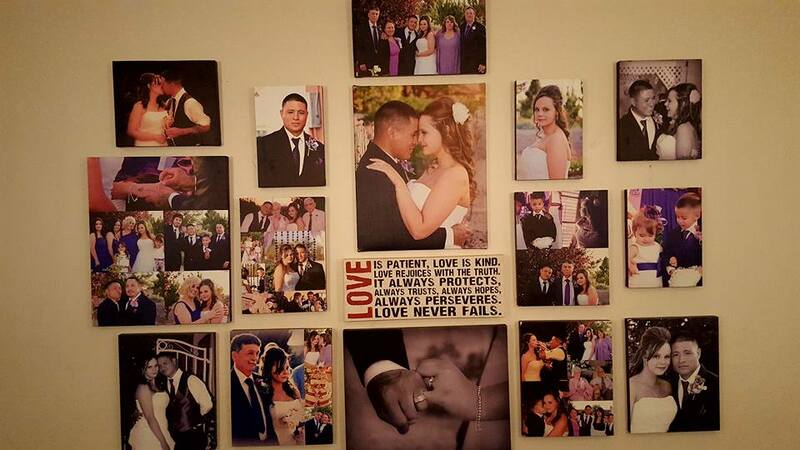 I purchased 12 of the 8x8 canvases to create a gallery wall of my wedding photos. Looks beautiful! Great price too! Customer service was quick and professional. They answered all my questions and addressed all concerns. I felt like they make sure you're well taken care of. I would recommend. Does anyone else really do it better? Honestly, I don't think so. I do my due diligence when shopping online. I narrowed down my selections to 4 print companies. As fortune would have it, I dropped my coins with Canvas Champ and this was a blessing. I just wish I ordered a slightly bigger canvas print. But from the moment I hit "Submit" to the moment I opened up my package, what does Mr. Trump say again? Absolutely Terrific! Great Great people over there at Canvas Champ. I love them, I absolutely love the work they do. He he! Seriously though, two thumbs way up! Service and delivery comments: Package was delivered on schedule. The package was wrapped ever so delicately. 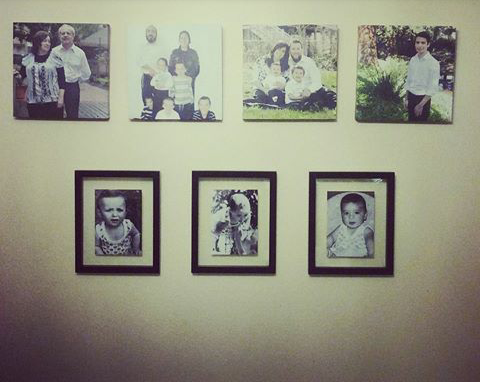 Designed a gallery wall in our large foyer. Very pleased with the quality and quick delivery! Easy to order. Beautifully done. Price was great when comparing. Color looks just as I expected. LOVE it! Delivery was quick and well packaged. Amazing quality, fast shipping, perfect size! Amazing quality, fast shipping, and perfect size! 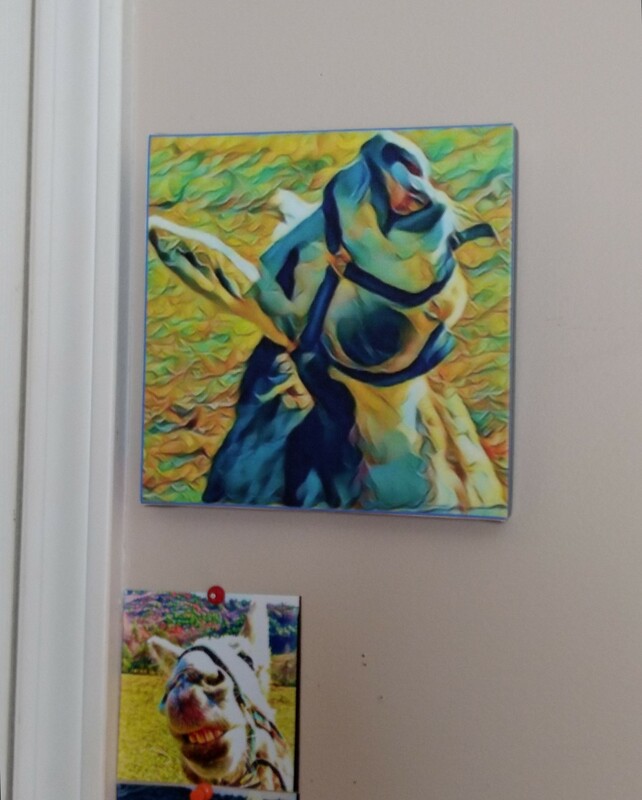 I am THRILLED with the canvas art I received. The price was affordable and quality is great. 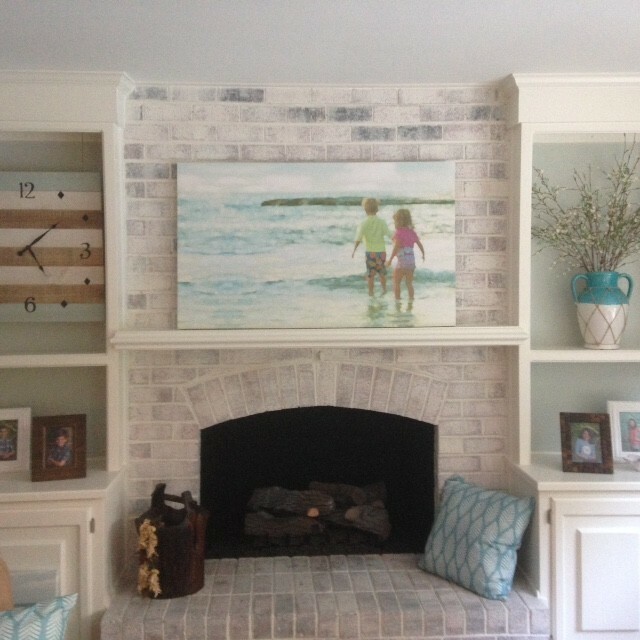 I wanted a large piece to hang on a brick fireplace wall and it is just perfect! Thank you Canvas Champ! I will definitely recommend your site to others!!! Shipment was timely and the packaging was all intact. Product was delivered in perfect condition. The product and the shipping are amazing! 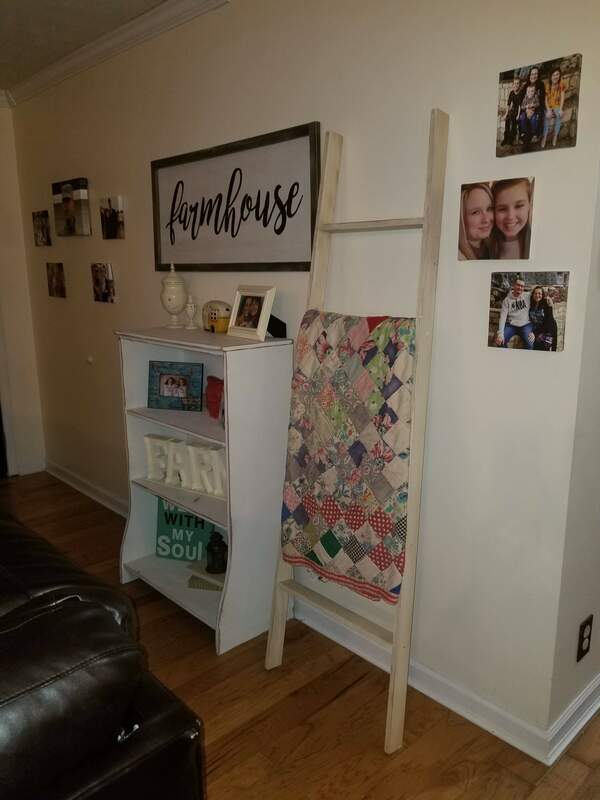 I thought 30"x20" size would be large enough for behind my couch but I was wrong. The shipping is crazy fast and the product is just as advertised. 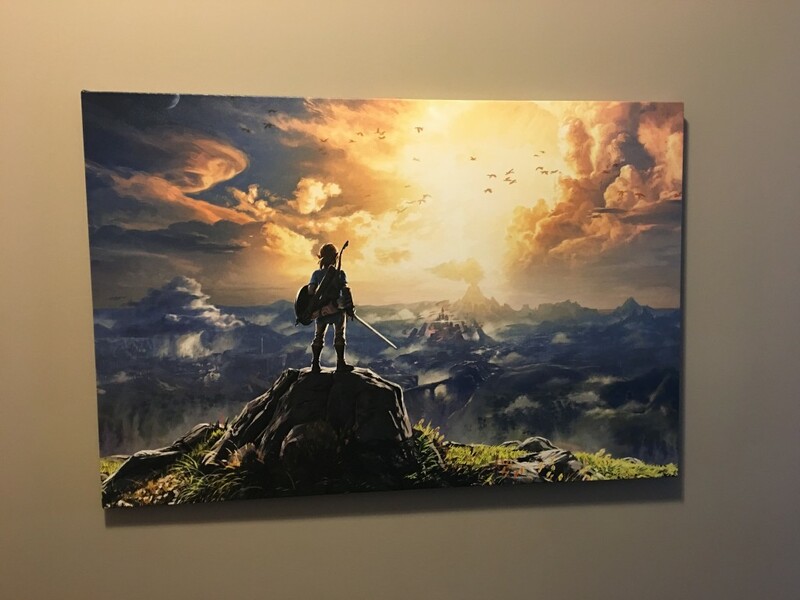 The canvas looks amazing. Better then I expected. 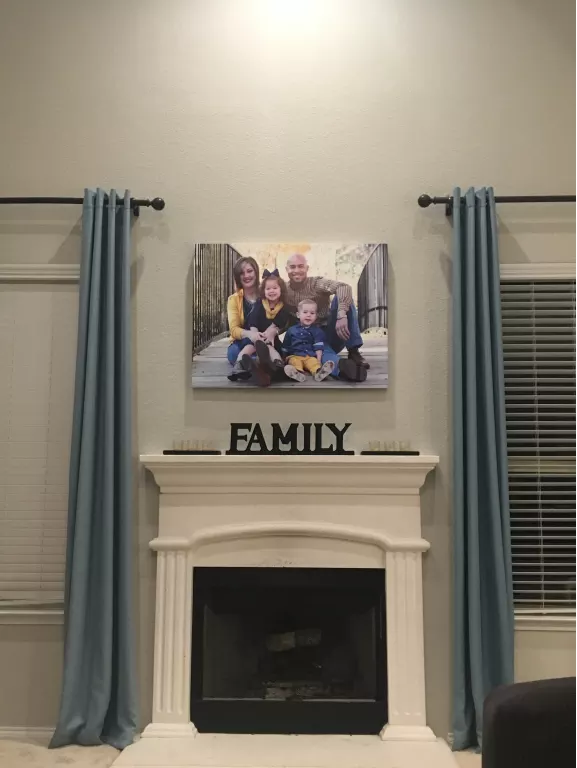 Looks like any canvas picture you could purchase at any store. Just custom made with my own photo. Service and delivery comments: I order the product on a Friday before labor day weekend. And received it the day after labor day. Before the expected delivery date. Ordering process: very easy in terms of selecting sizes, enhancements, features, wrapping, etc. Price: 2nd best price I found on the internet, but I picked this over the lowest price because they were so highly rated. I was not disappointed! 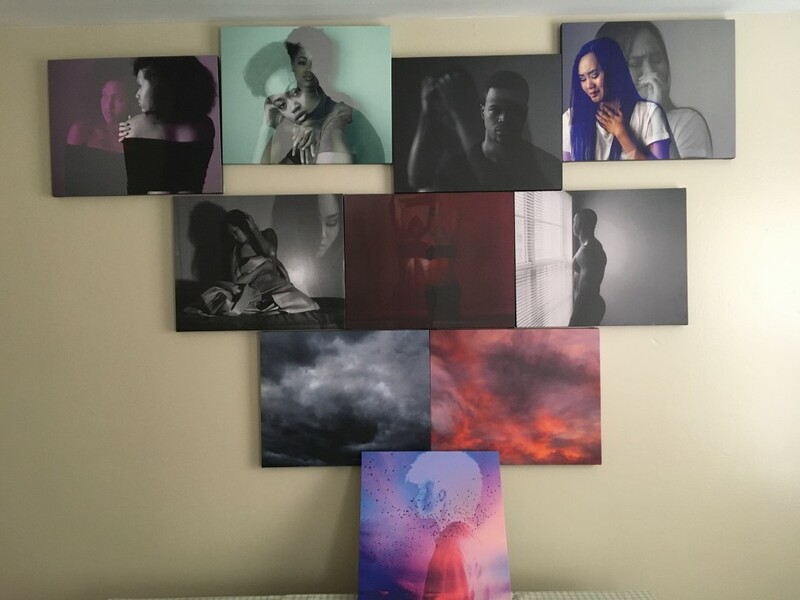 Shipping: I ordered 11 canvases on Saturday and they arrived on Wednesday. So fast! They packaged them as though they were shipping their own children. 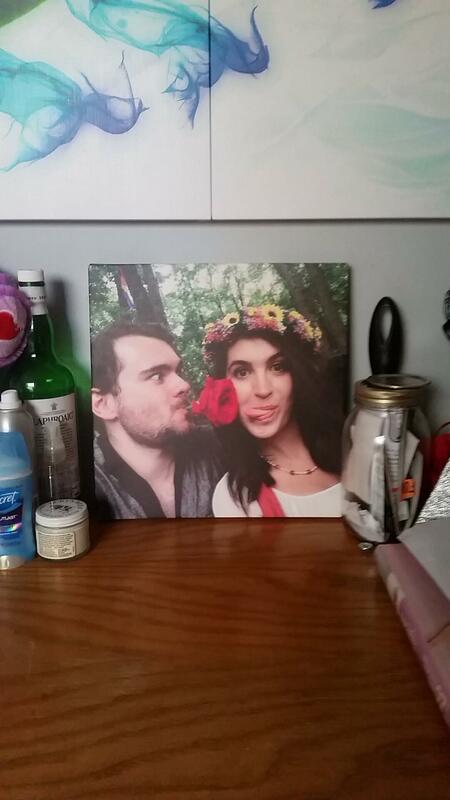 Ordered a canvas print of an engagement photo during the Cyber Monday sale. 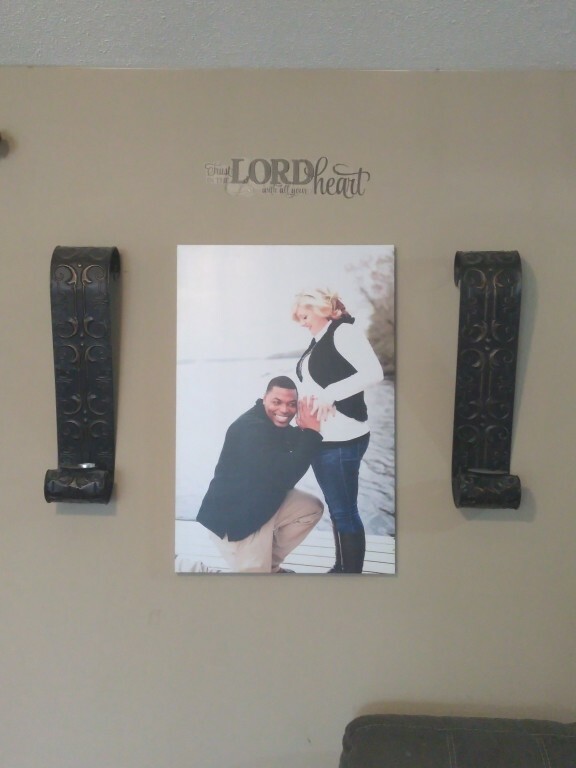 The ordering process was very user friendly and I appreciated being able to customize my project. When the product came in we absolutely loved it. Great price as well. The only downside was shipping time, which took a few weeks (understandable though due to the time of year). Overall I would definitely use this company's again! Shipping updates were helpful and arrived in good condition. My print arrived in about a week. It was well-packaged. The colors are vibrant, and the details are crisp. Great price for a large print. I was surprised that it came all the way from India. Product was well made and arrived well packaged. Took longer to receive than told or paid for. Waited a while to speak with the online live customer service. When I finally did, he was really unprofessional to deal with. Not personable or seemed to care. Poor interaction. Said I'd get my item soon but not helpful. Patience is the key of you need to contact them. I am no well-known giant in the world of photography but have won prizes and awards for my shots...I have the "eye" as they say. This shot of my daughter was taken by her before she went on with a band in NYC. It has great composition and I knew it would look good enlarged. I have used other canvas companies and chose CanvasChamp because the website and photo lab looked so professional. The image looked best as a 4" x 8" as it was a tight crop. 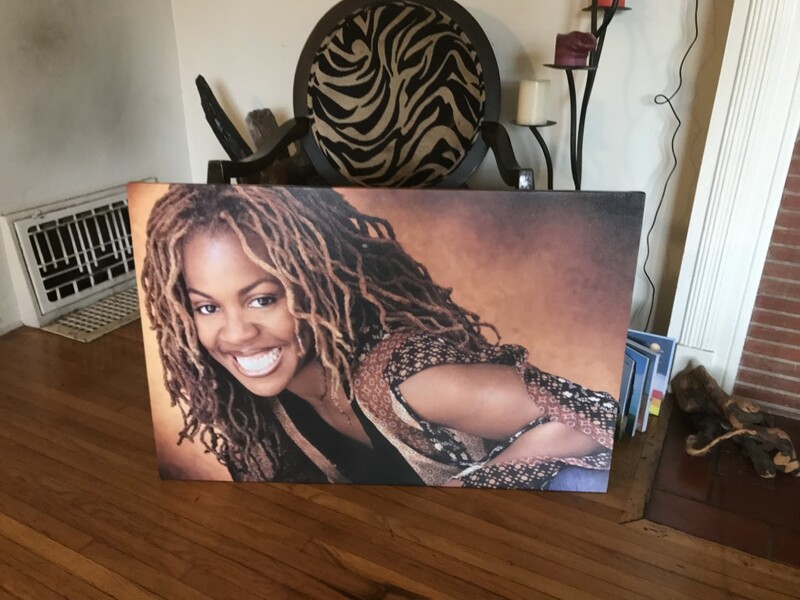 I must say, the finished product is first class and almost seems like she is stepping right out of the shot...it looks great on my office wall and she looks defiant and ready to rock! Exceeded my expectations in quality. 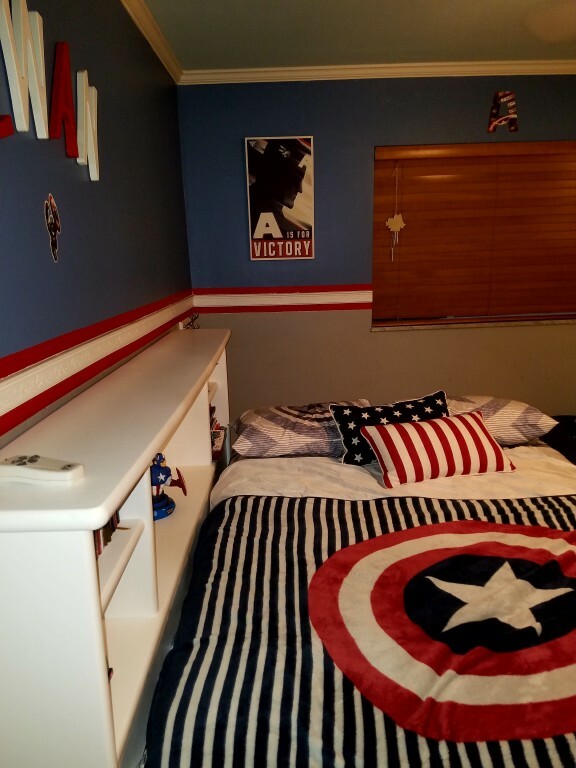 Was used to decorate my son's room. He lovedid it. Canvas was well protected, and arrived when promised. Great quality of the print. Sturdy canvas! I will absolutely order again. Delivery was prompt, arrived before expected. 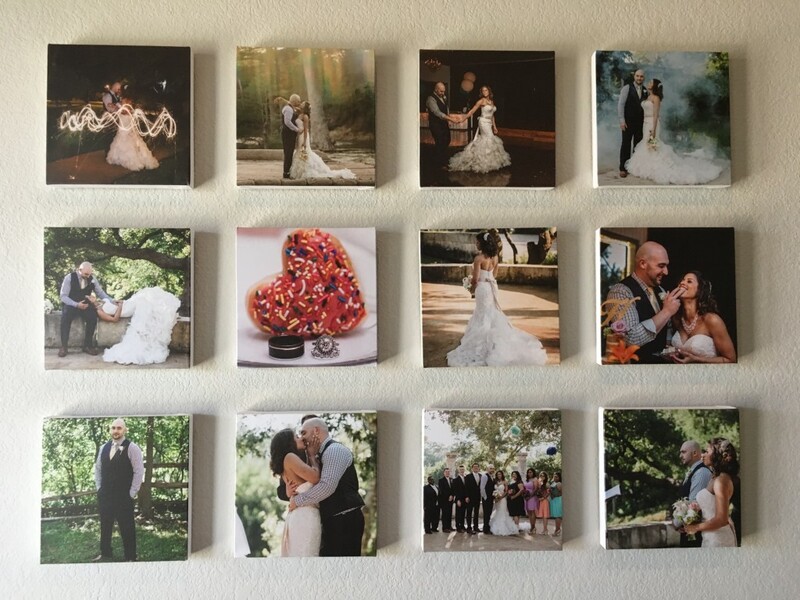 The 8"x8" canvases we ordered look great!!! I will be ordering more soon. Canvases were packed very well when they arrived. The site was so user friendly, I was able to upload my picture and select my sizes and checkout in no time. The product came quickly and was very high quality. 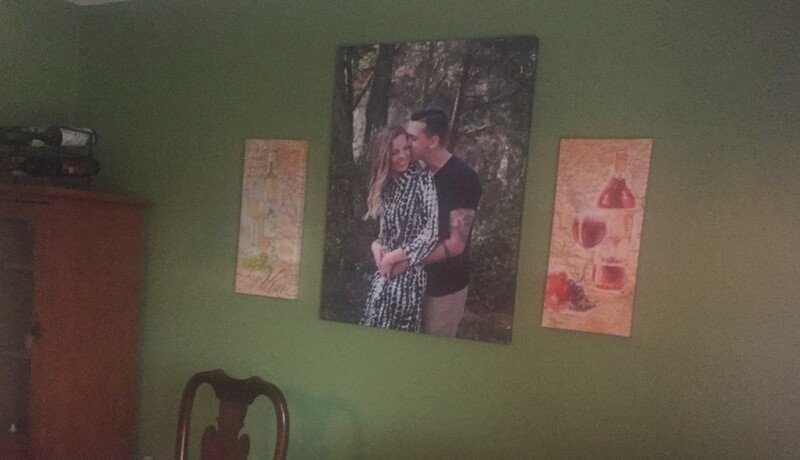 We are so happy with it, we hung it immediately on our wall and receive so many compliments on it. Delivery was fast and product was in perfect condition! Came in good condition. Came sooner than estimated delivery. 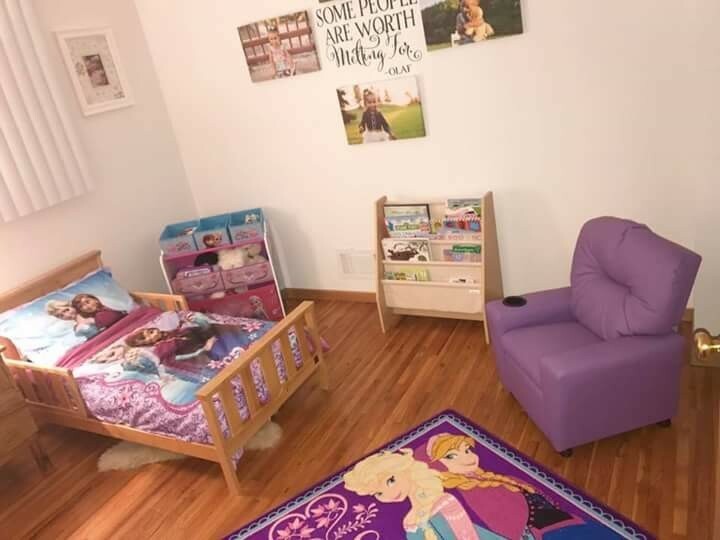 I used these pics after transforming nursery to a toddler room. Looks really great and there's seems to always be online discounts! Was such great quality and received promptly. They took great care in packing my canvas well. Absolutely gorgeous pieces, extra fast shipping, perfect display pieces from my own artwork. Will definitely order again!! Loved the results quality great experience. I love it nice quality specially I can choose the size I want and that is the best for me coz I don't need to crop the picture. but I haven't get the think wood I ordered just the canvas. I recieve the canvas except the thin woods. What can I say. 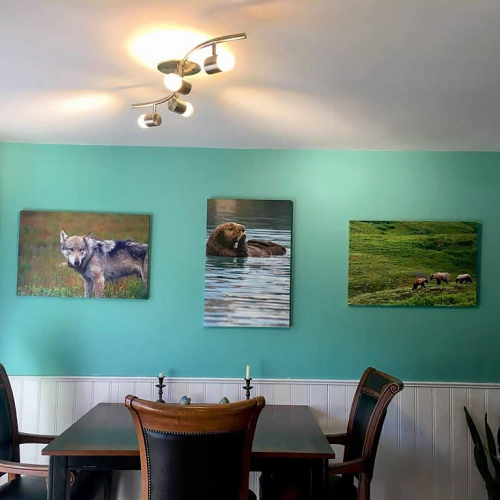 They are cheap and their canvas prints look great. I also liked their mirrored image border. Delivery was quick and without incident. 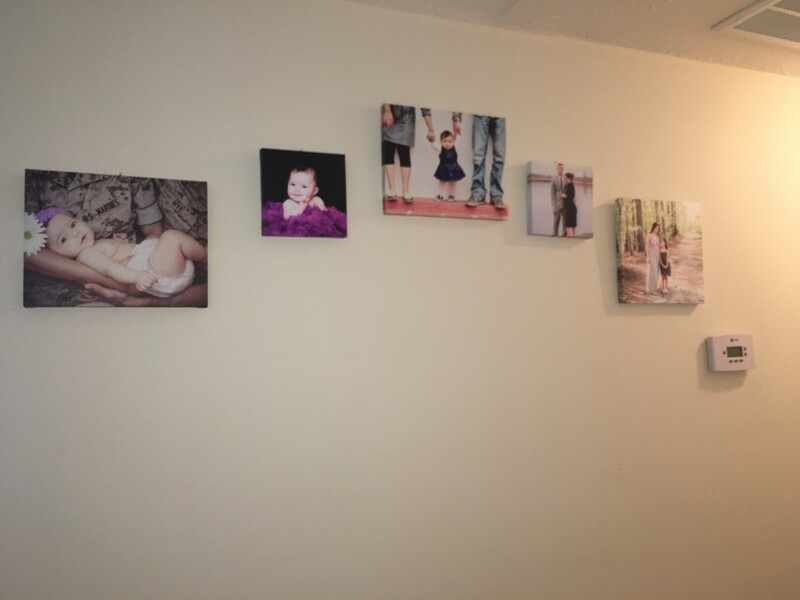 I blew up some photos I took on my camera onto canvas to han in my baby nursery. The quality of them is beautiful!! Even my dog recognized himself (see photo!). I priced out the same project on several other websites an led this was by far the most competitive priced. When I tracked my package and realized it was coming from India, I thought it would take forever!! It arrived to NJ in 3 business days!! So fast! 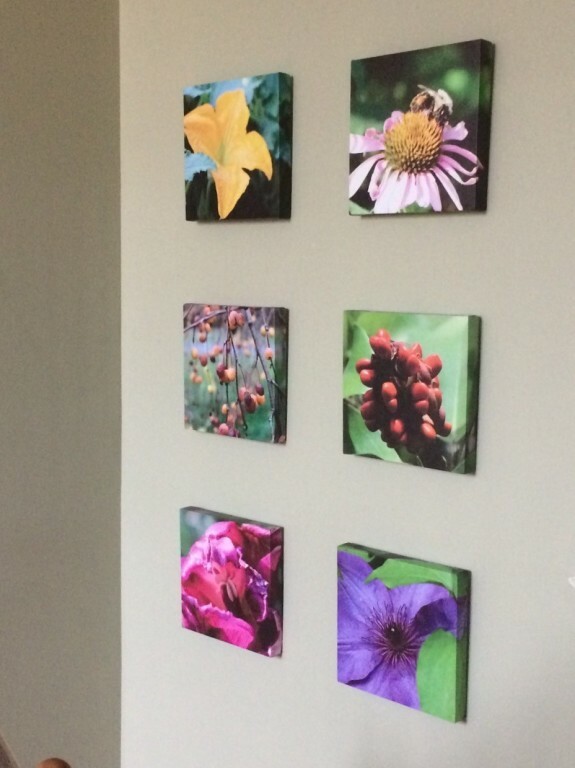 I ordered six 12x12 canvases of flower and plant photos. 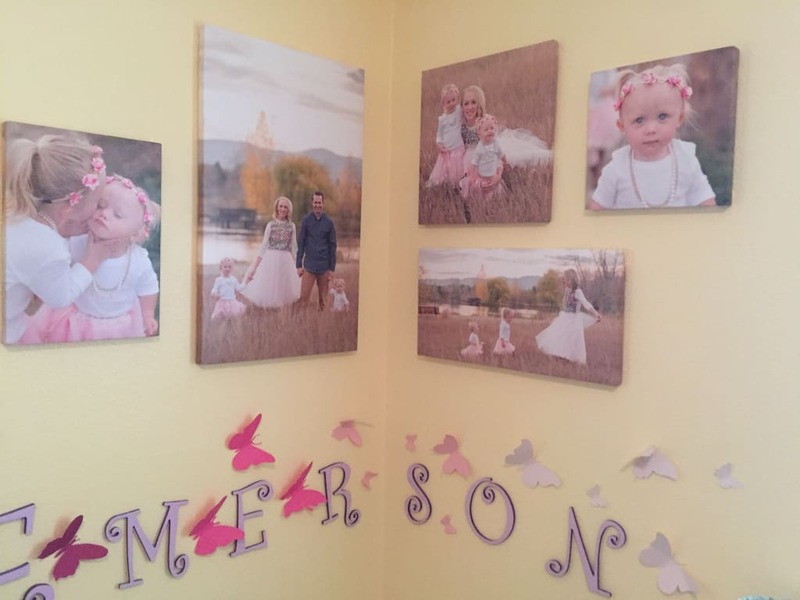 The image quality was excellent and the canvases look professional. Canvas Champ also had the best price, hands down. I love the final product. It's true statement piece. 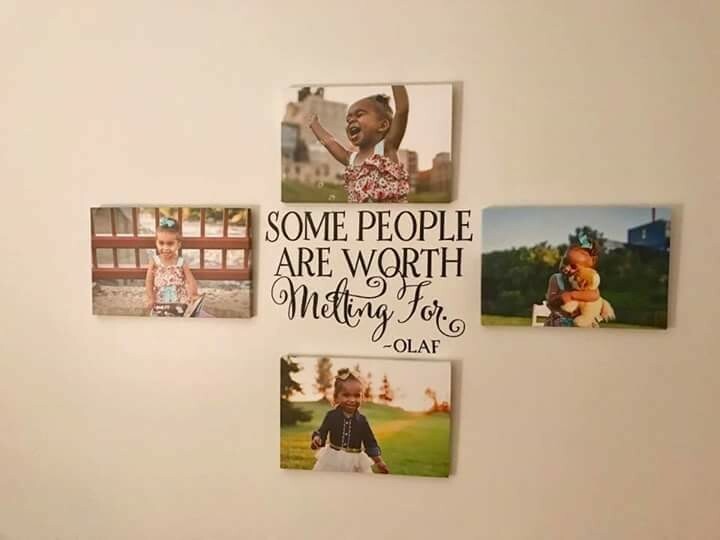 I was admittedly skeptical when I placed my order, because I figured if a site offered canvases as cheap as this, they must be shoddy quality. When they arrived, I realized how wrong I was. 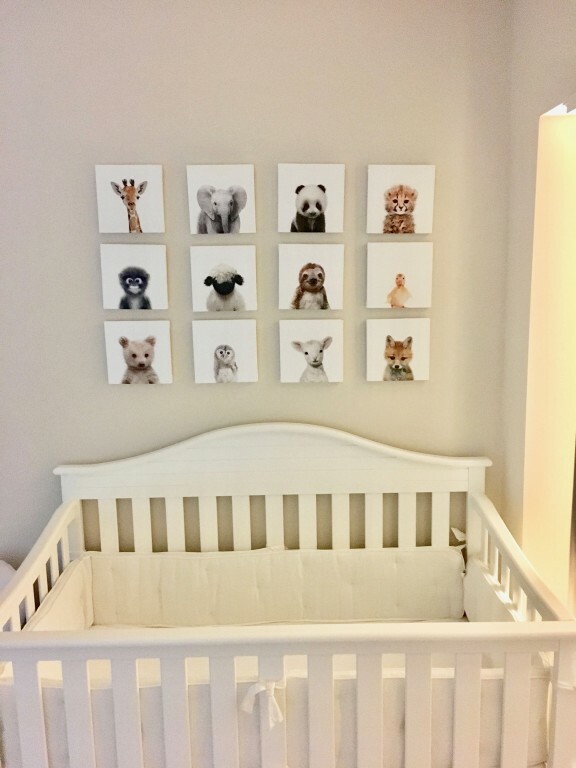 The pictures are gorgeous, the packaging was fantastic, and every time someone walks in and sees them, they oooh and aaaah over these canvases. I will DEFINITELY be ordering again. 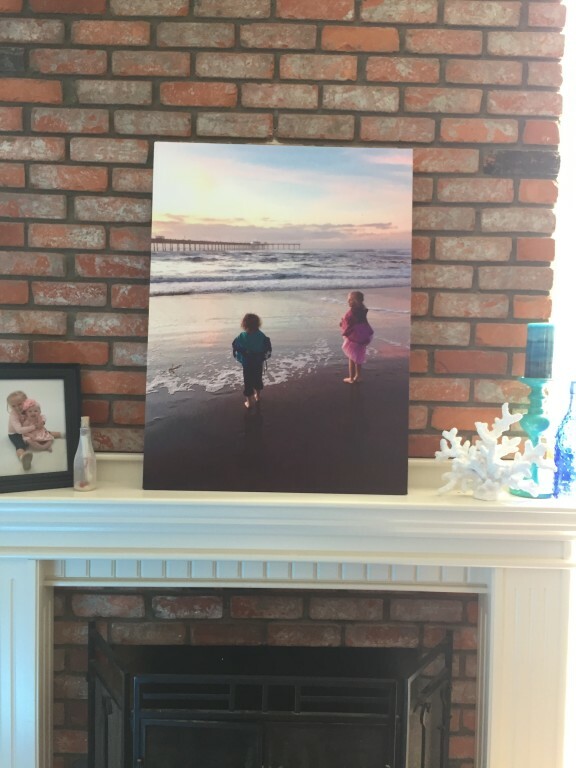 I ordered a large canvas custom sized 27" x 36" of a picture I took of my kids at the beach on my phone. I was worried the picture would turn out pixelated because I was blowing it up so large. 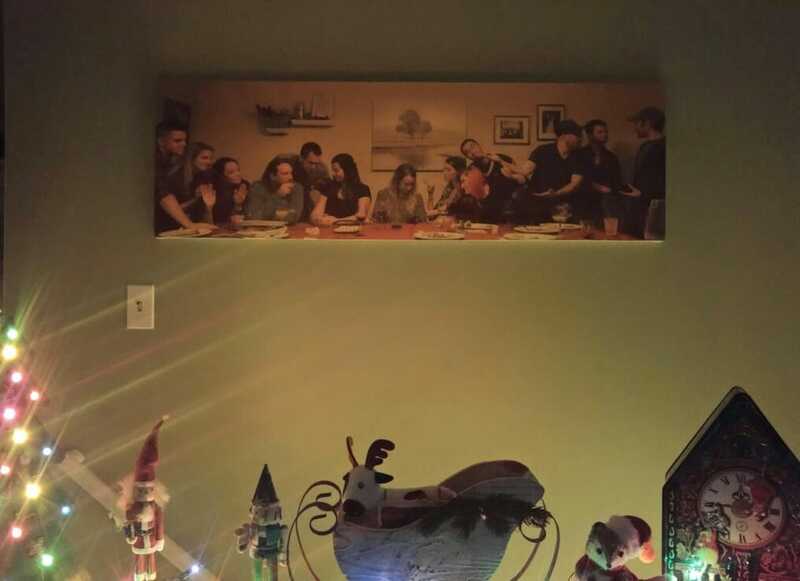 I got the canvas and the picture is perfect! It's better than I could have expected. The colors are very vivid and the canvas is very sturdy. I couldn't be happier. 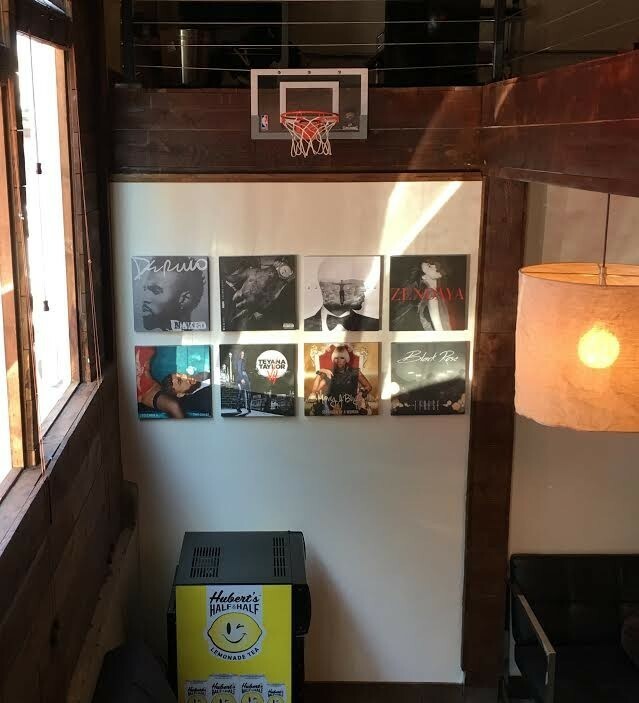 I'll be ordering from canvas champs again! I can't even describe how happy I am with my artwork. They got them to me very quickly, in great packaging, and they look beautiful. The quality exceeded my expectations. I am a photographer and artist, and I will use them for all of my canvases moving forward. I am thrilled. 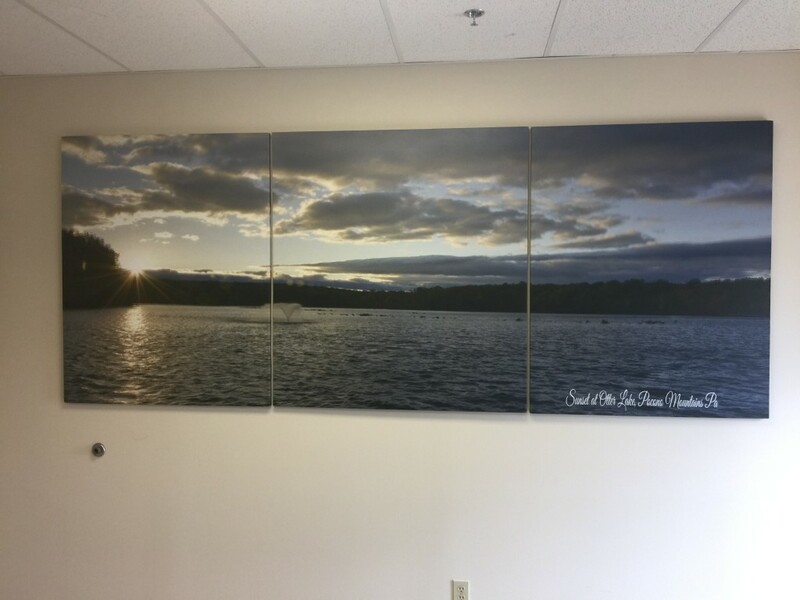 "The results were even better than expected" Took a large graphic by Frank for his 2nd Project from CanvasChamp and had it applied to two large (54"x17") custom sized canvas panels. He easily hinged the two panels and then added 4 legs to allow the panels to stand on the floor to form a screen. 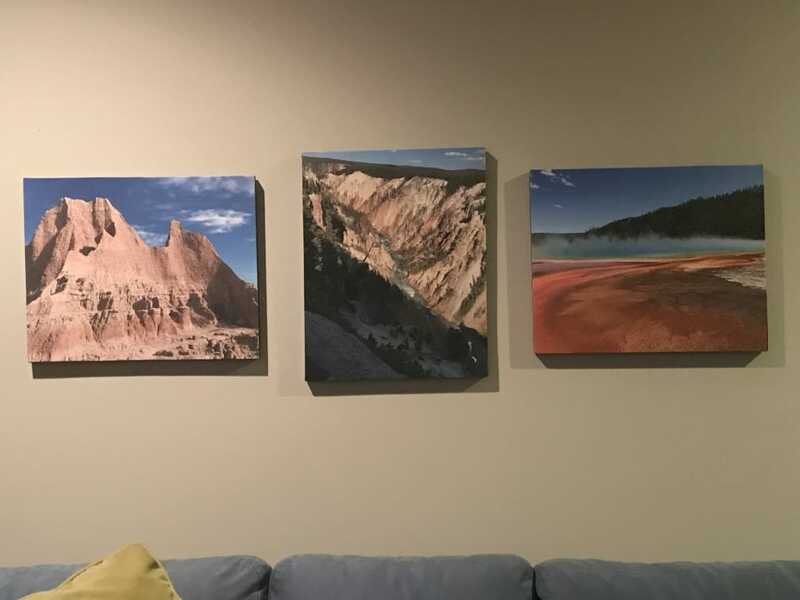 Got my canvas prints today! I'm a professional photographer and I wanted some canvas prints for my studio. I'm so so happy with the quality of these! They are perfect! And the price was amazing, your site is easy to navigate, and they came faster than I expected. I'll be a lifelong costumer for sure! And I'll definitely be recommending you! 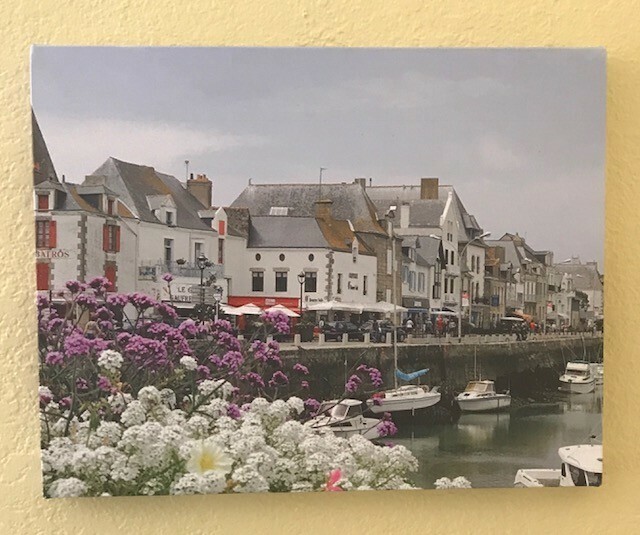 I just received one of my photographs printed on canvas. 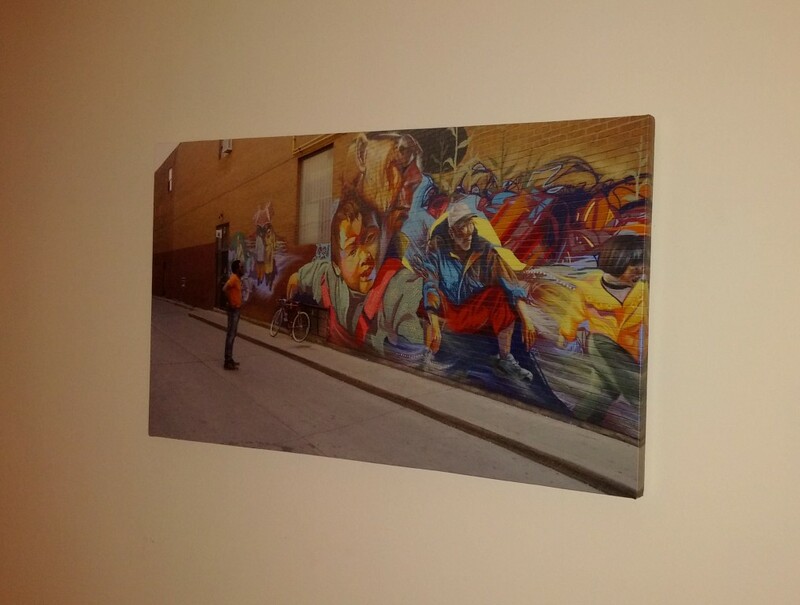 CanvasChamp printed, framed and shipped my photograph and it arrived in perfect condition. The packaging was amazing! Thanks. Received my first order this weekend. Very impressed with everything, from the packaging to the final outcome of my pic. Have used a couple other companies in the past but none come close to comparison to CanvasChamp (with no reprints). Definitely will be ordering more in the future. I just wanted to thank you for the quality work and prompt service. 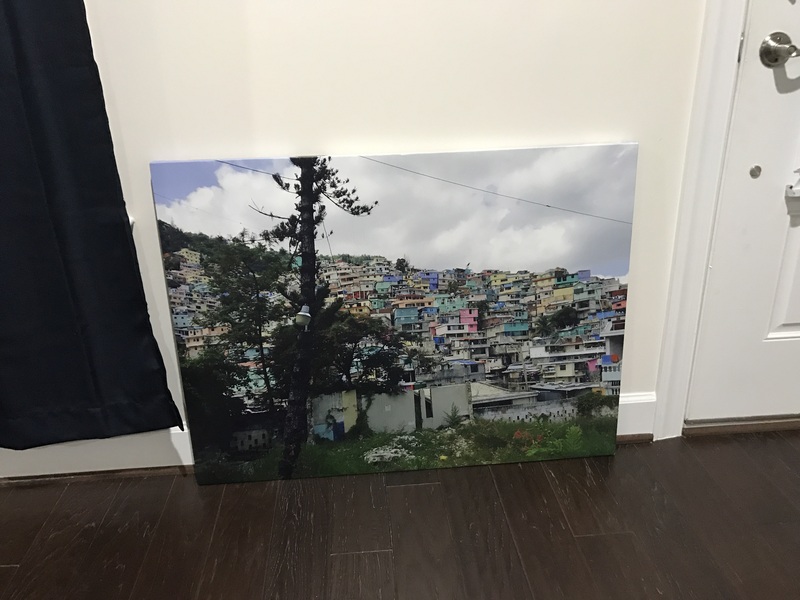 I couldn't believe I received my canvas print so quickly coming from another country! It turned out perfect!